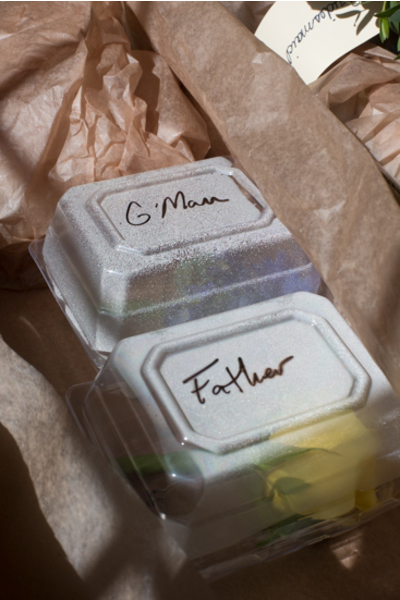 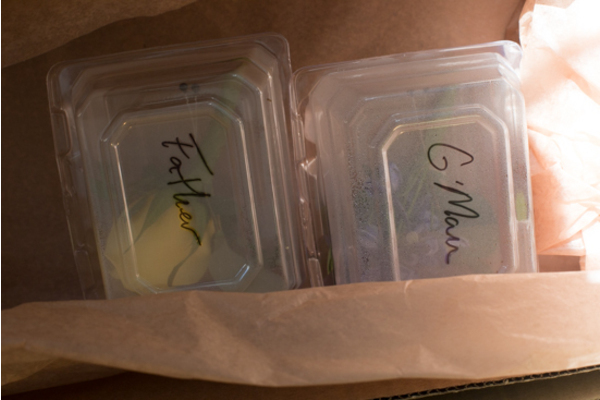 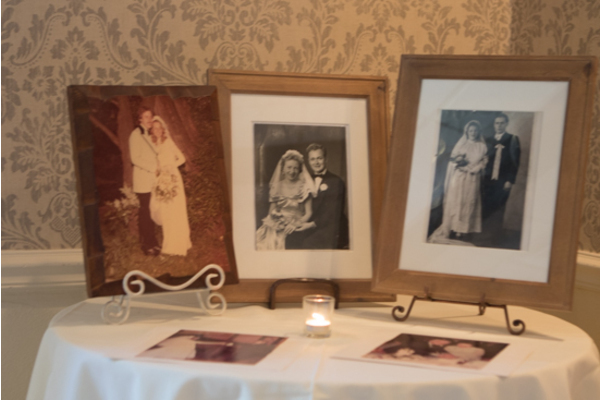 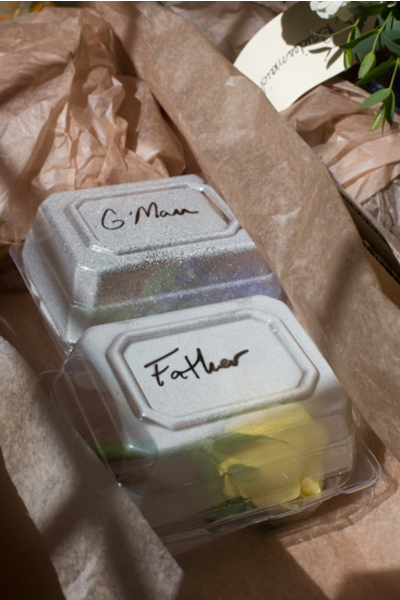 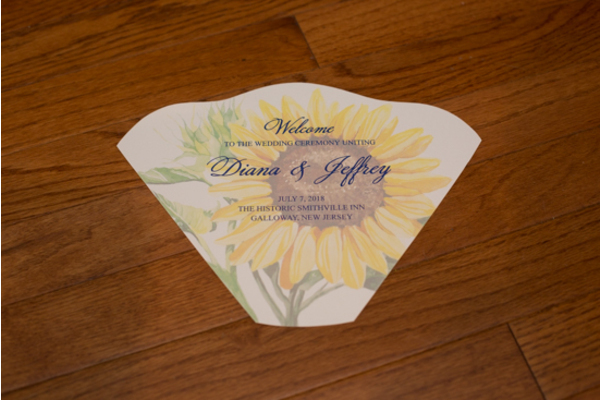 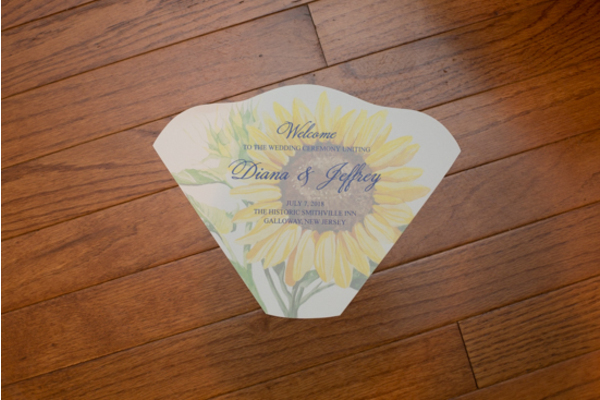 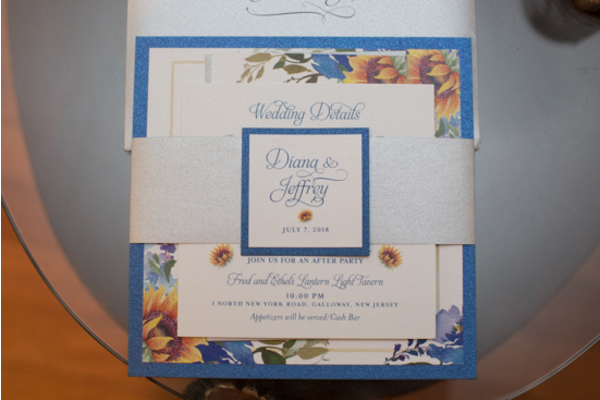 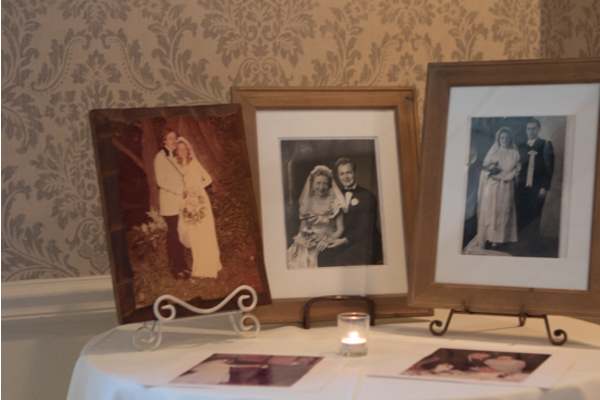 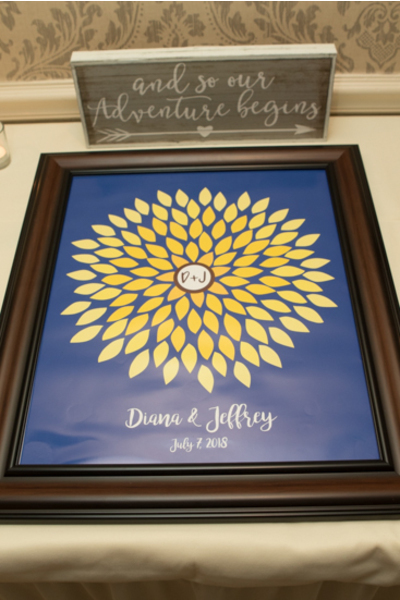 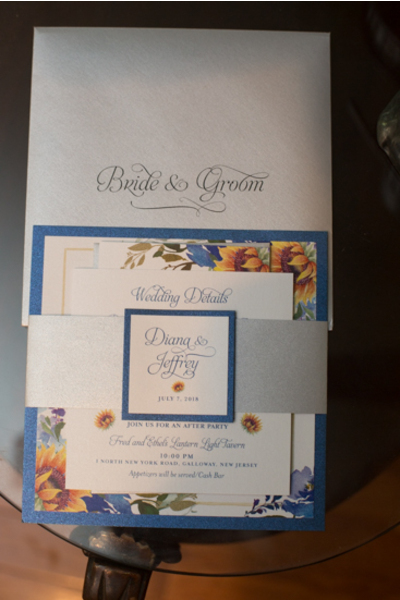 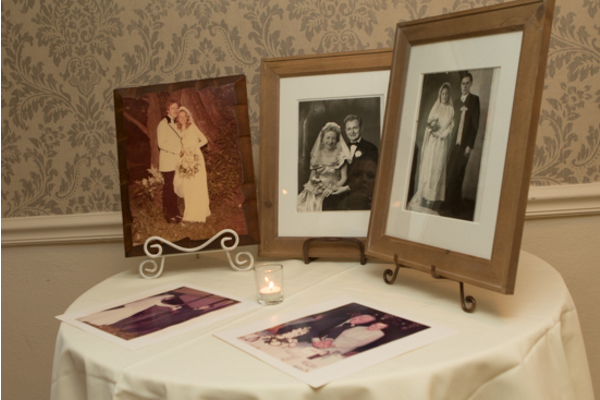 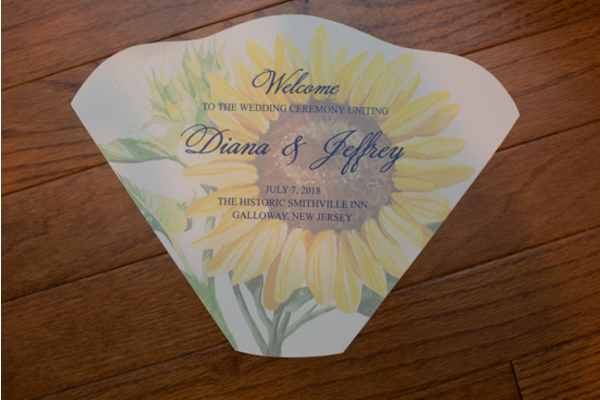 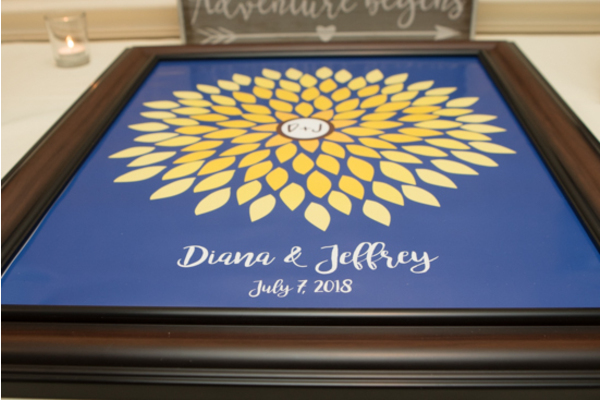 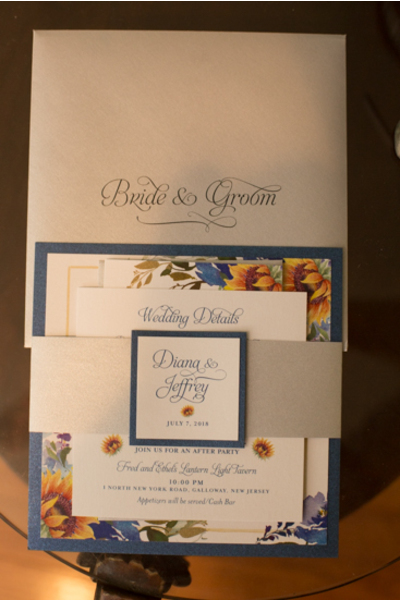 Congratulations to Diana and Jeffery on their recent marriage! 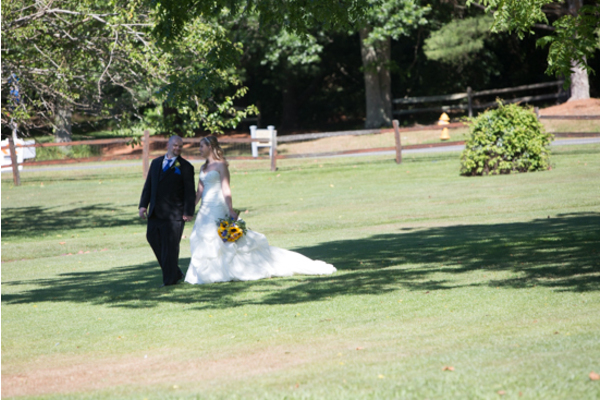 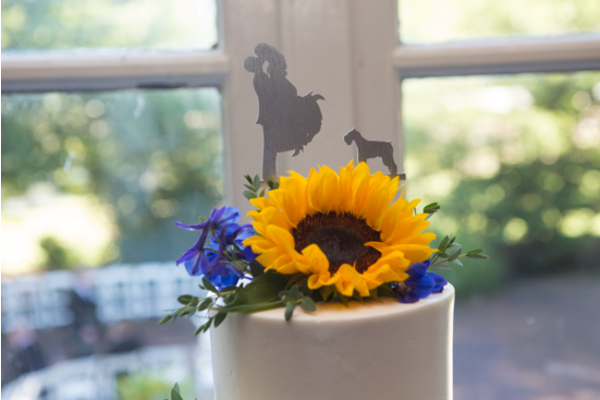 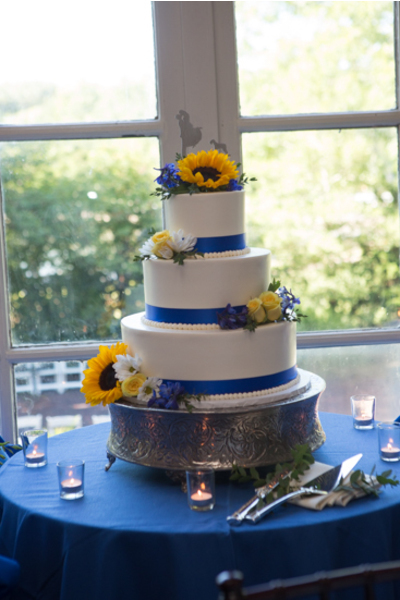 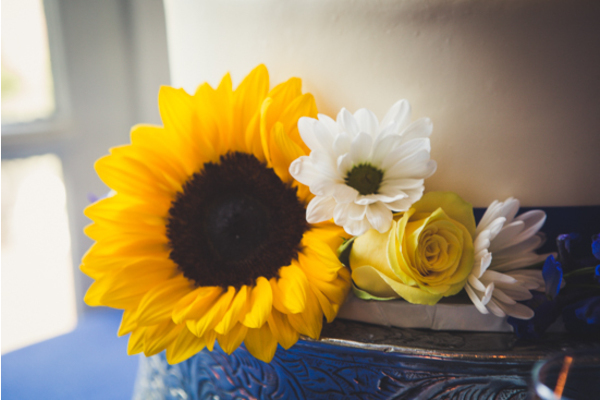 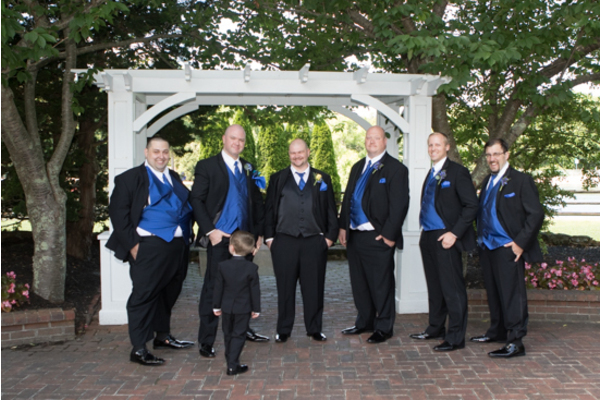 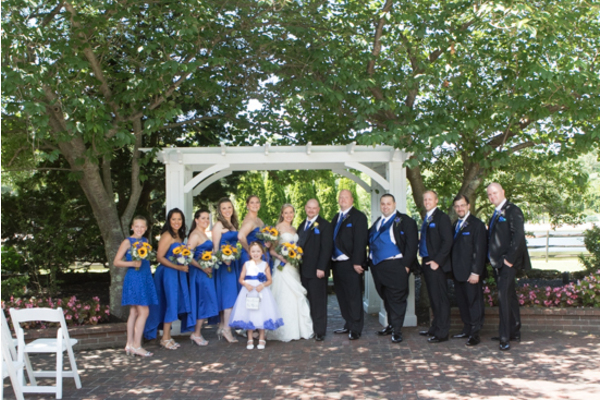 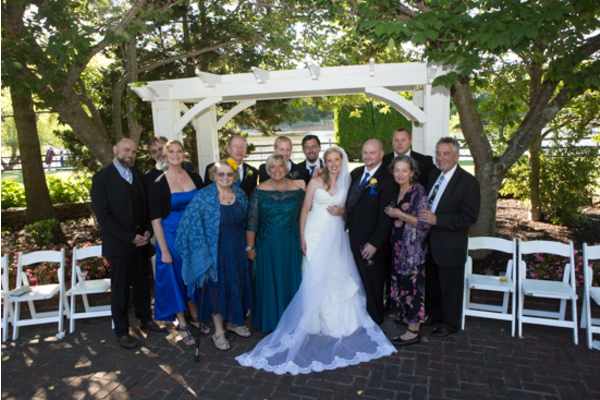 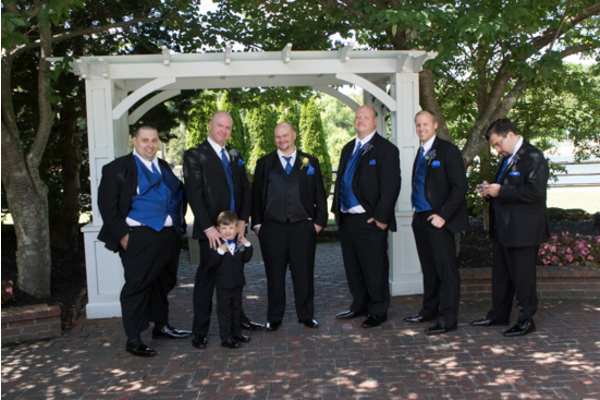 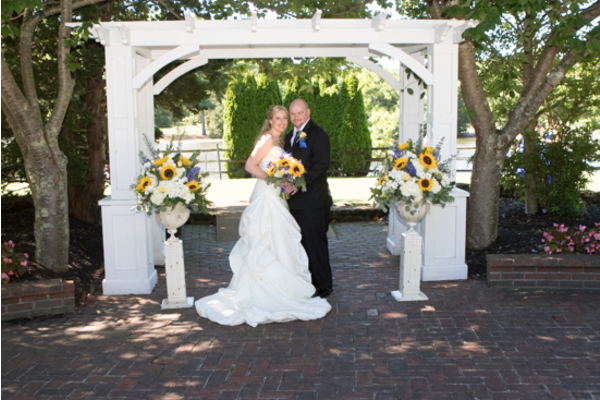 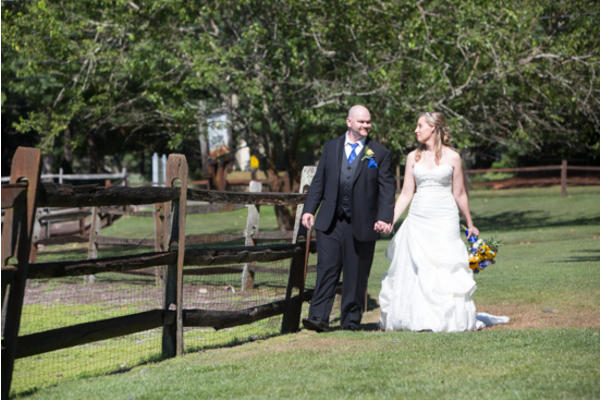 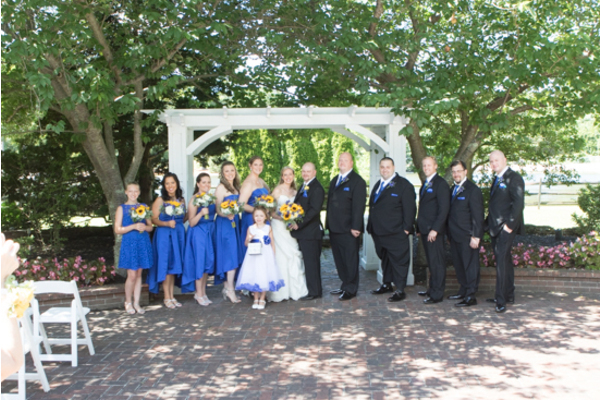 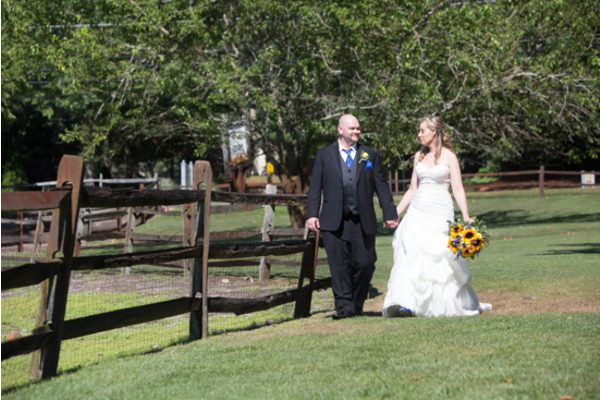 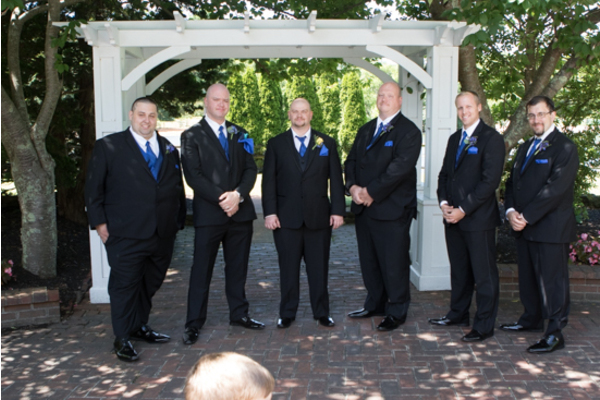 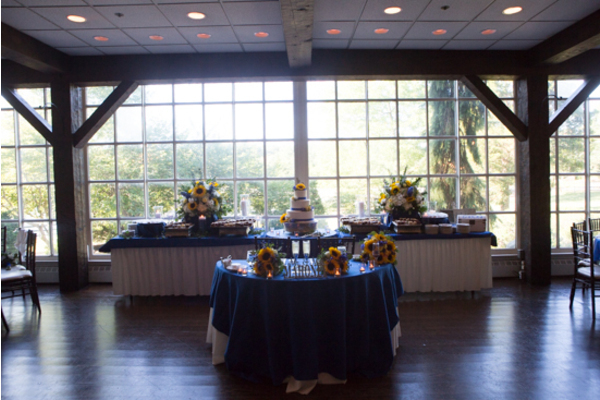 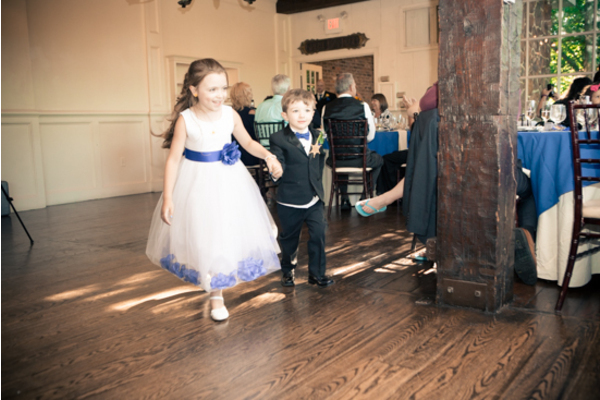 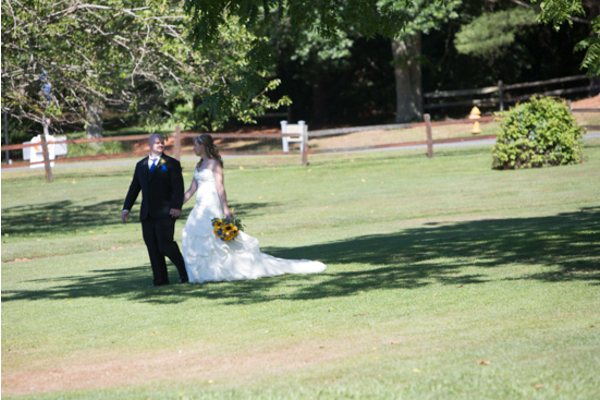 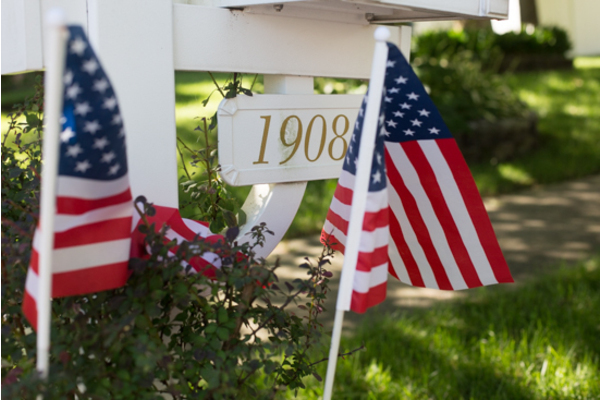 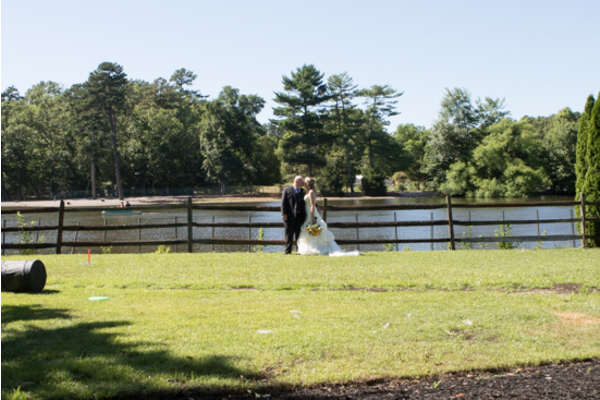 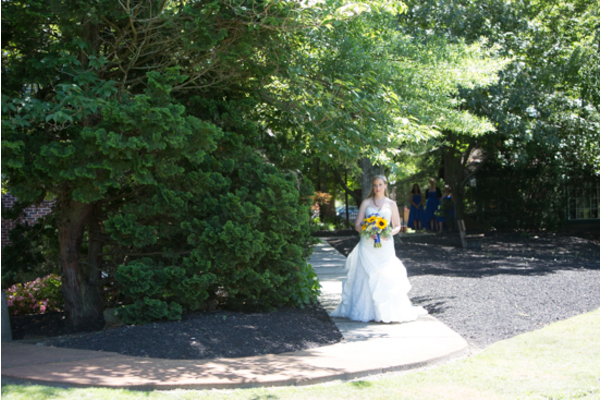 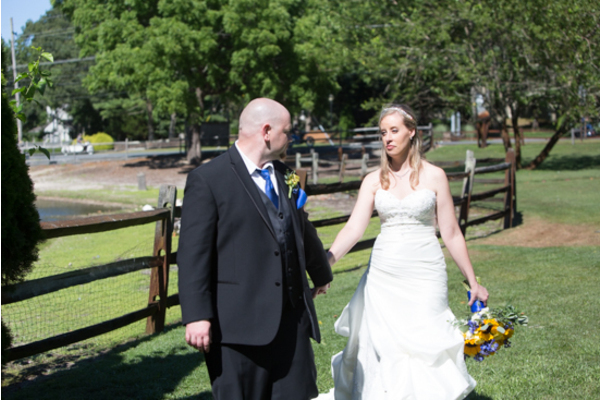 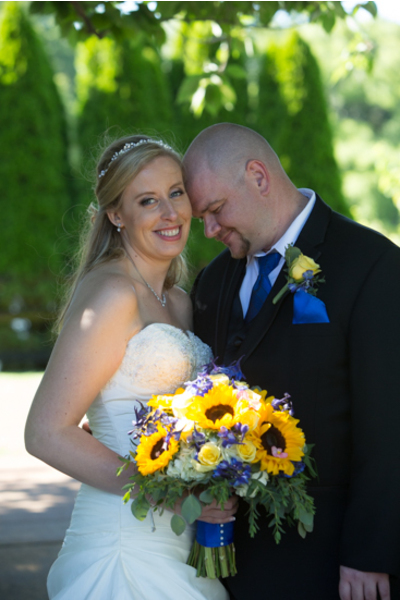 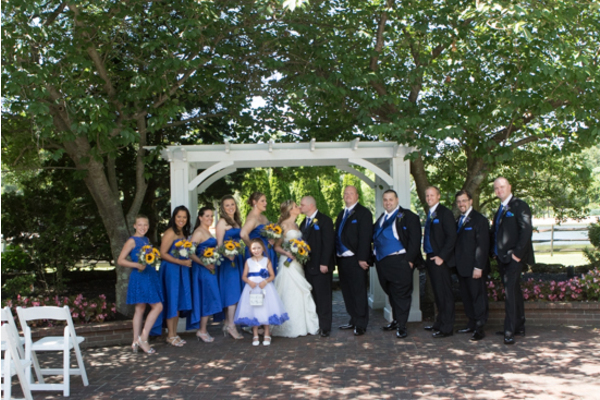 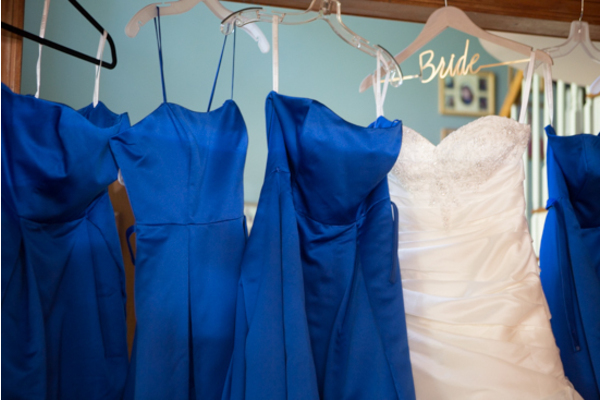 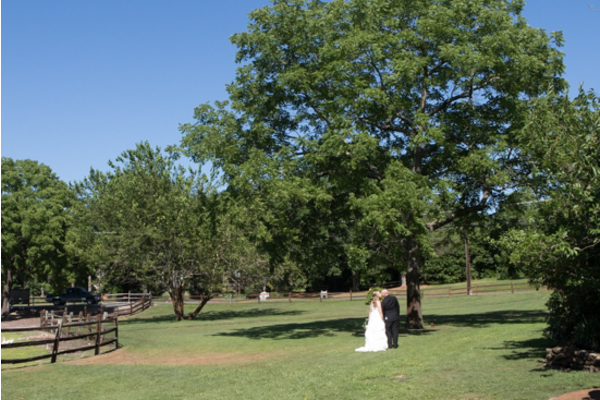 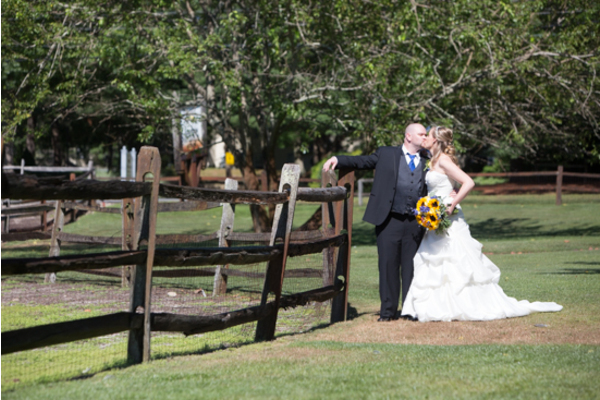 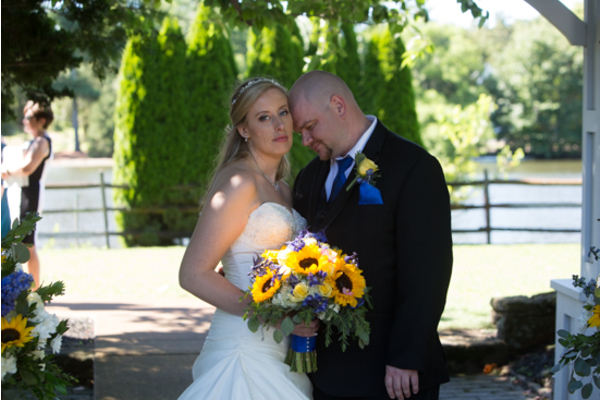 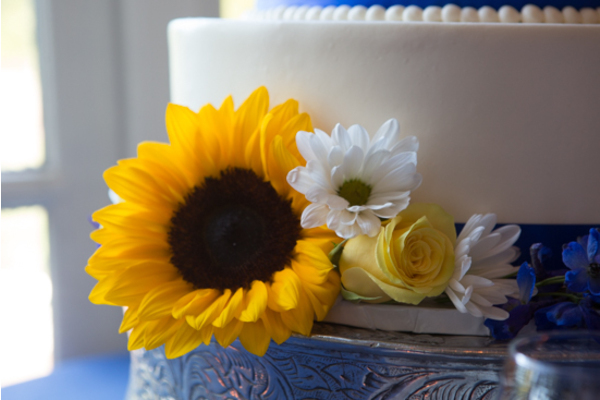 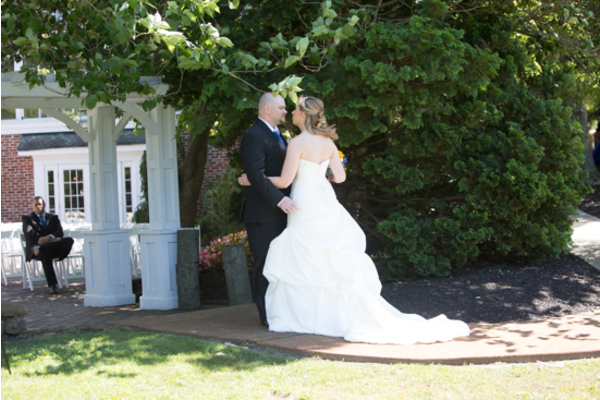 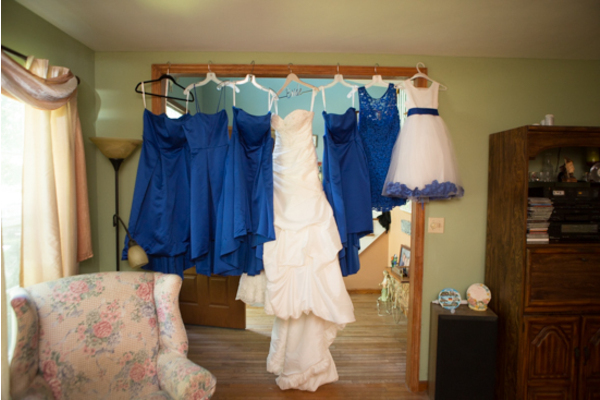 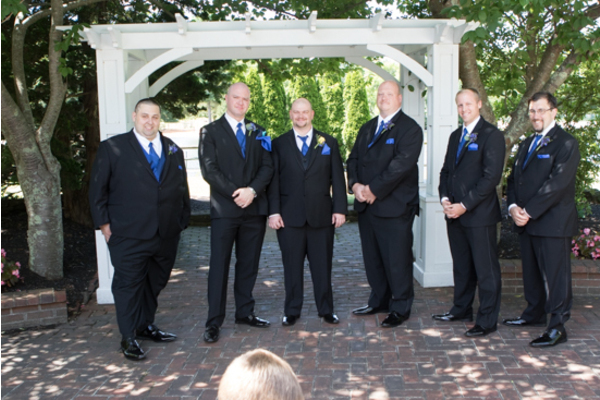 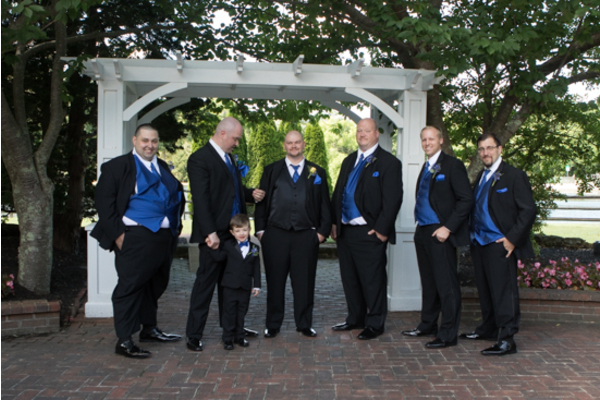 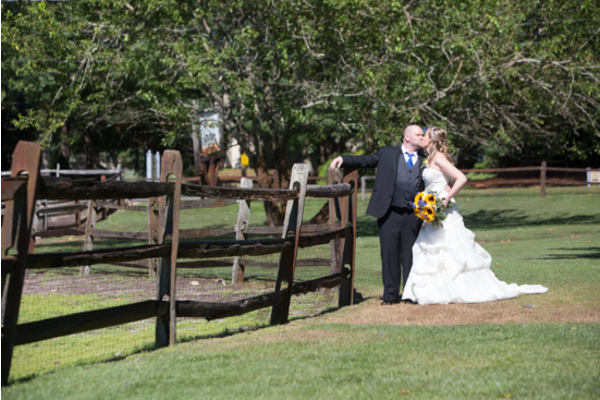 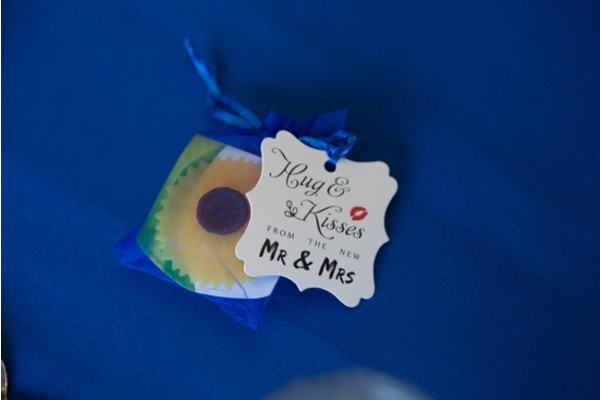 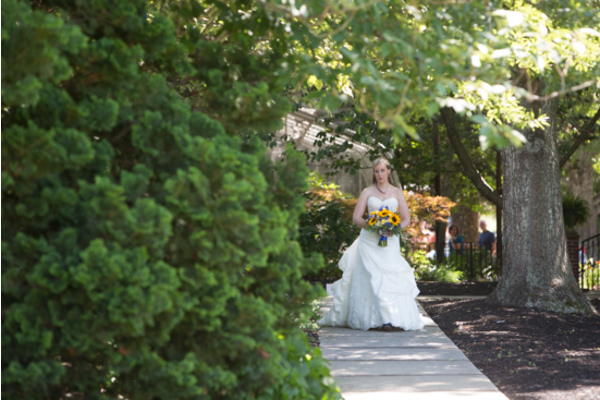 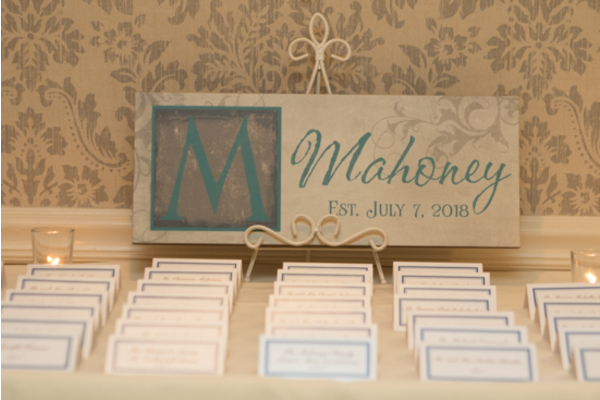 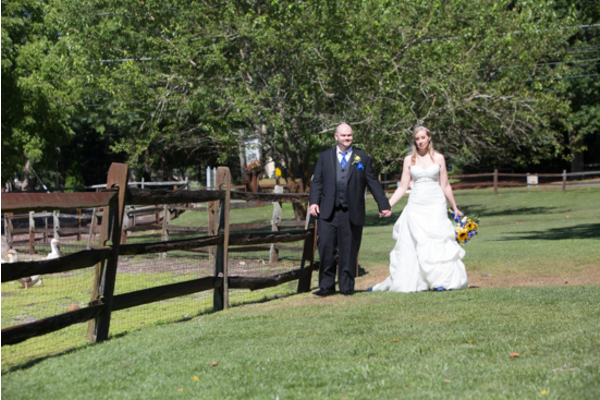 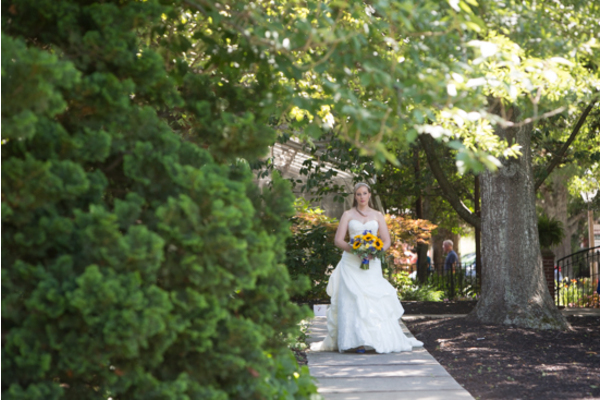 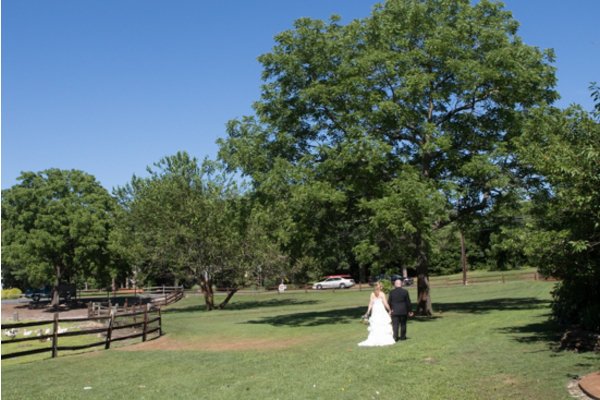 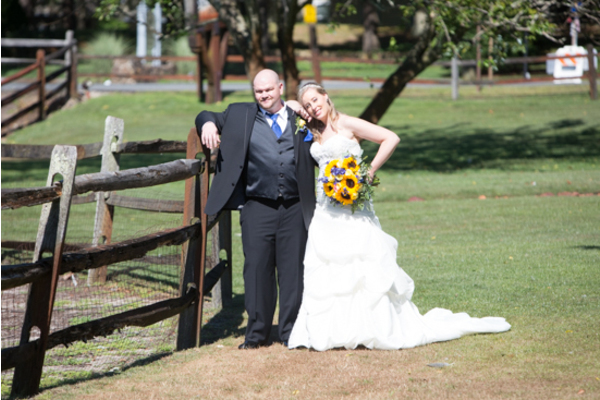 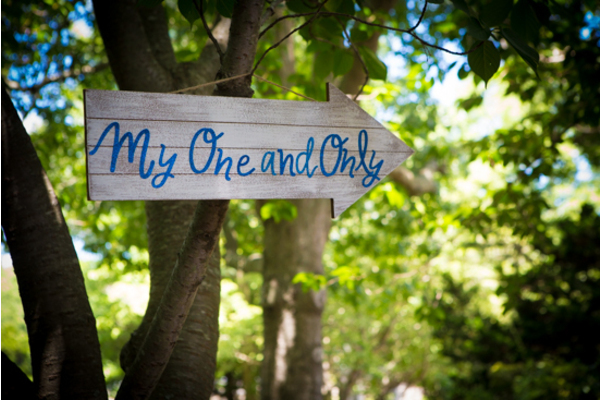 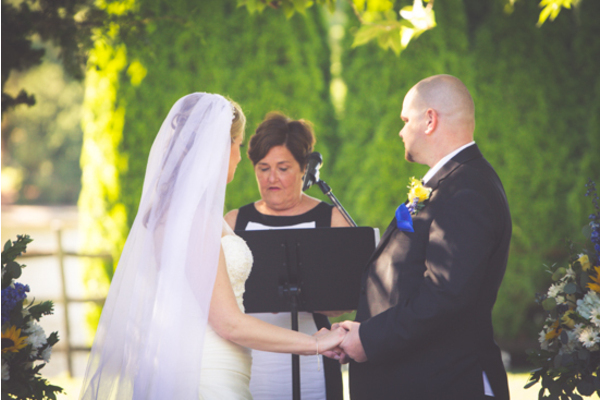 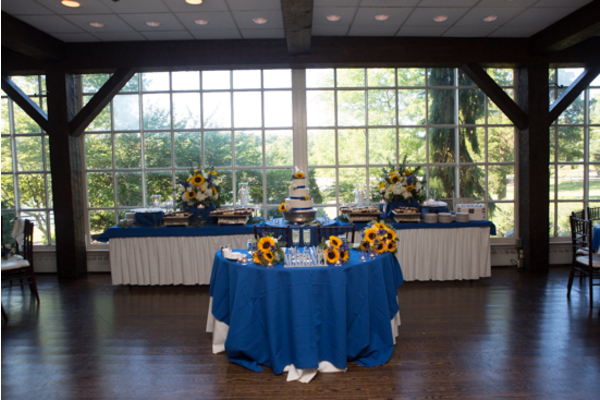 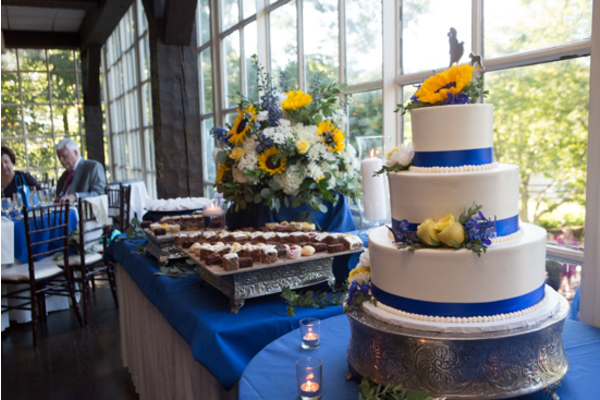 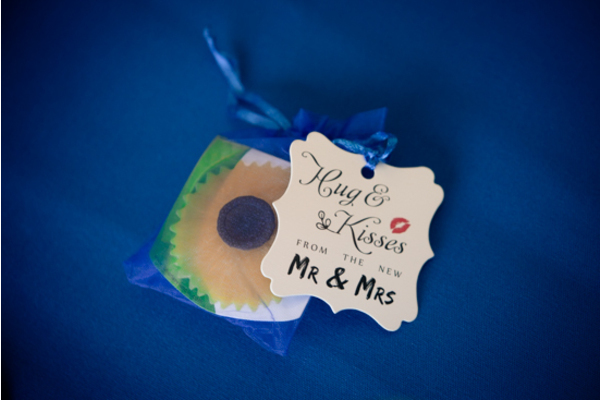 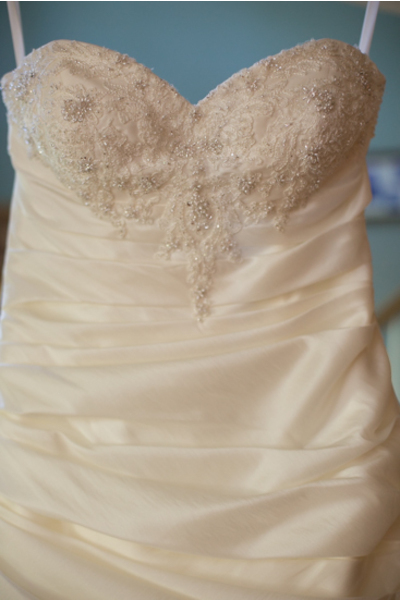 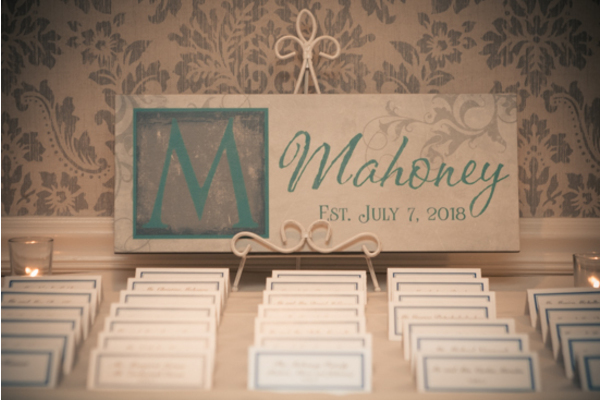 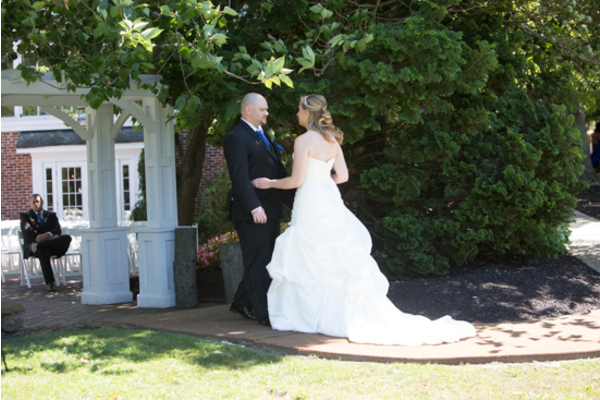 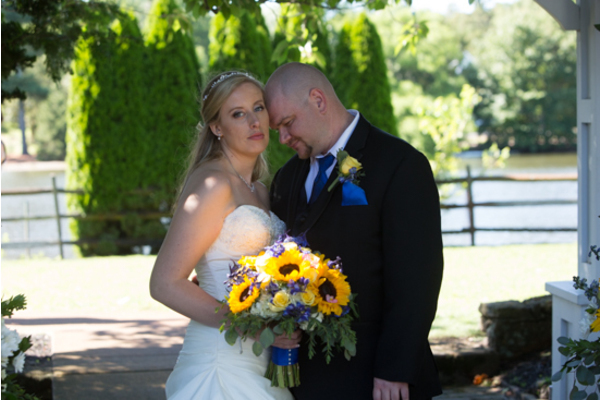 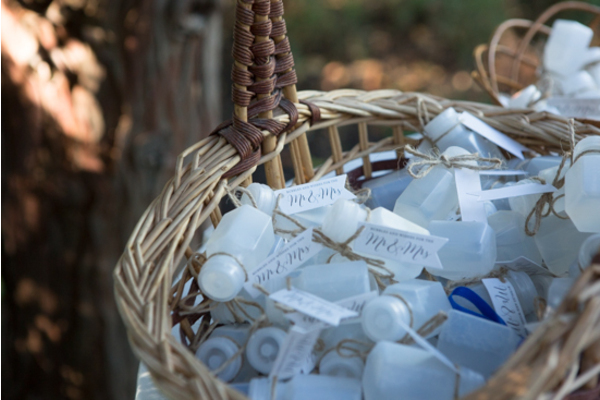 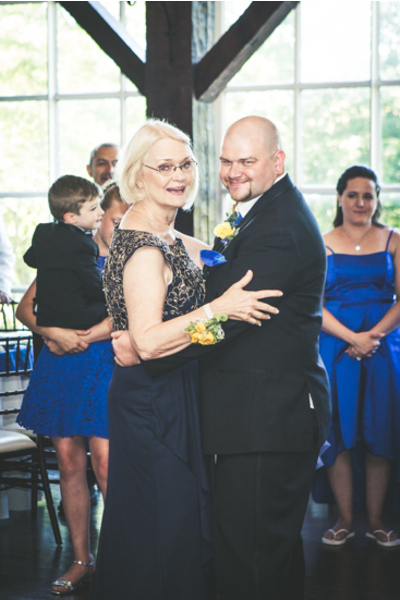 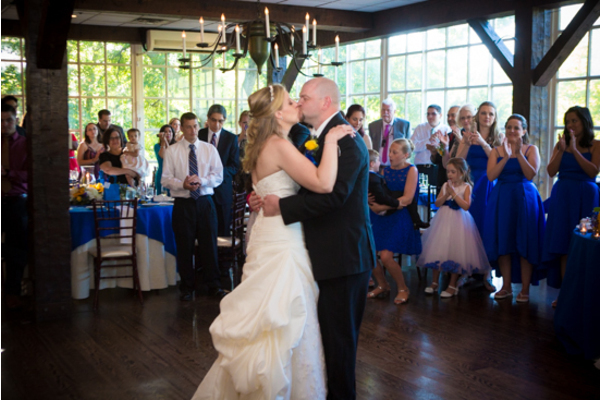 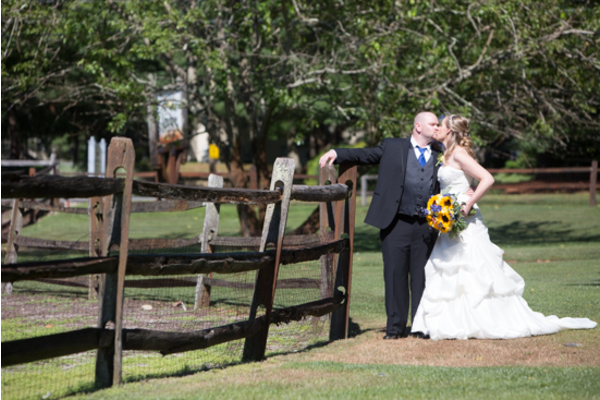 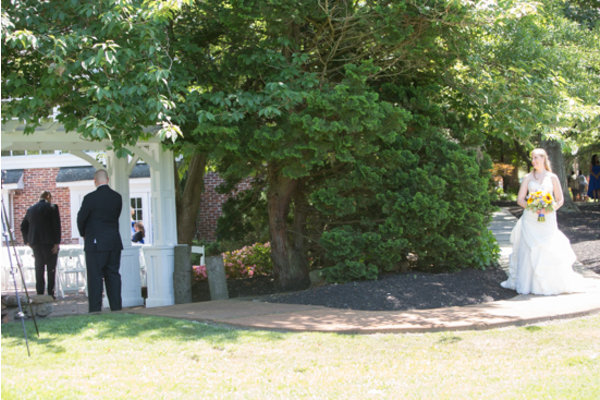 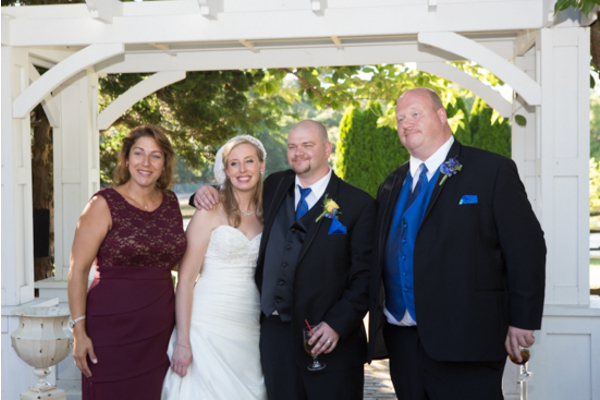 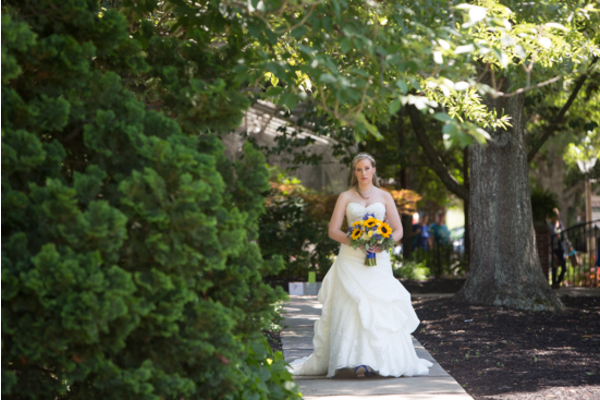 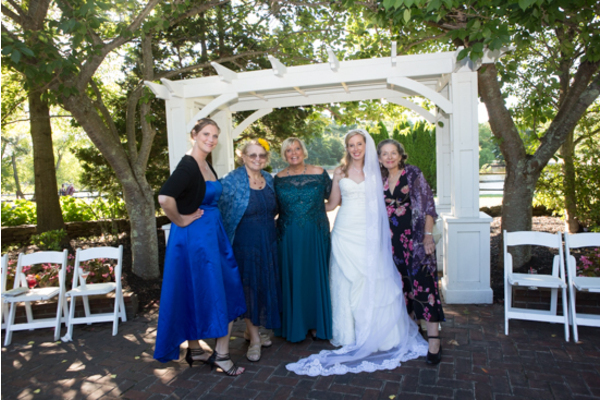 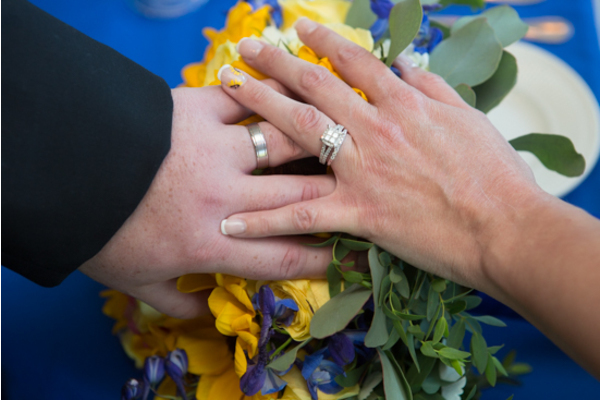 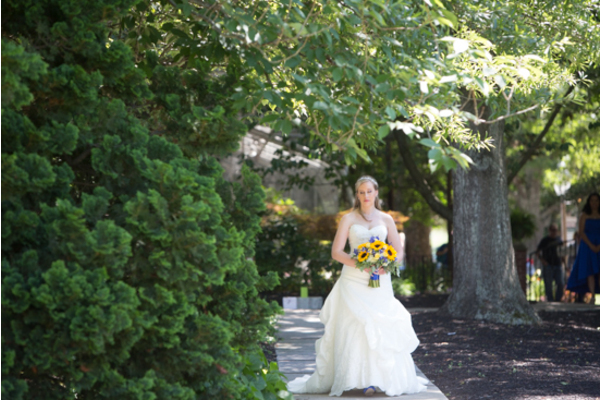 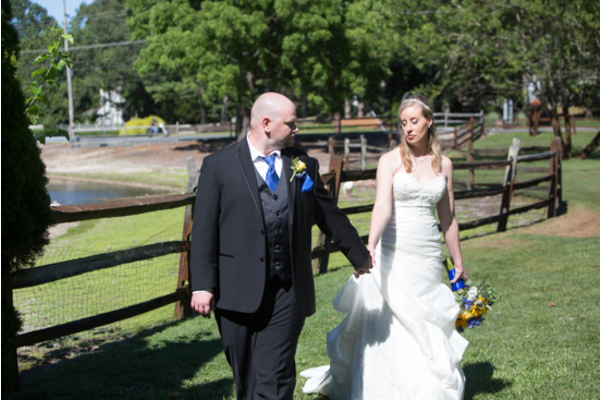 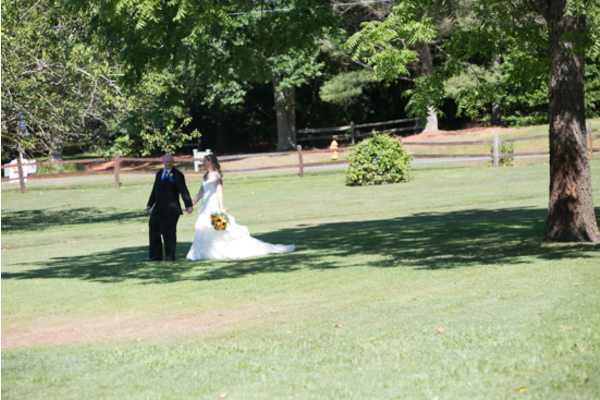 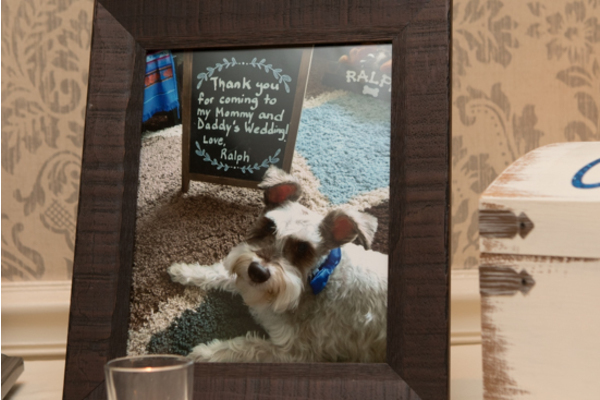 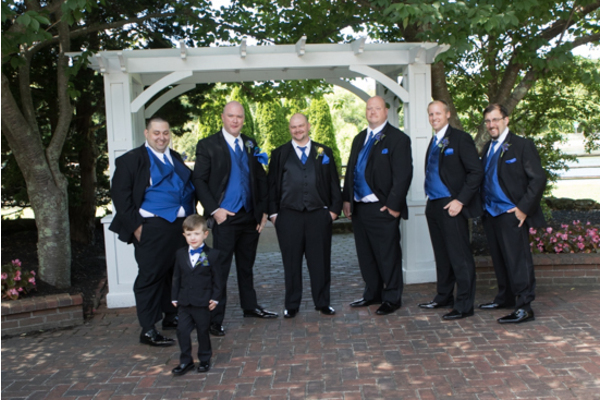 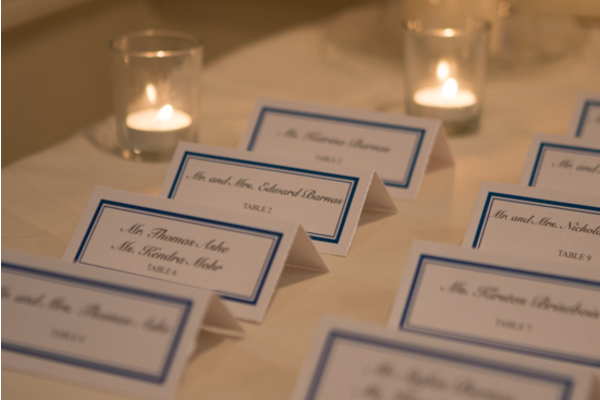 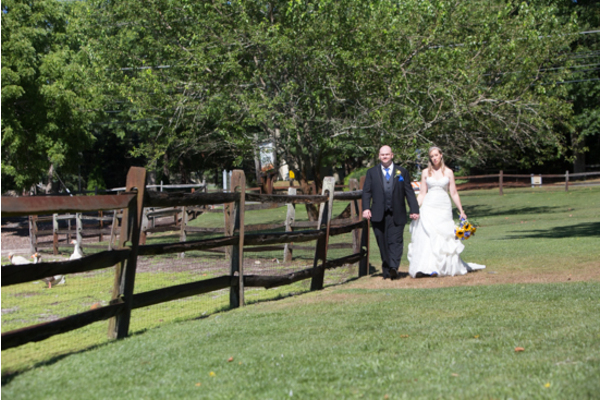 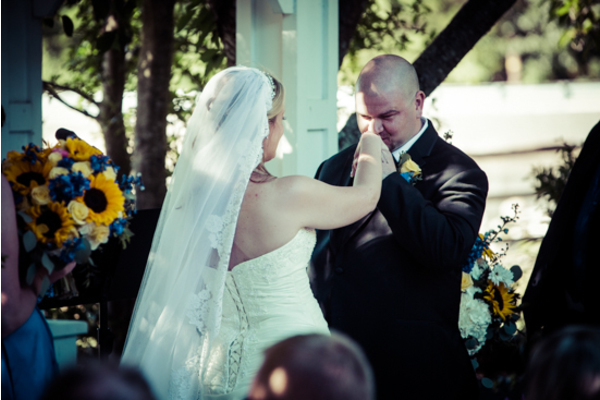 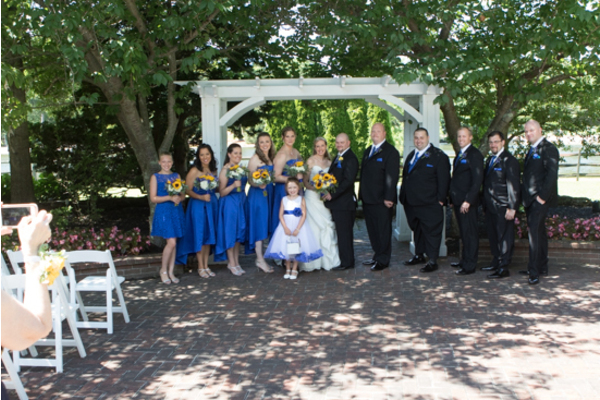 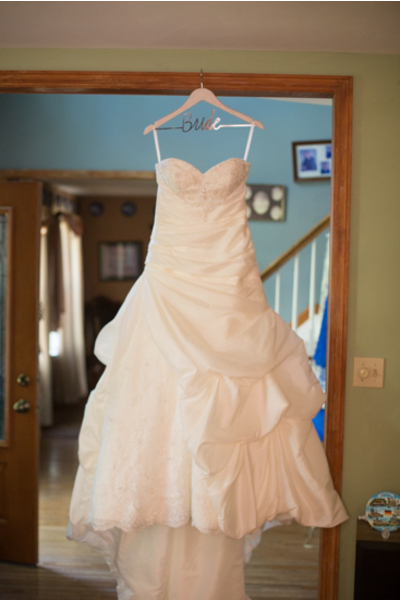 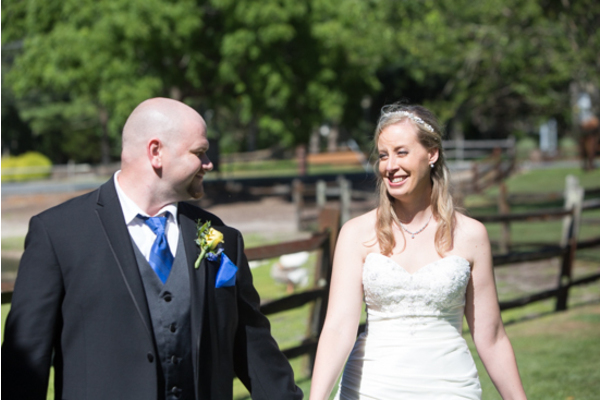 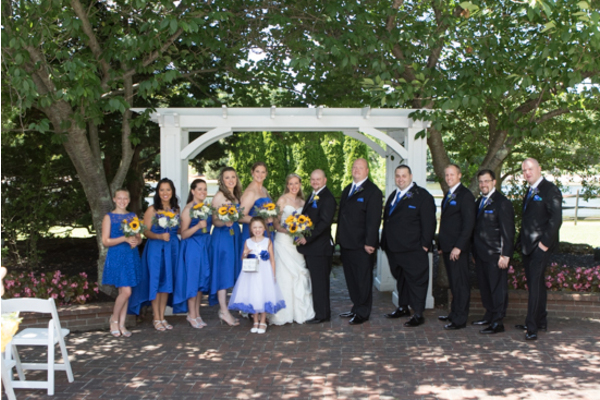 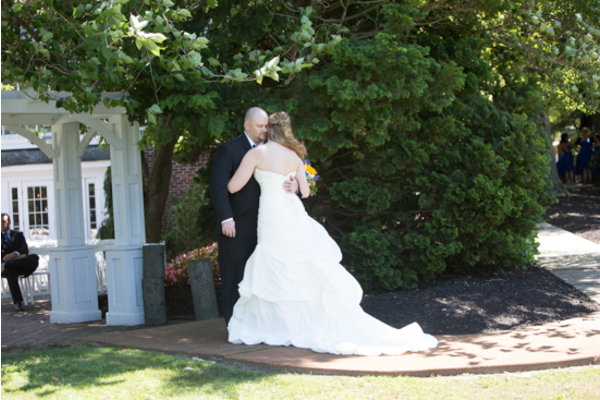 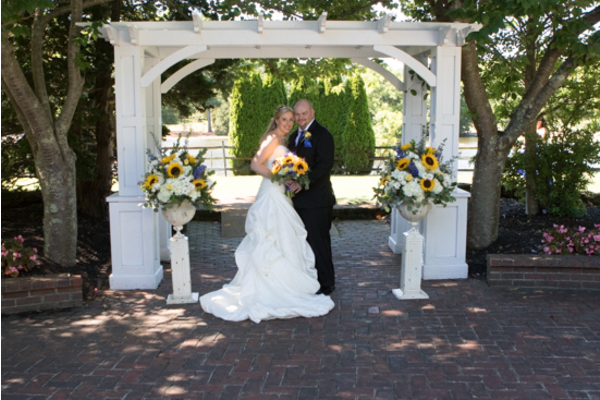 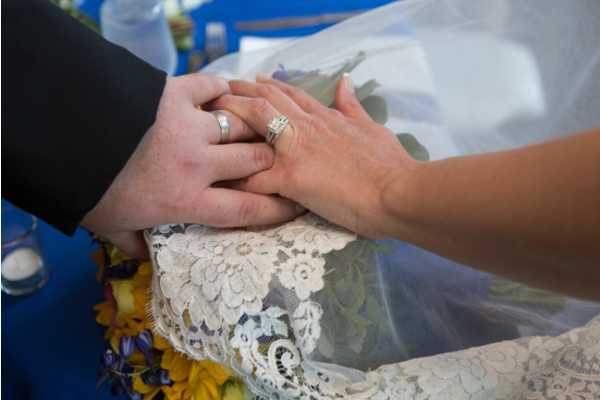 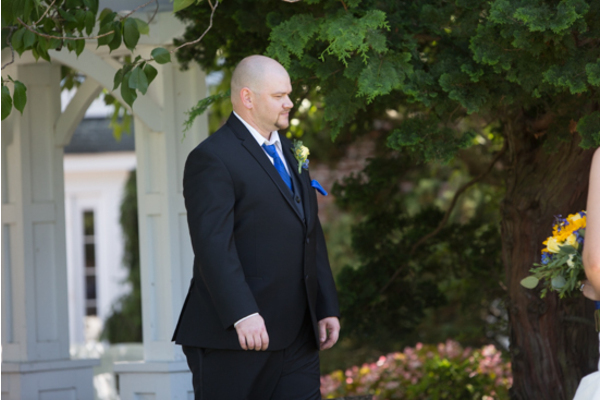 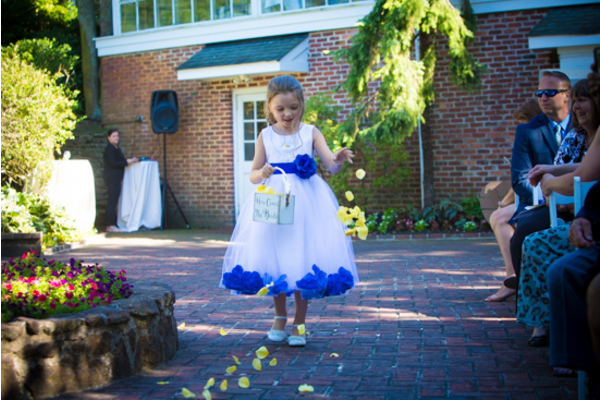 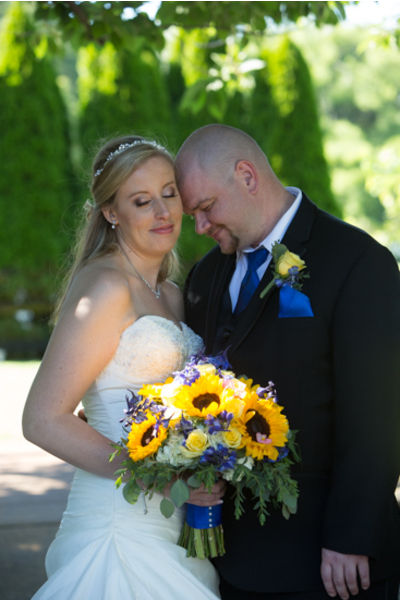 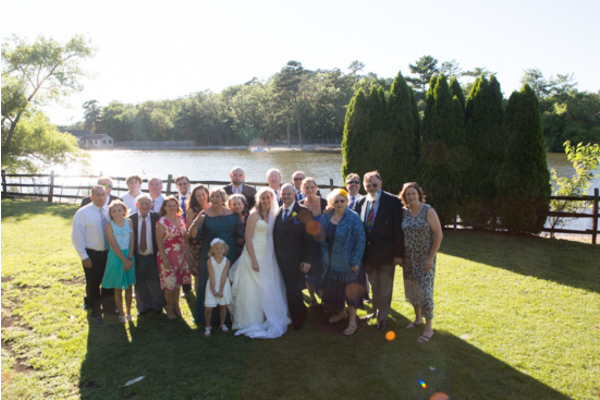 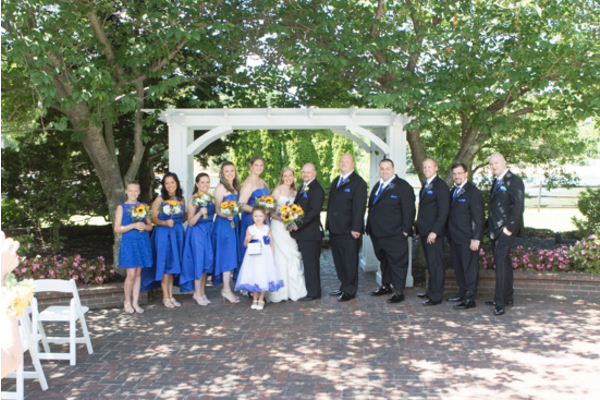 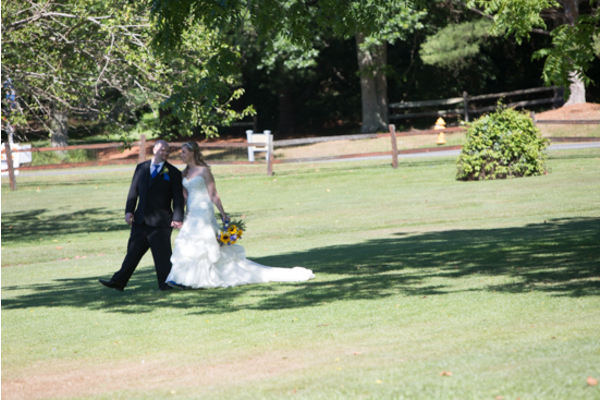 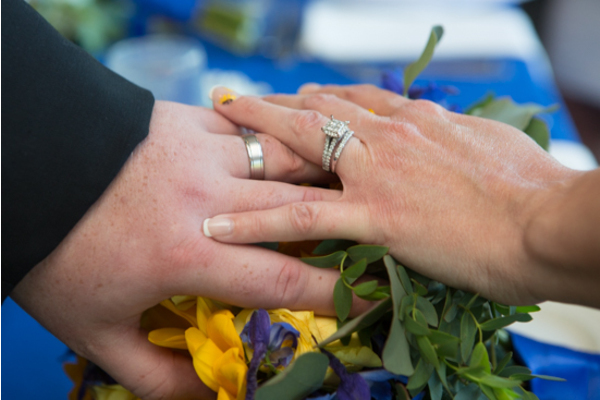 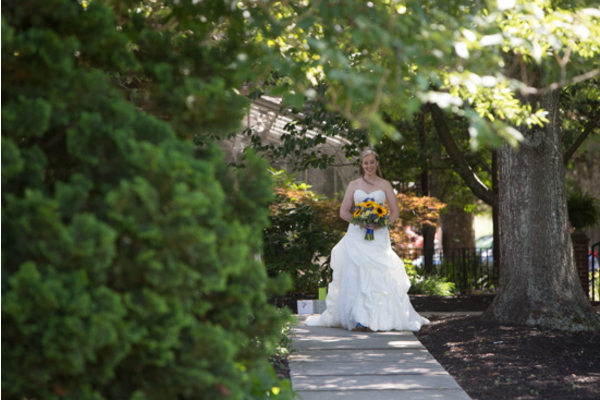 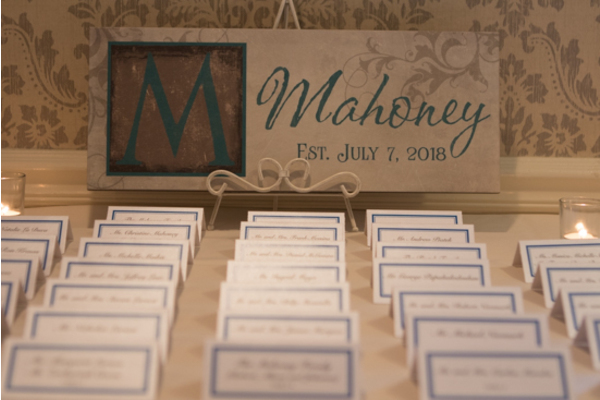 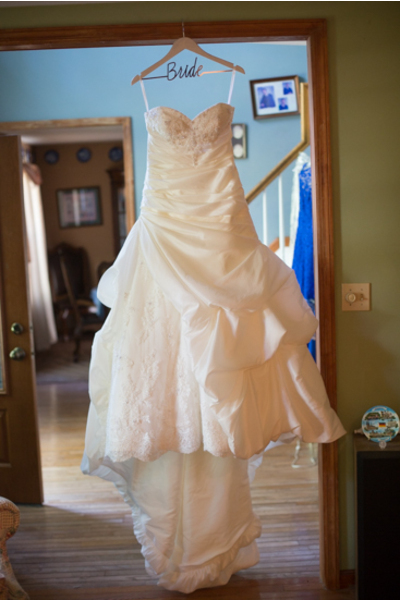 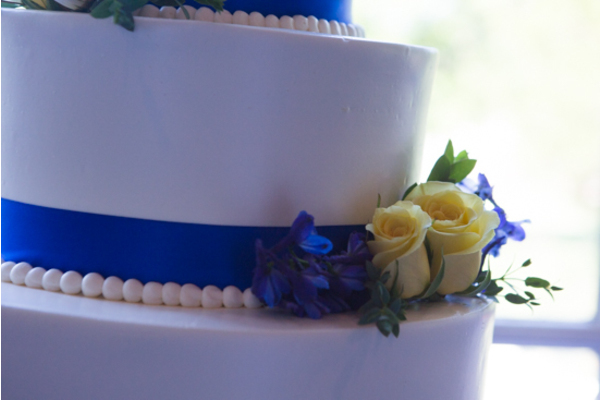 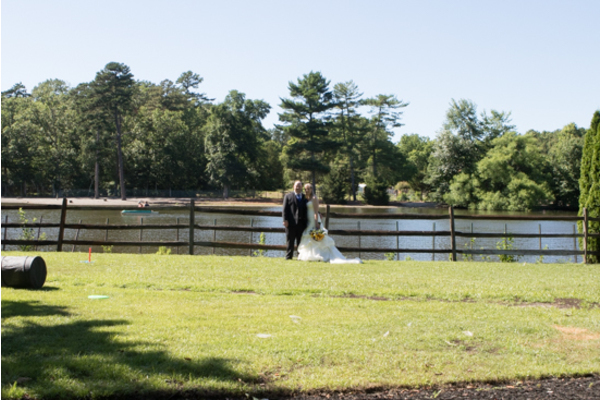 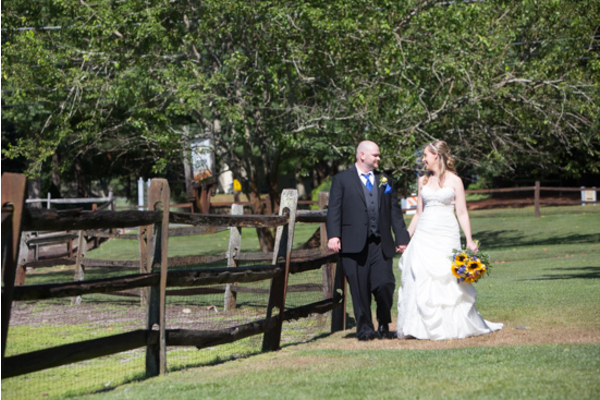 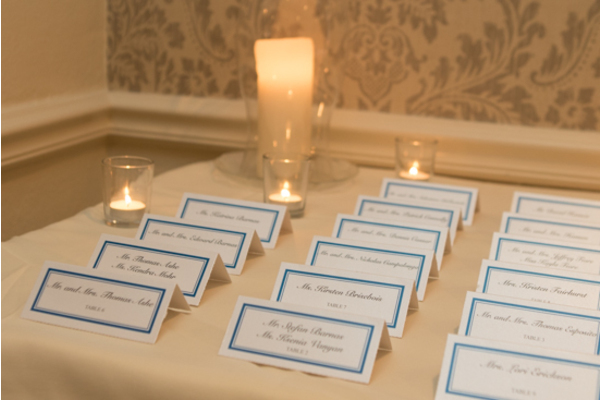 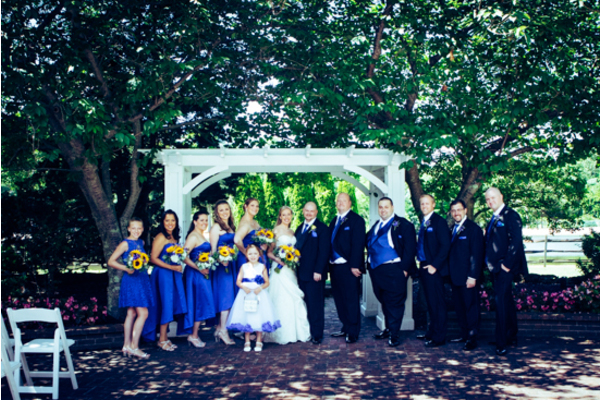 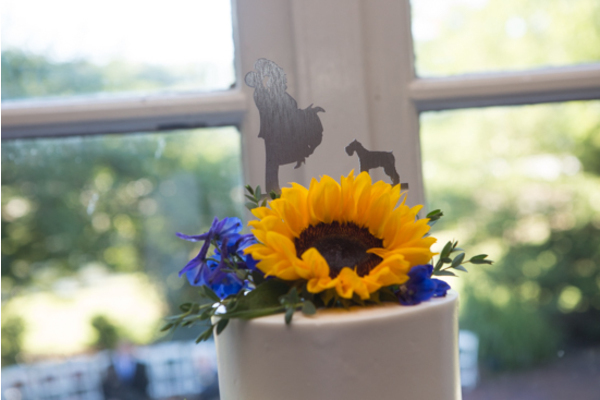 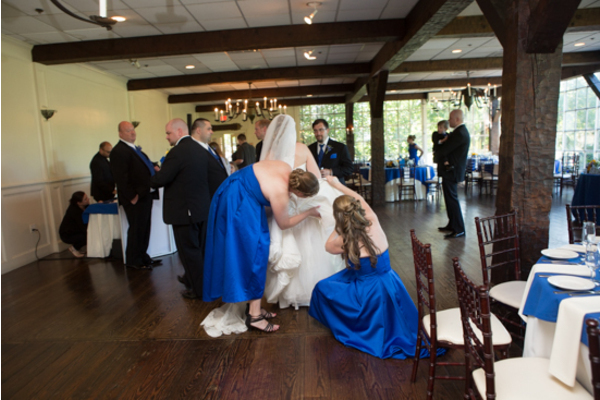 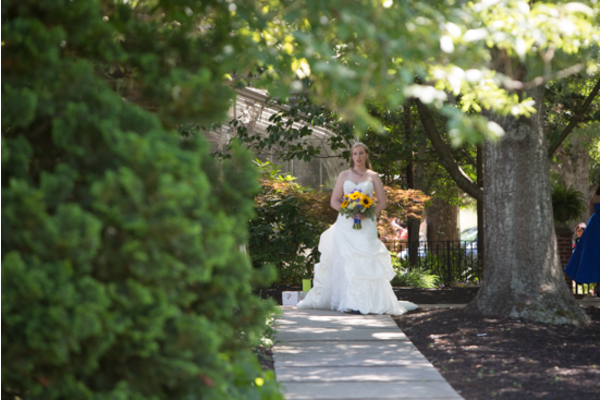 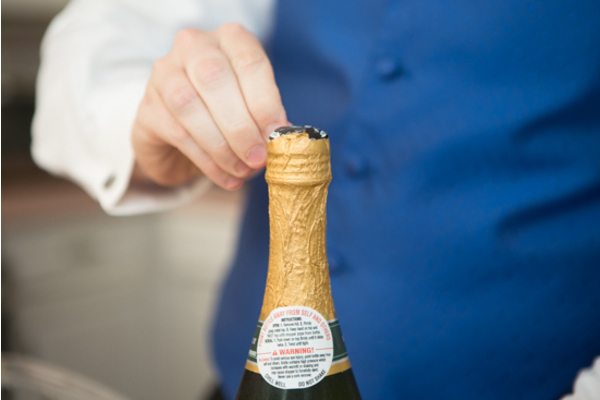 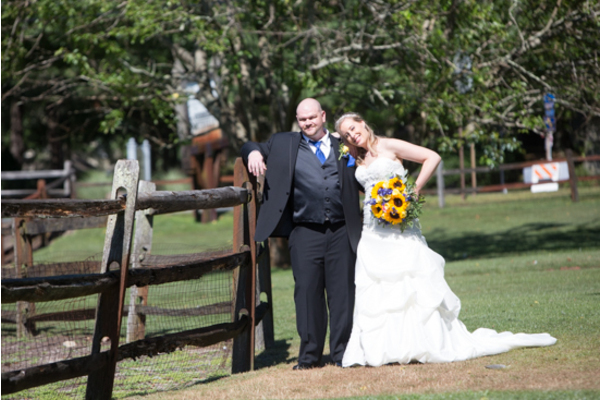 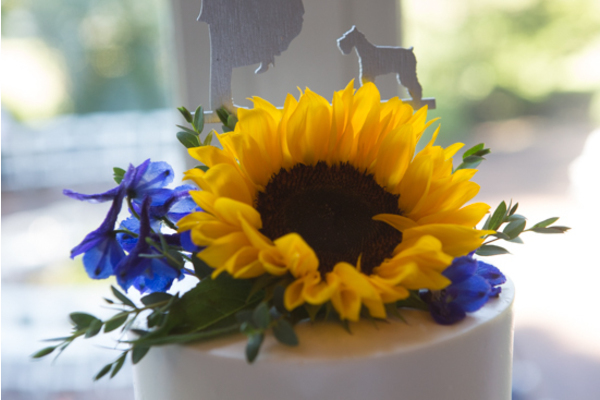 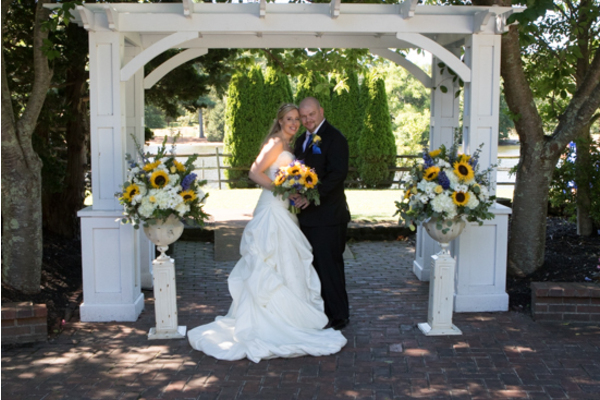 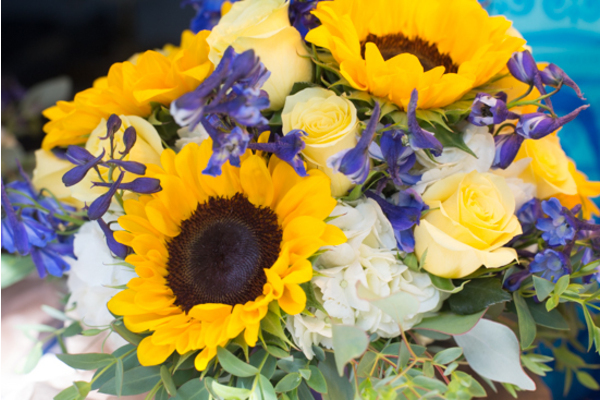 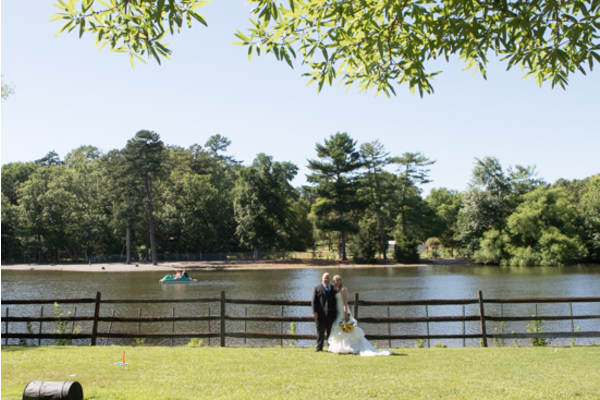 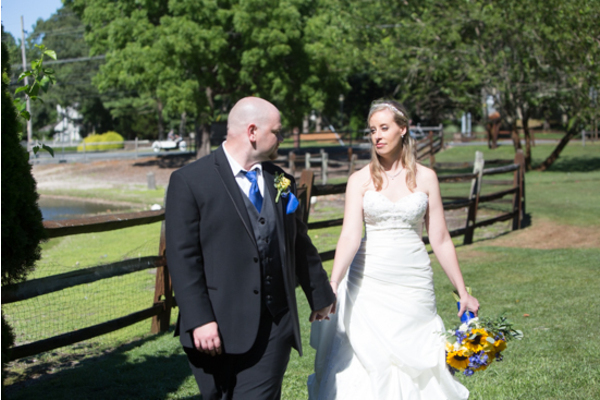 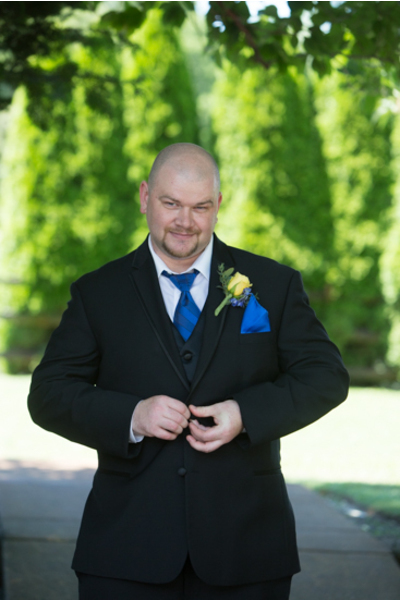 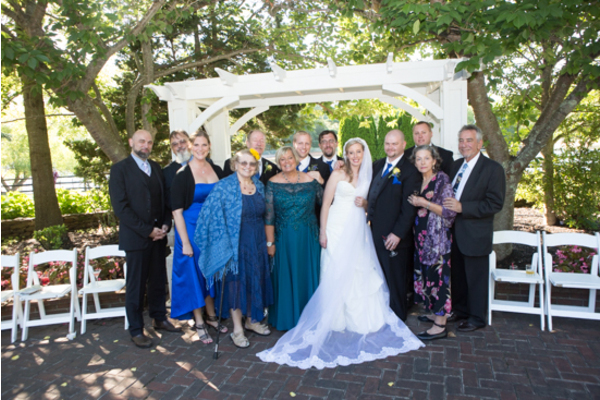 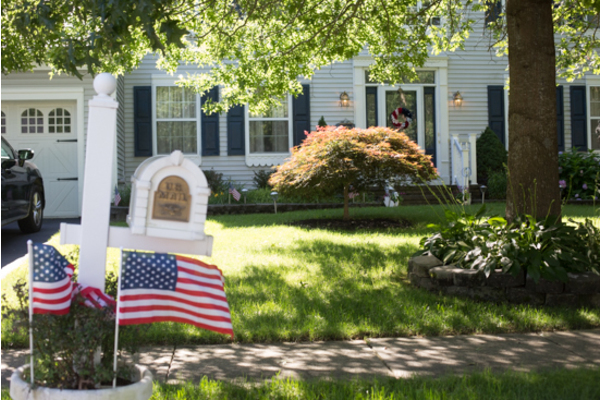 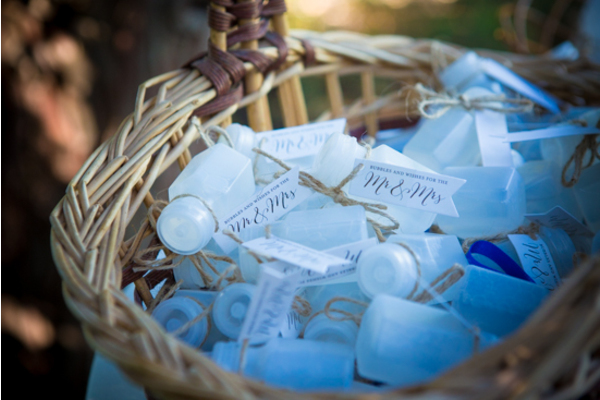 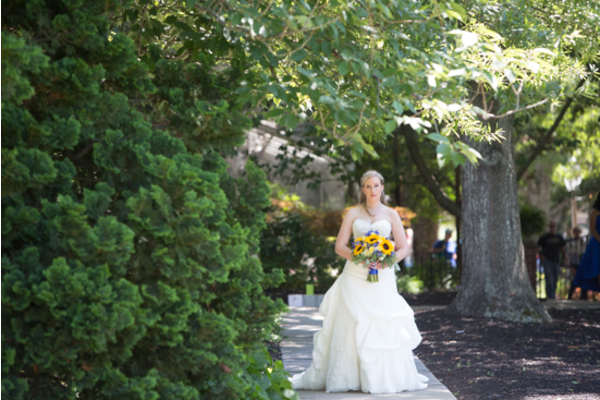 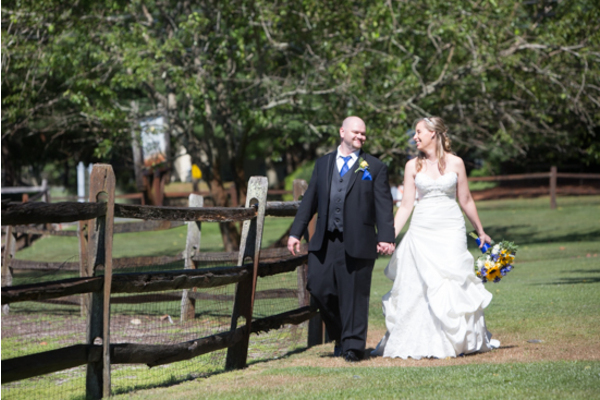 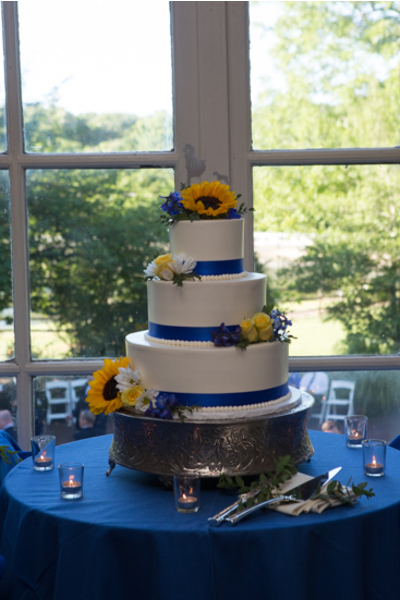 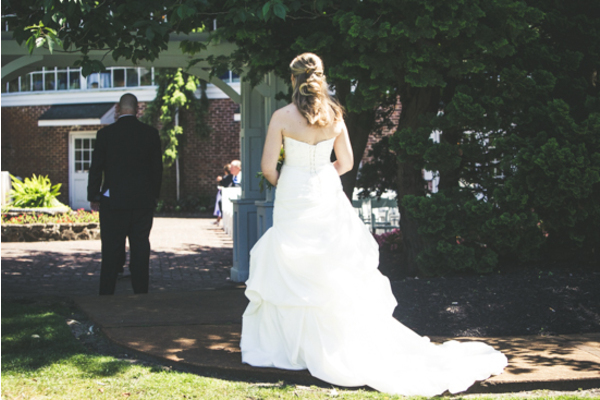 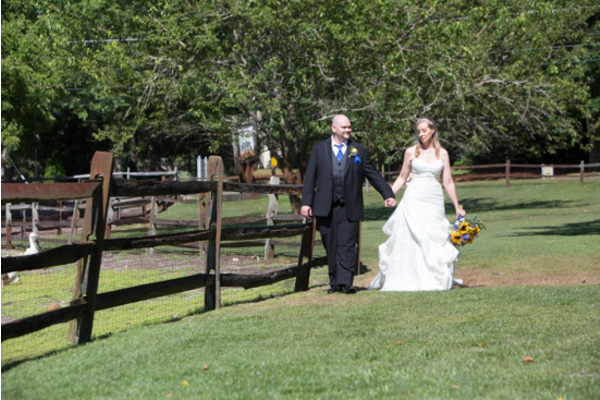 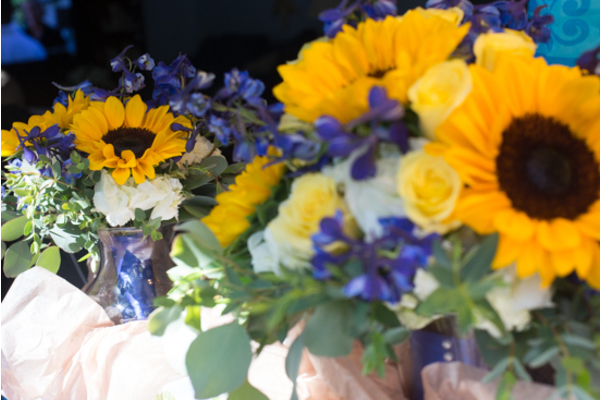 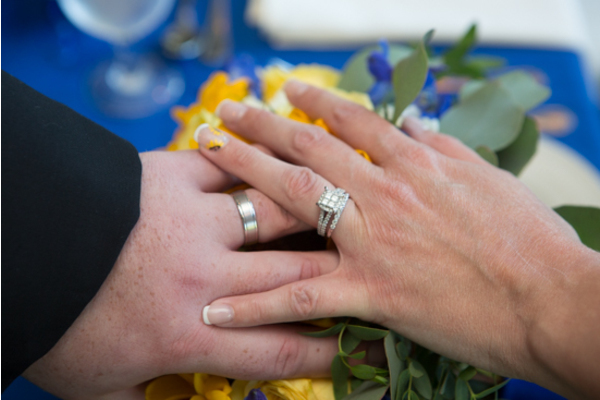 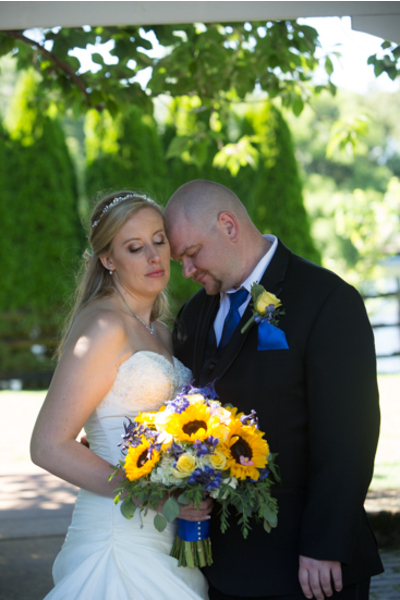 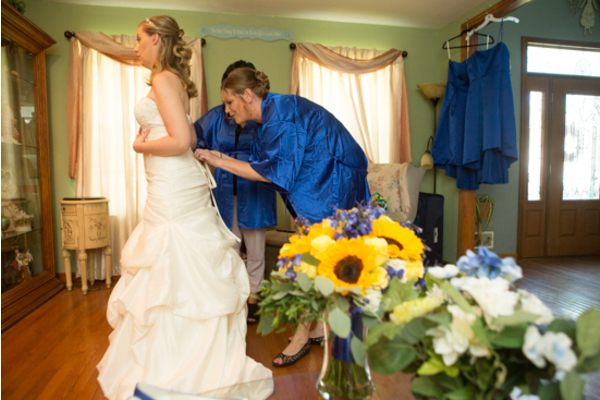 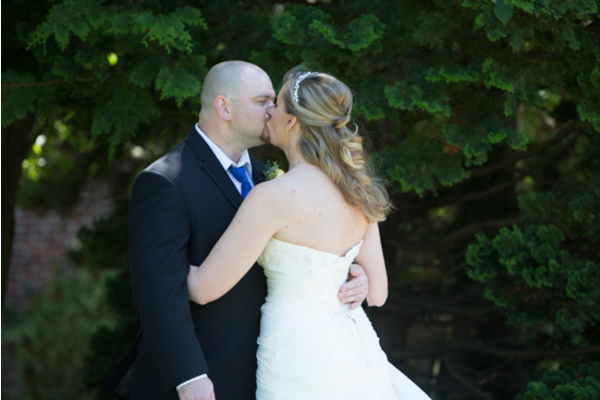 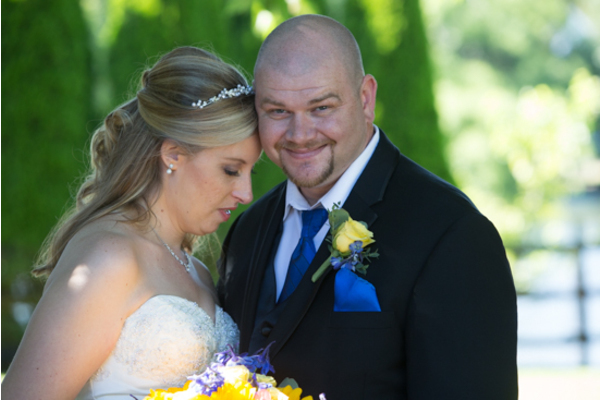 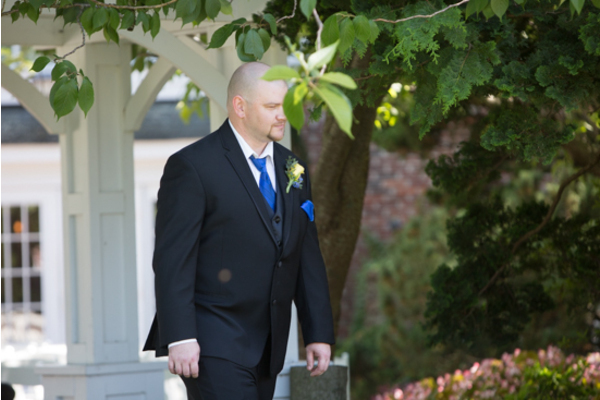 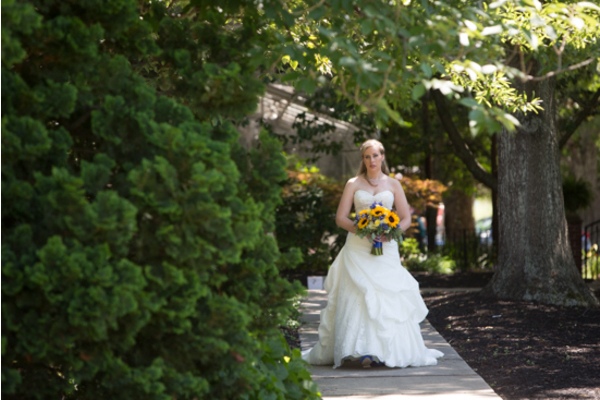 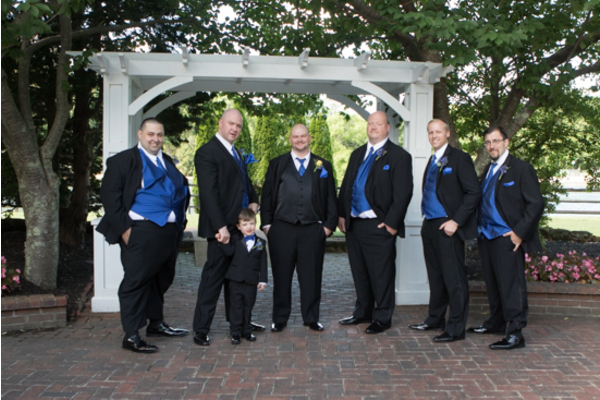 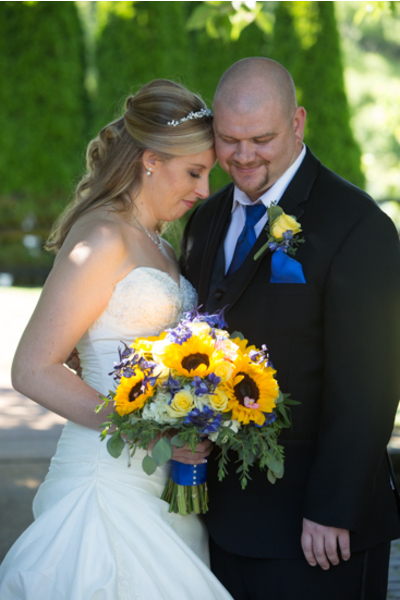 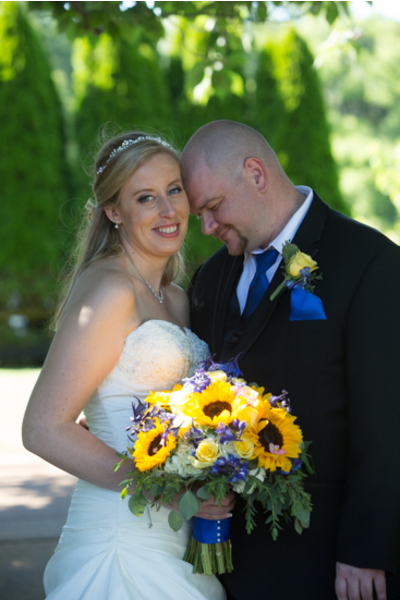 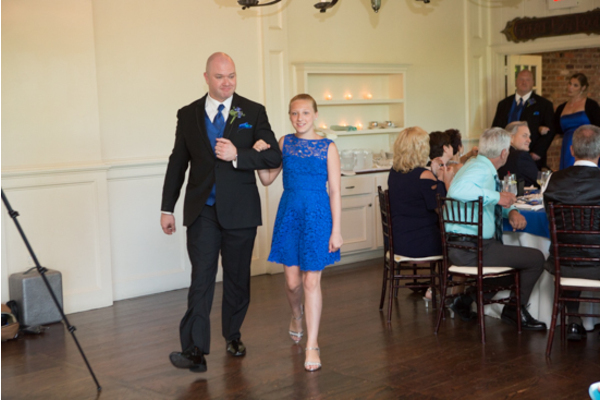 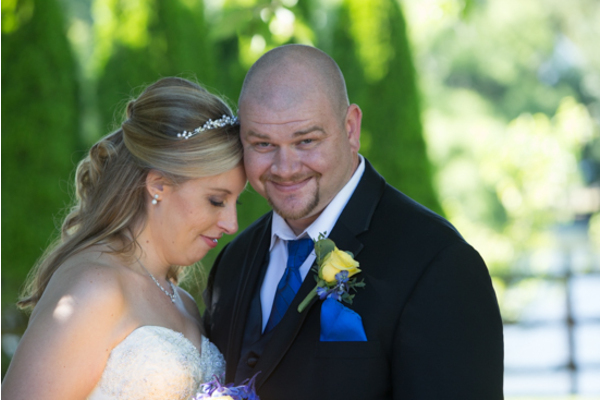 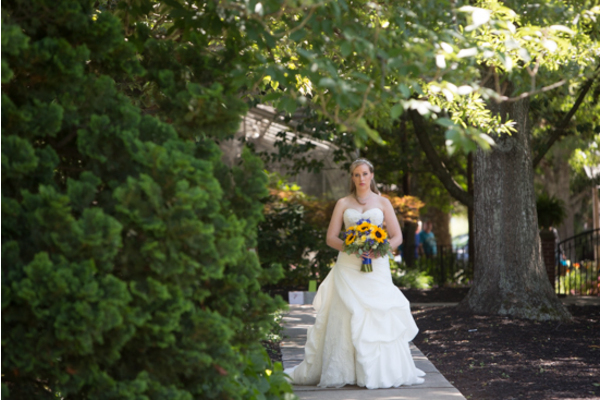 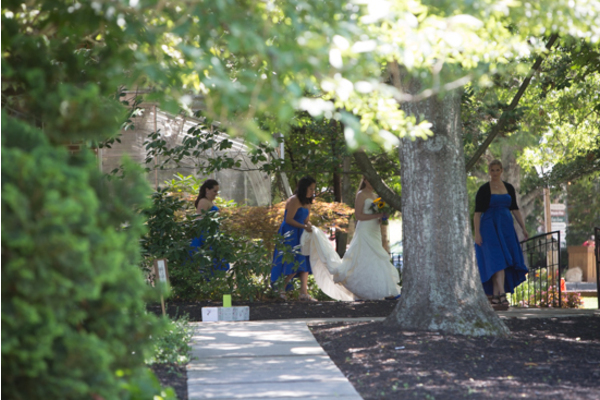 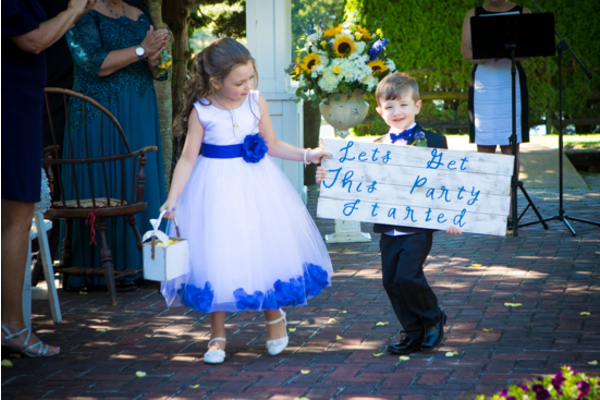 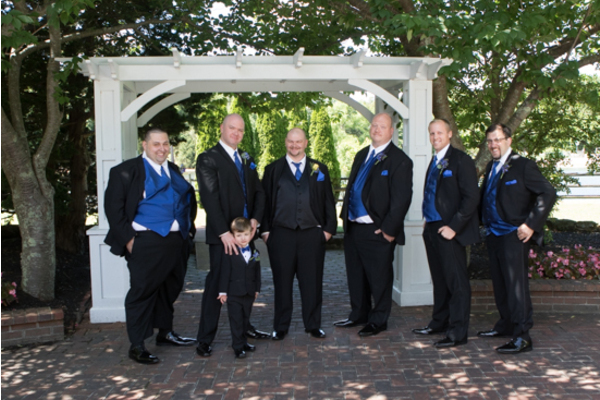 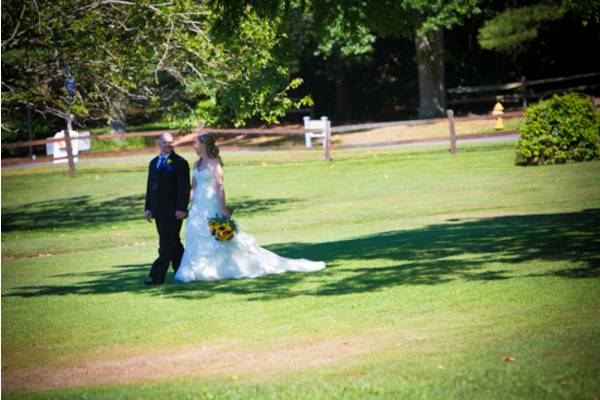 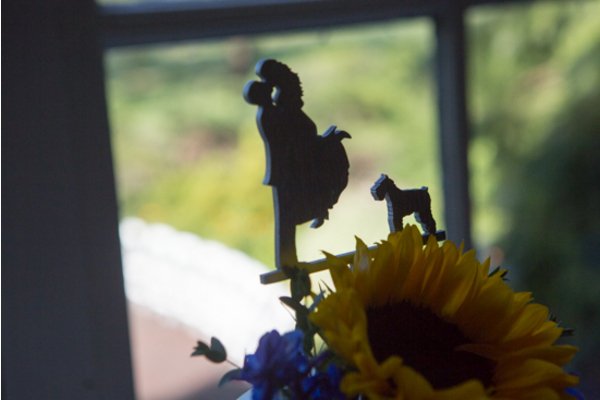 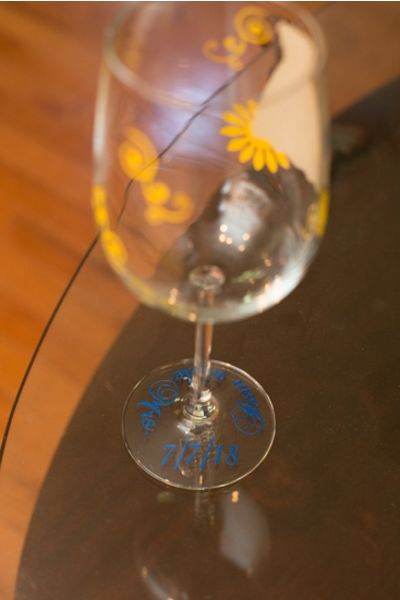 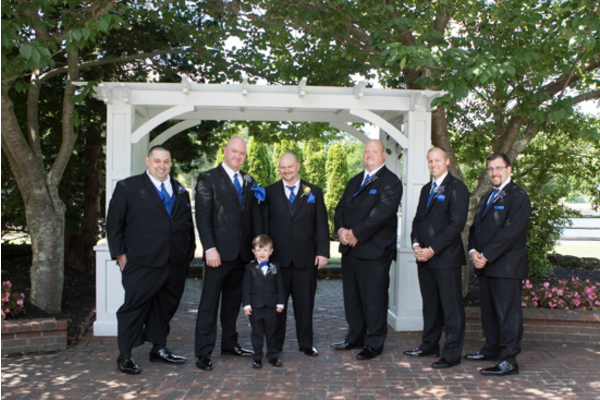 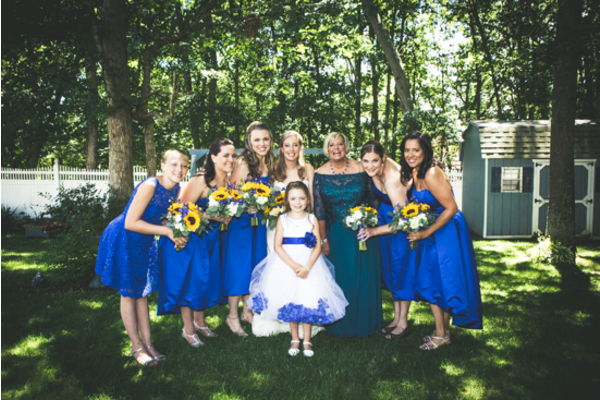 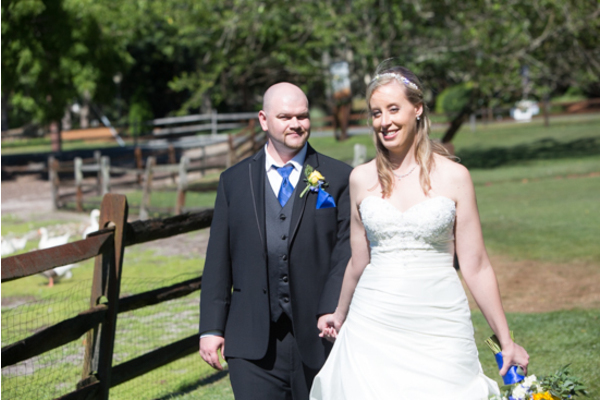 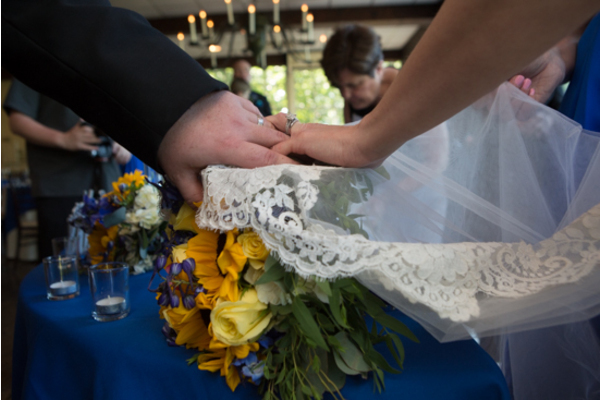 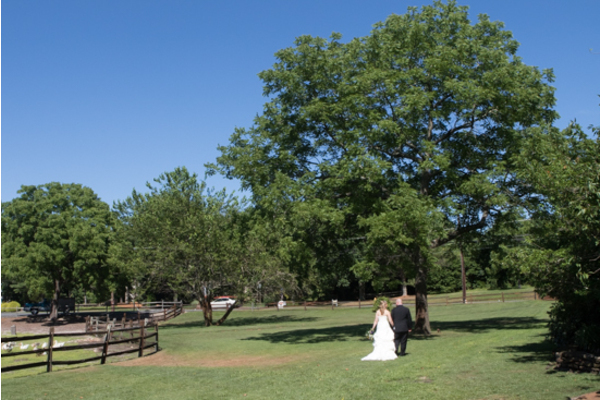 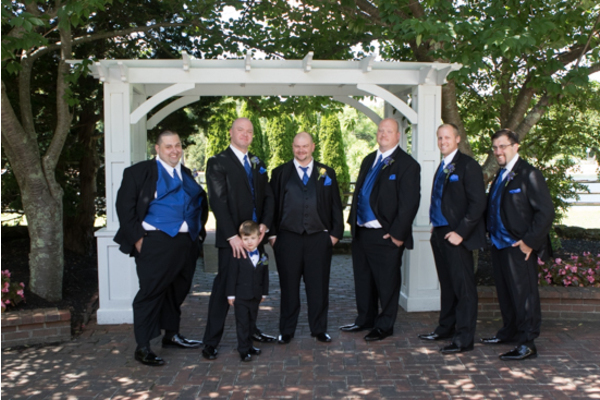 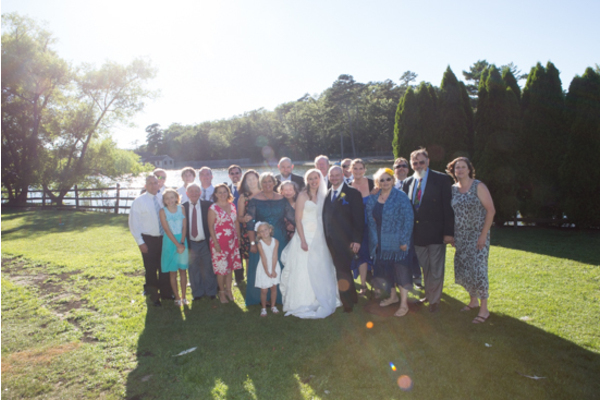 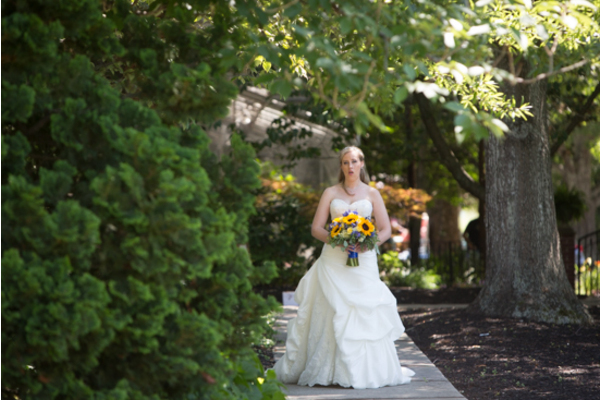 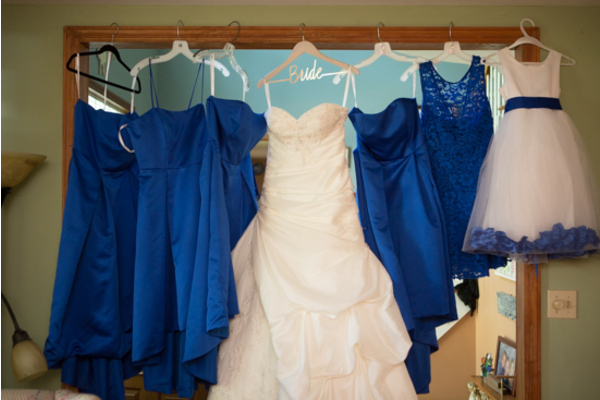 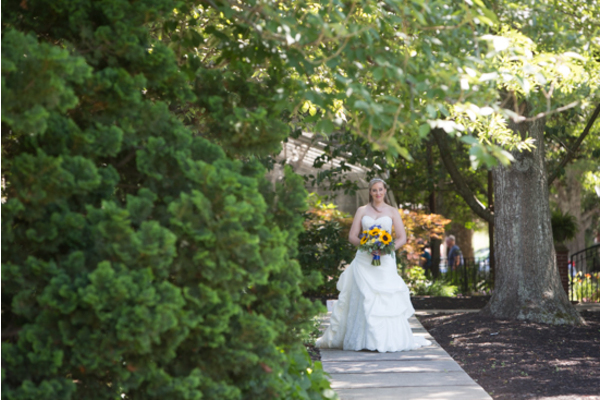 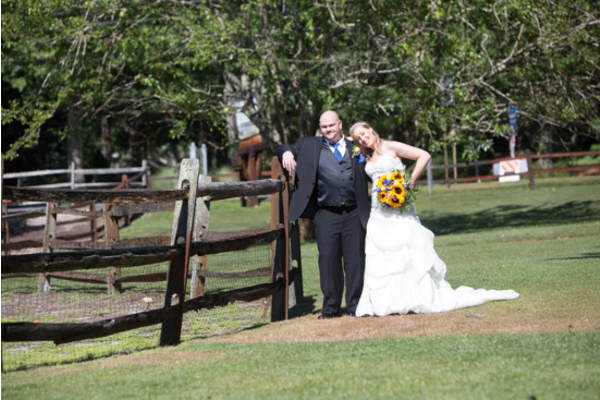 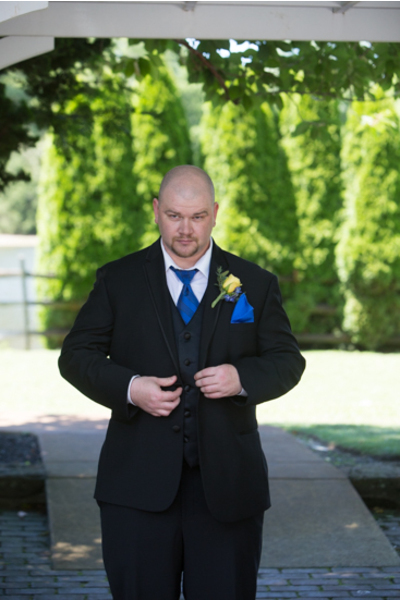 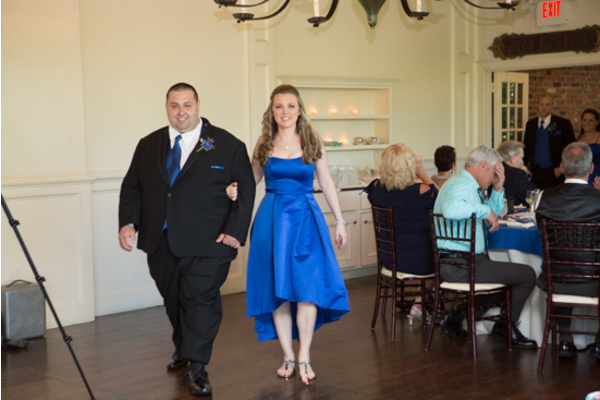 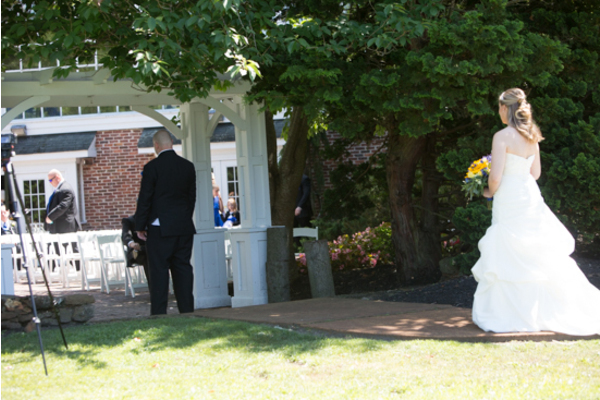 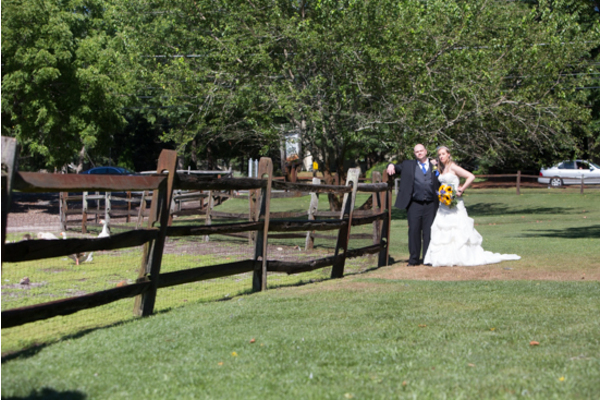 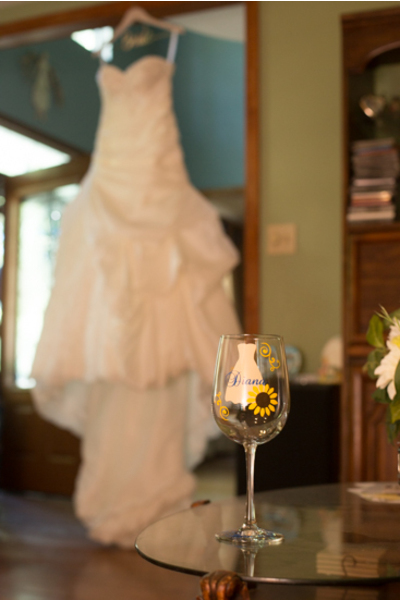 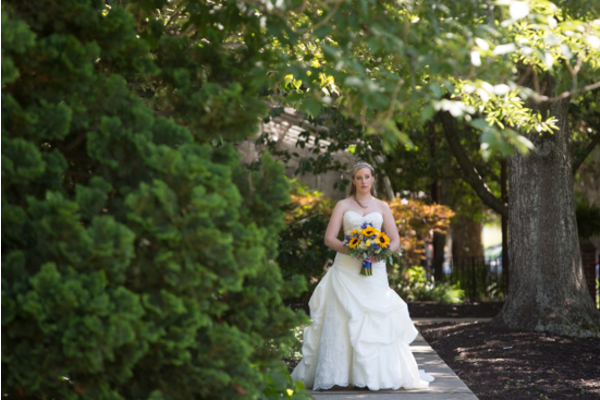 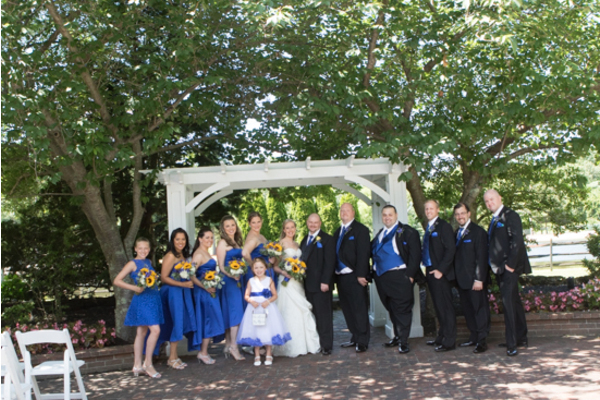 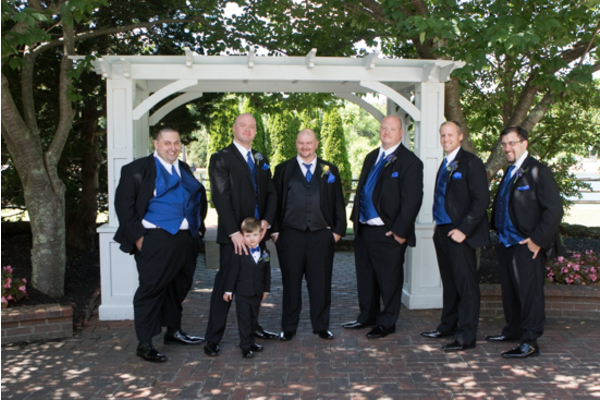 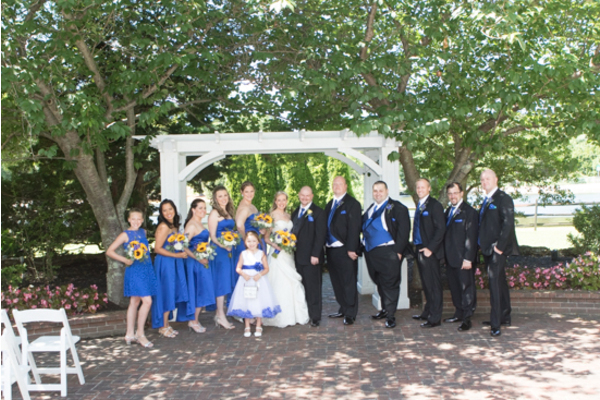 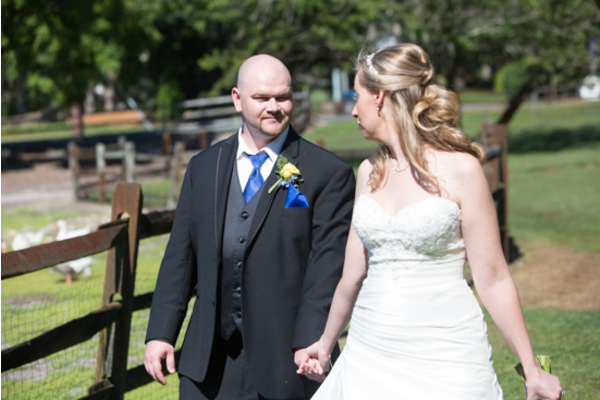 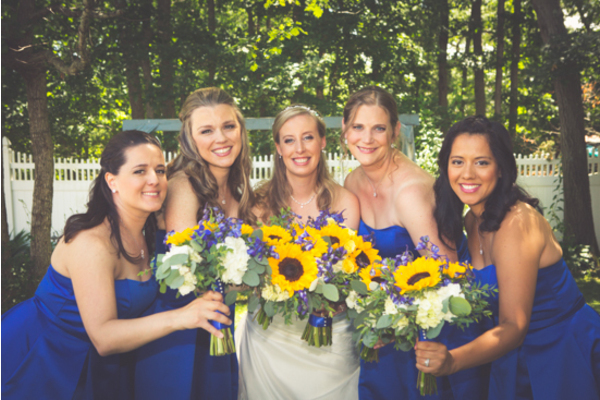 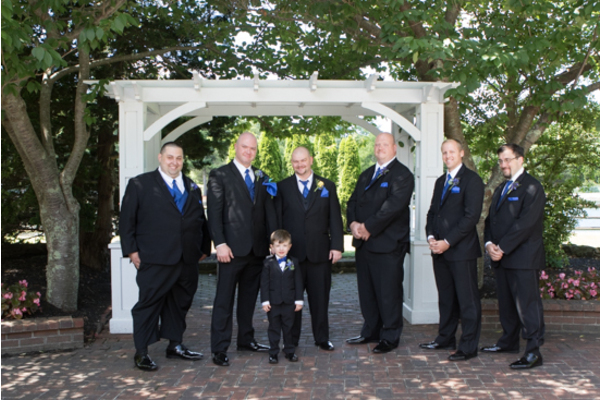 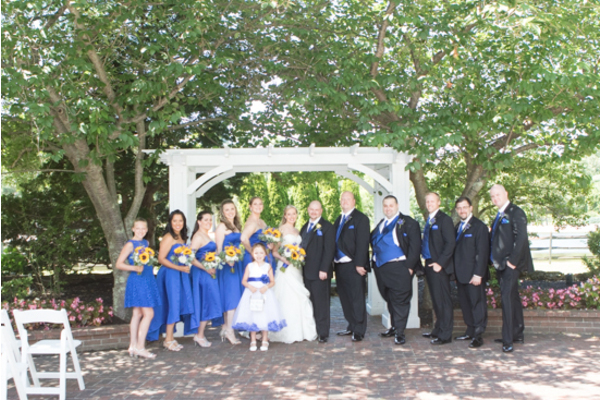 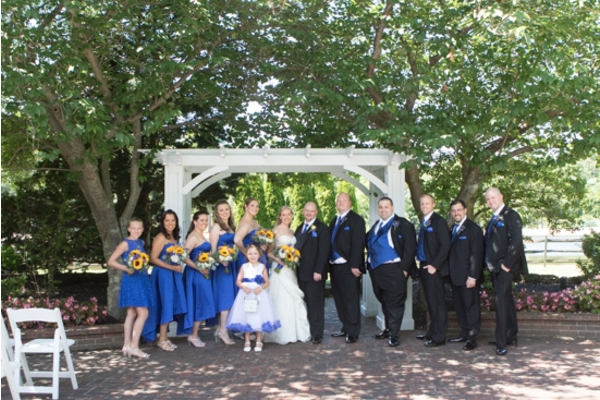 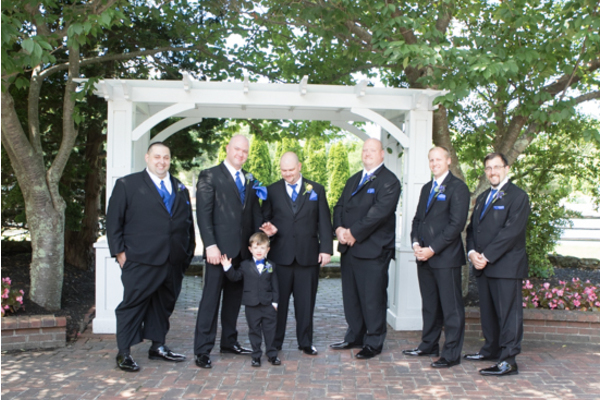 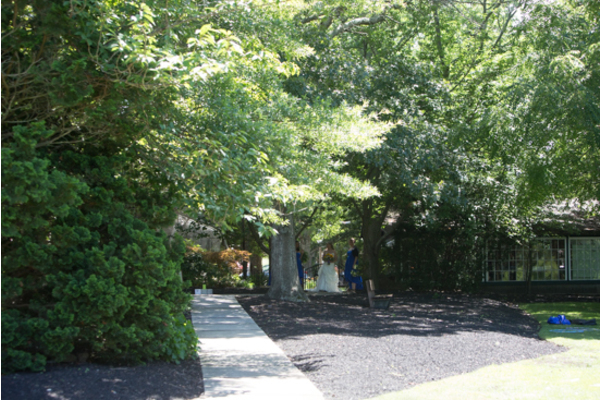 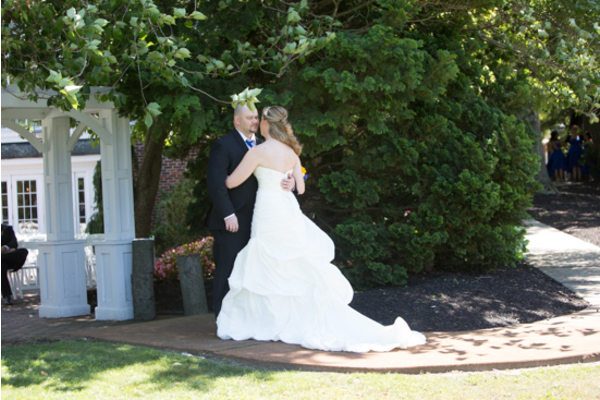 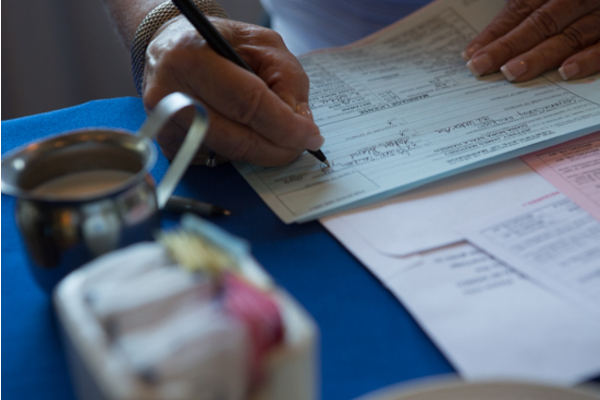 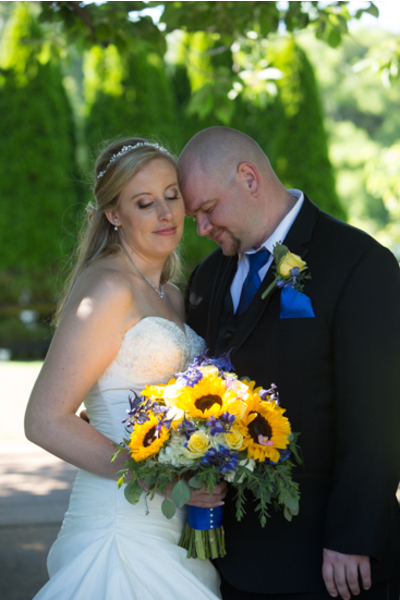 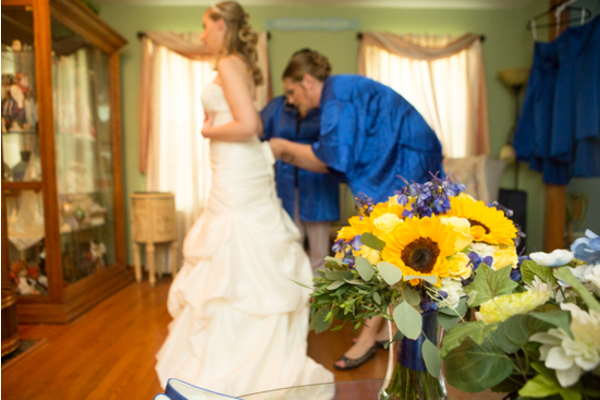 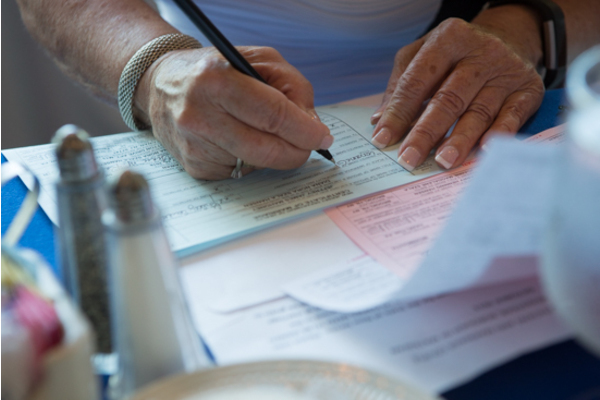 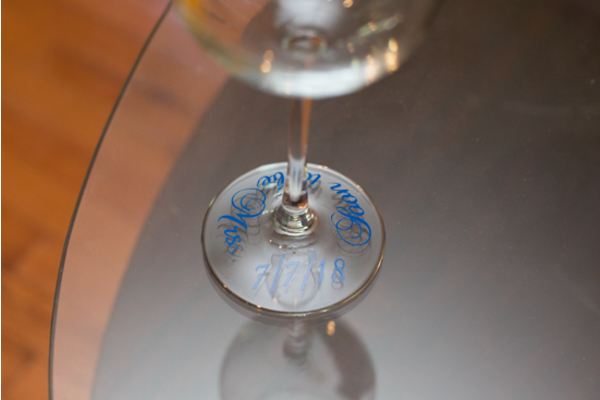 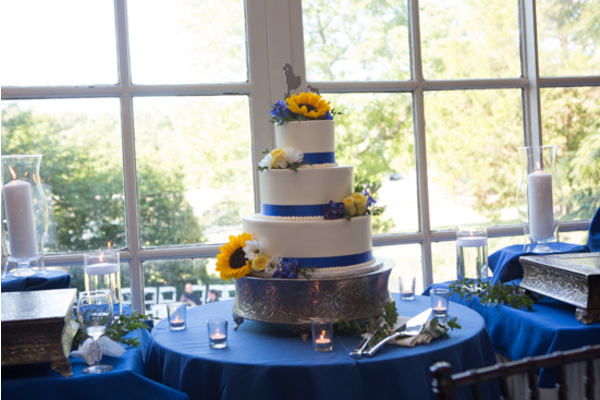 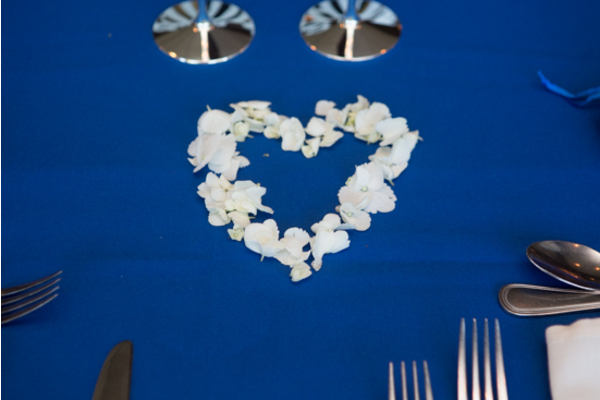 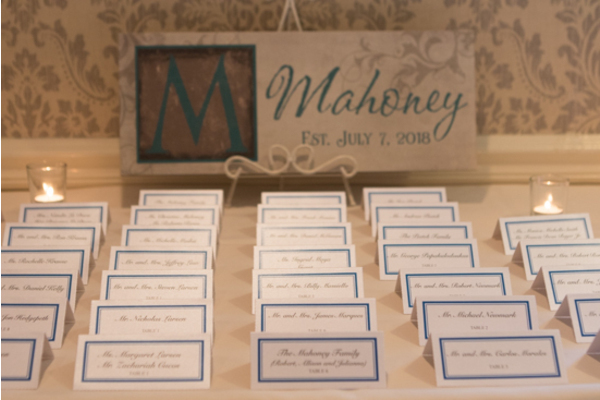 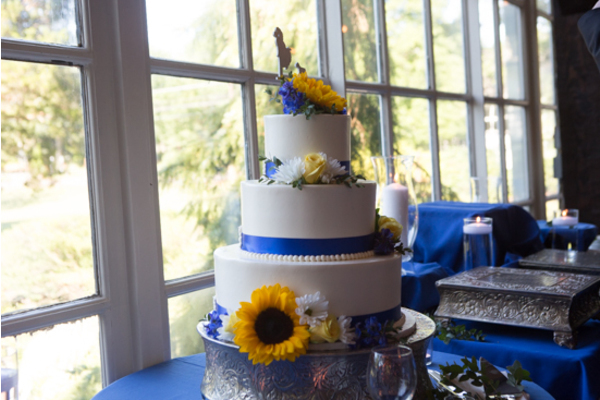 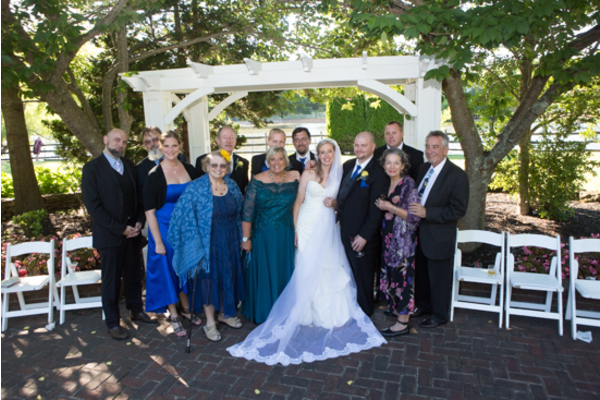 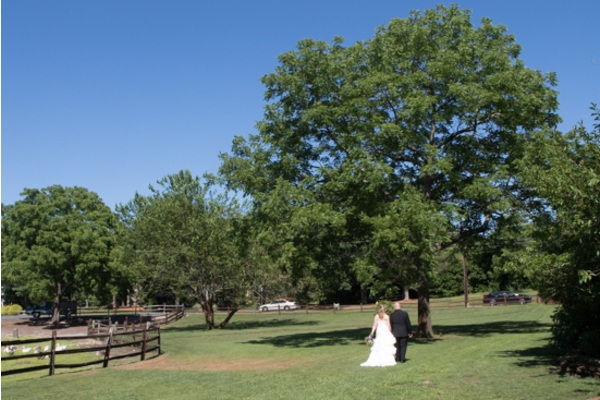 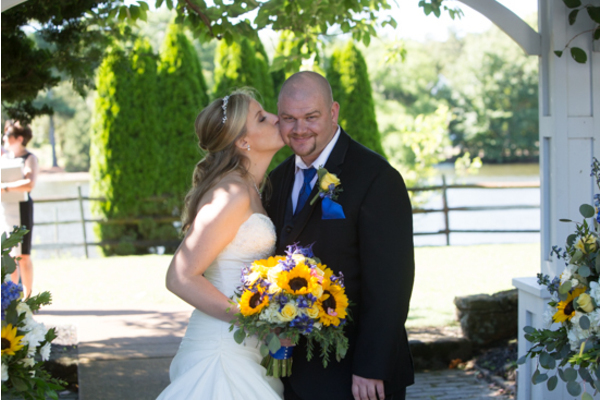 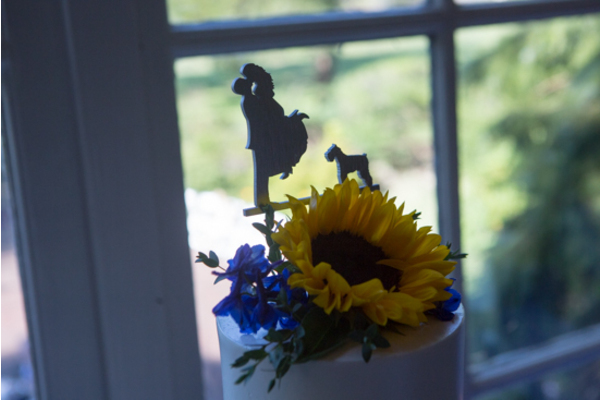 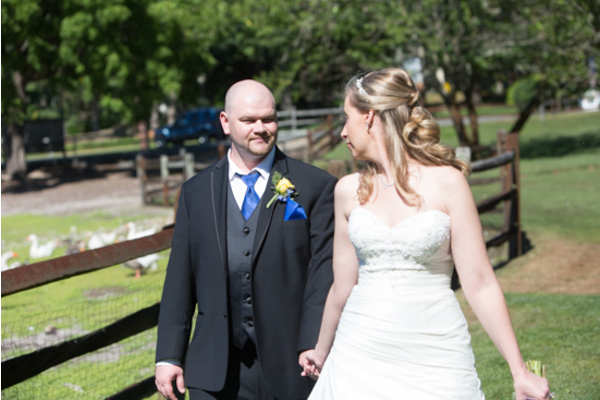 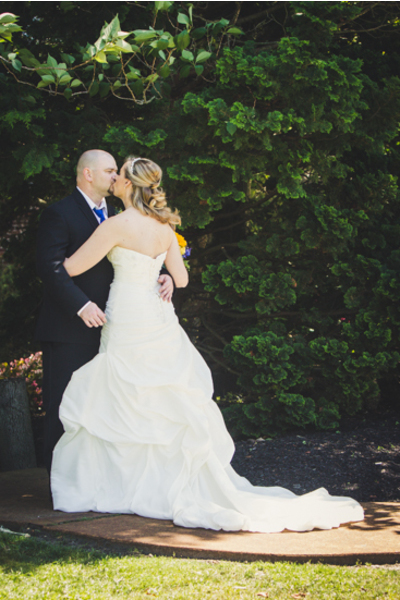 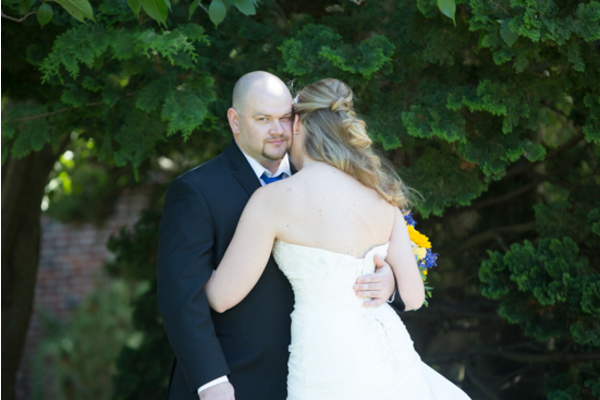 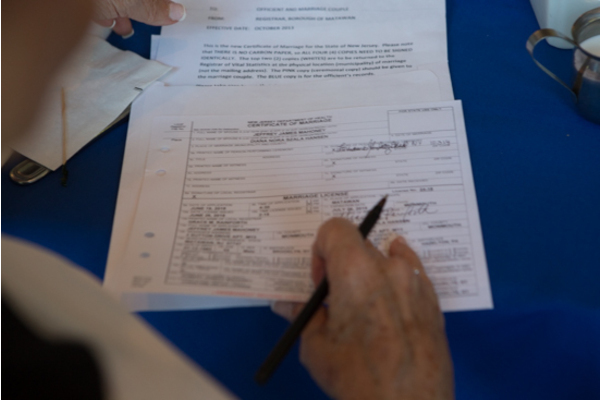 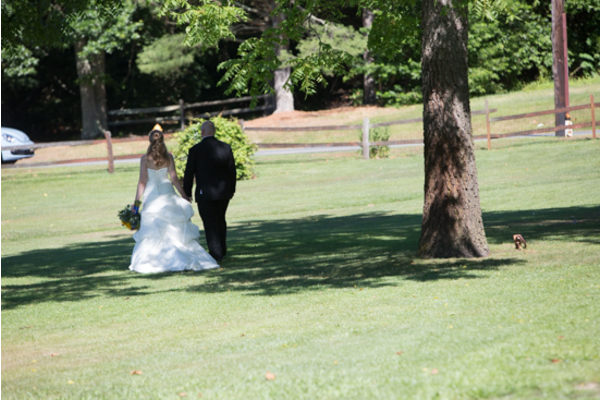 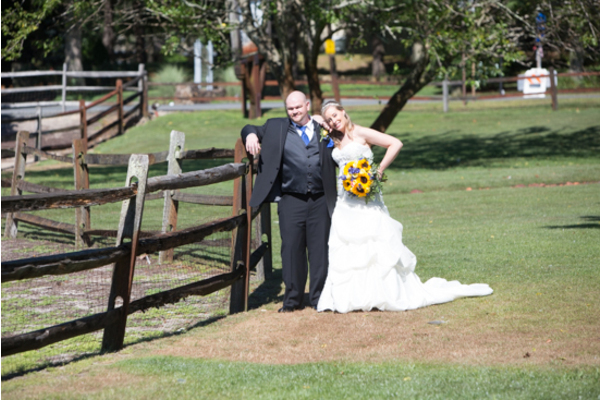 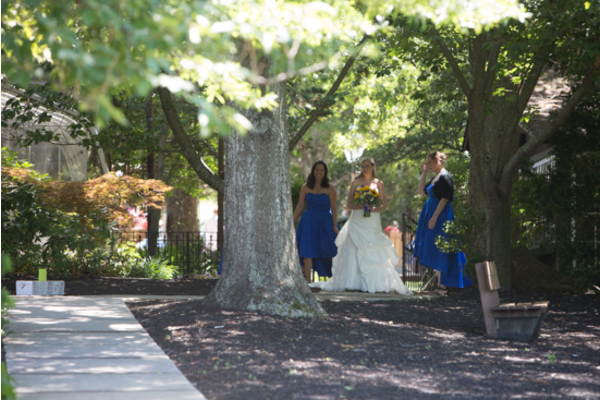 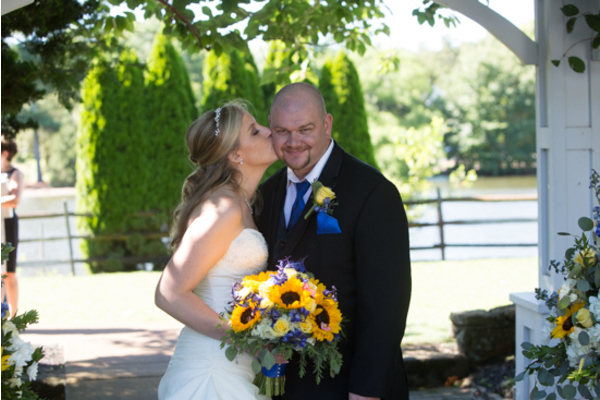 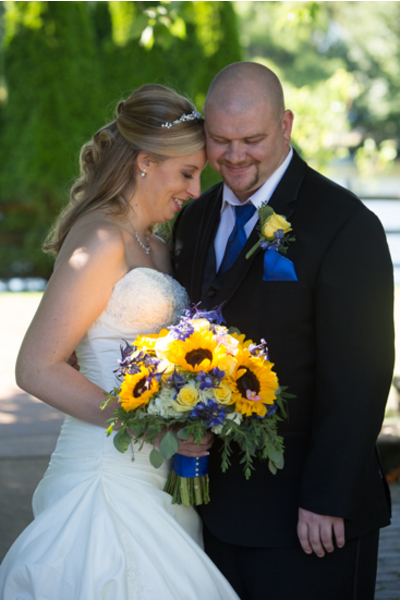 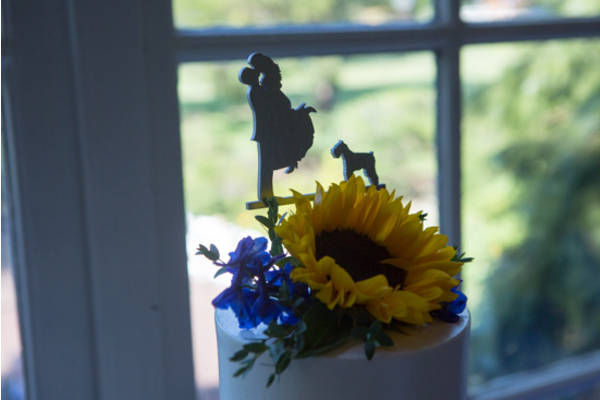 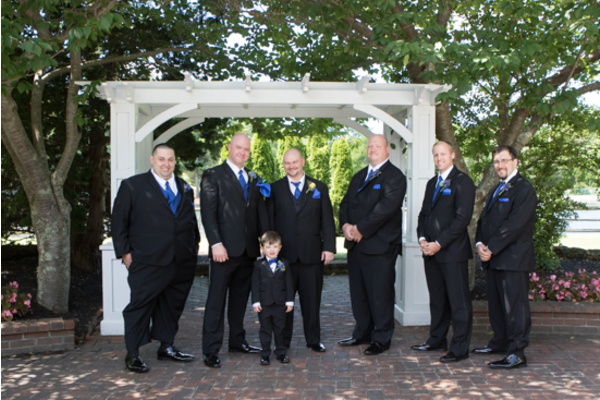 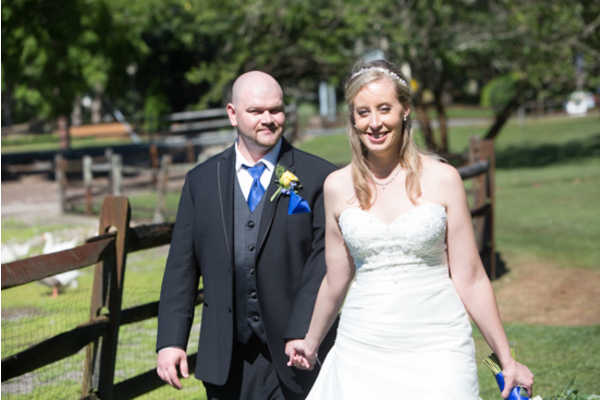 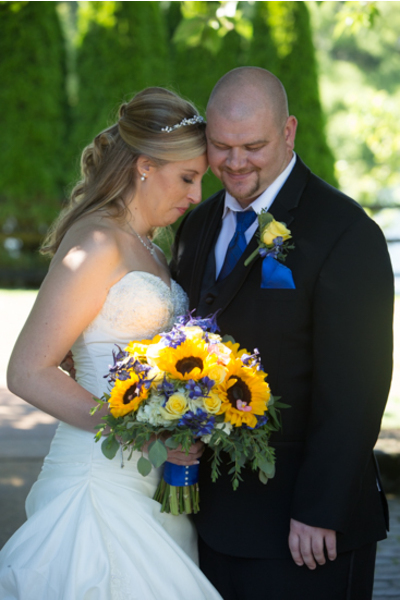 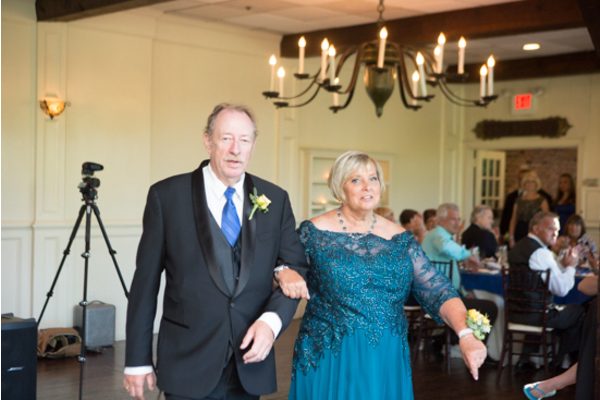 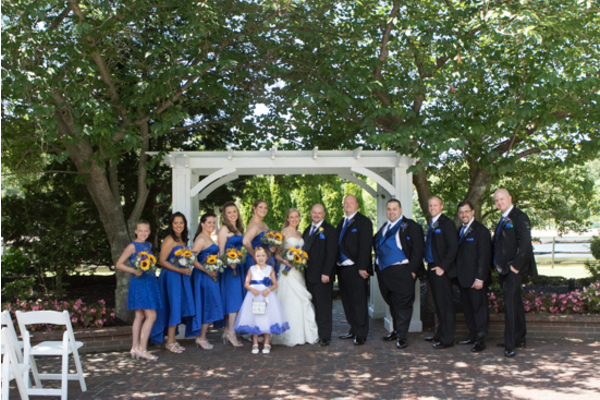 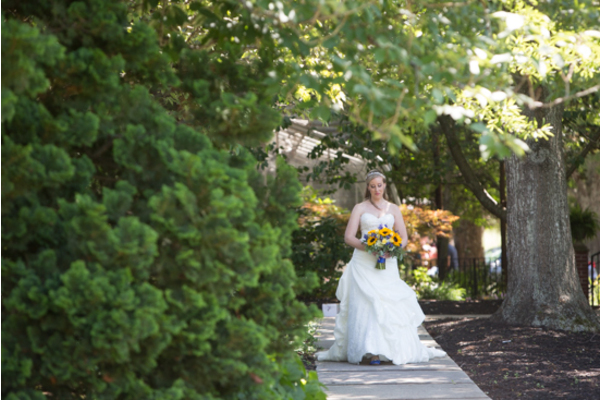 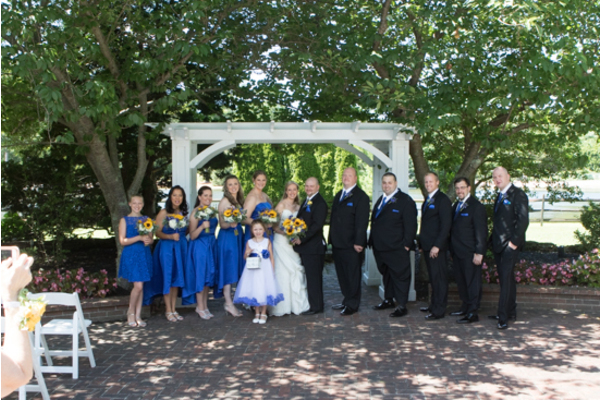 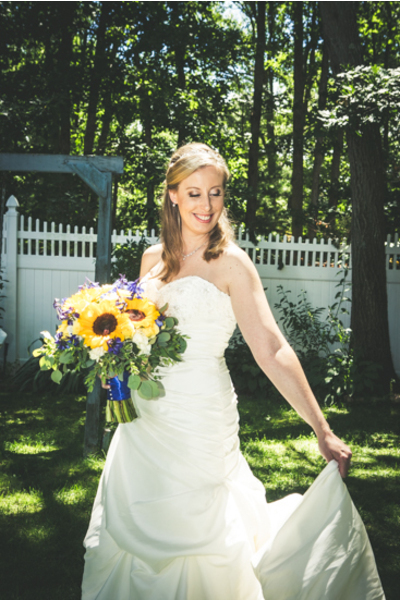 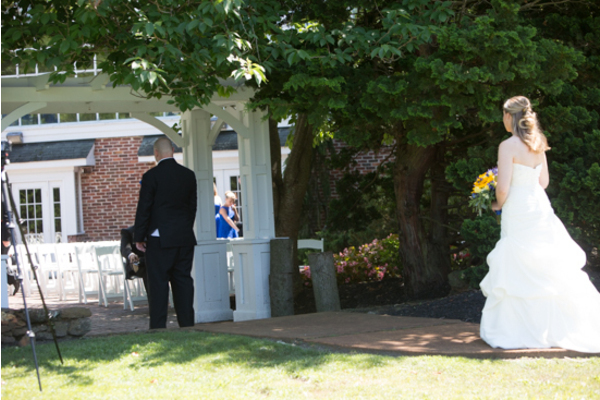 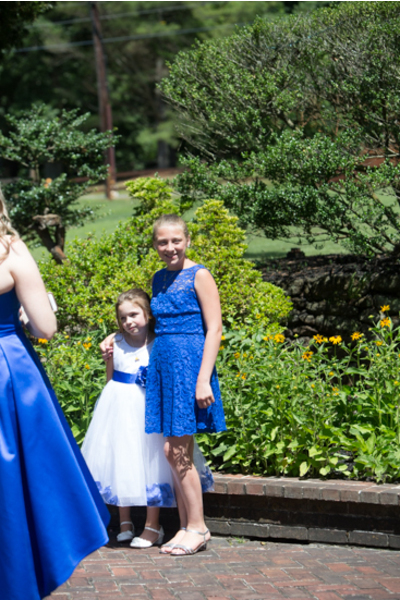 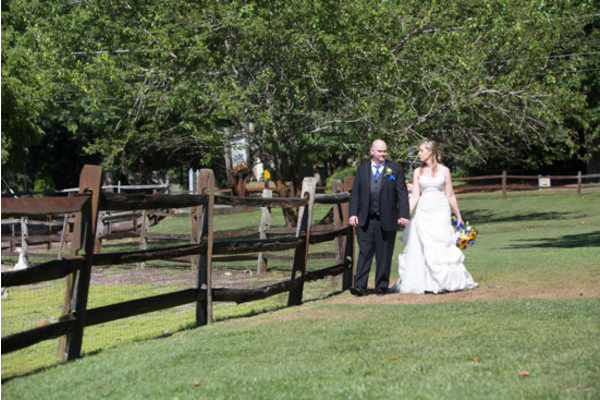 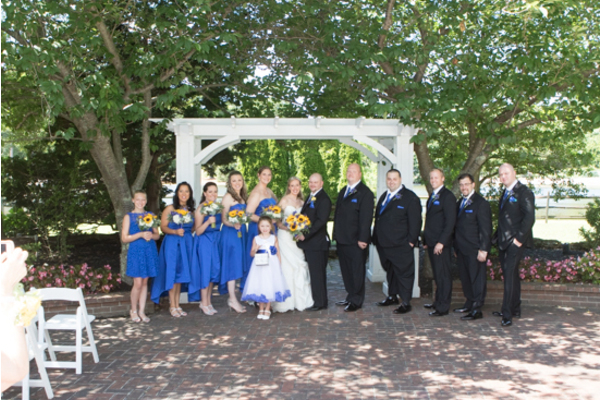 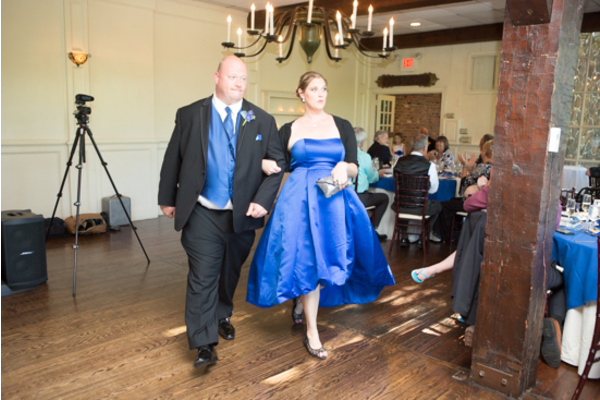 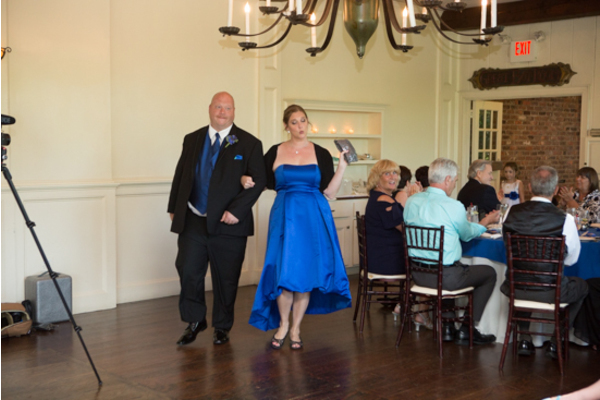 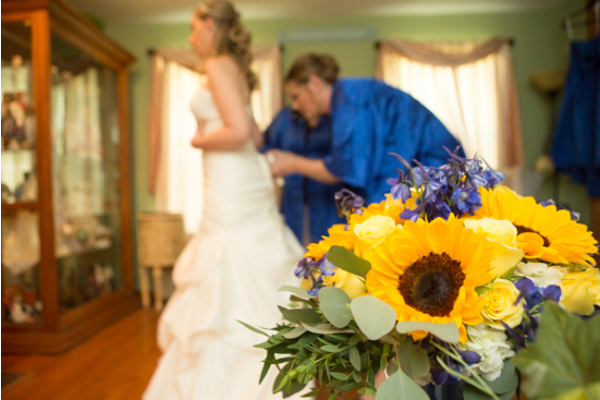 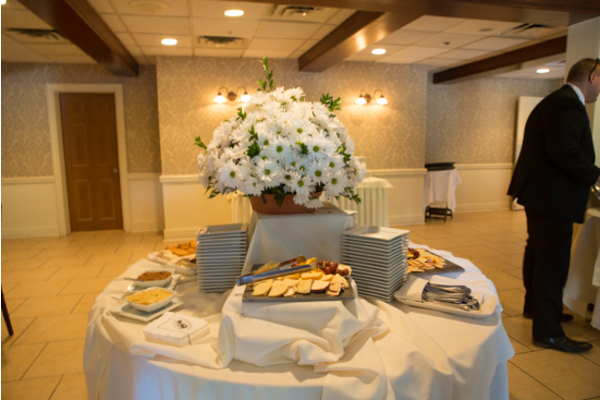 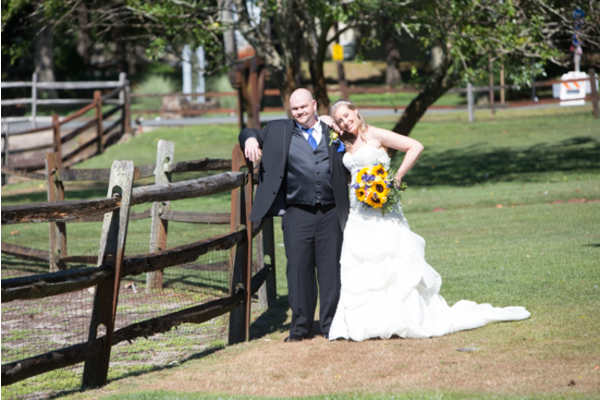 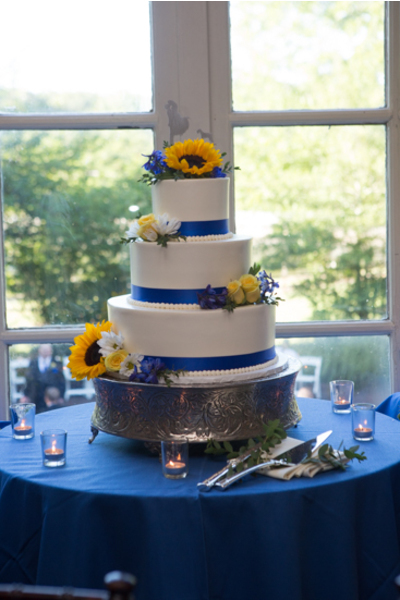 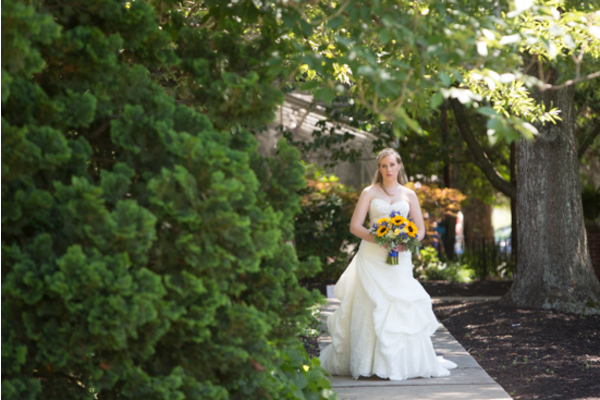 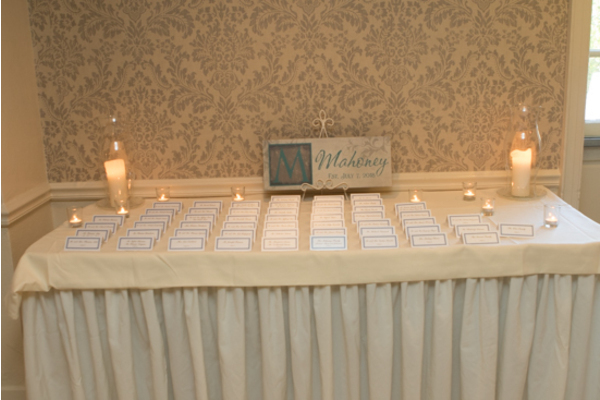 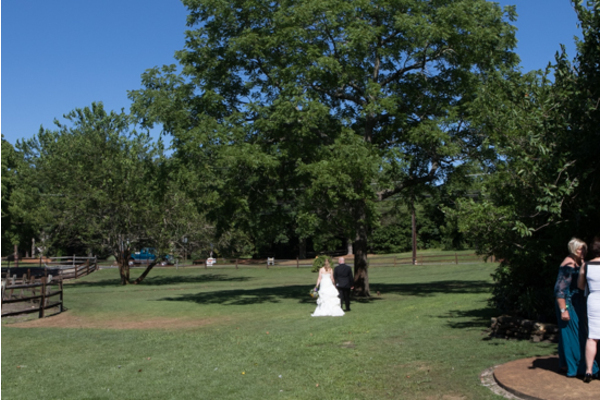 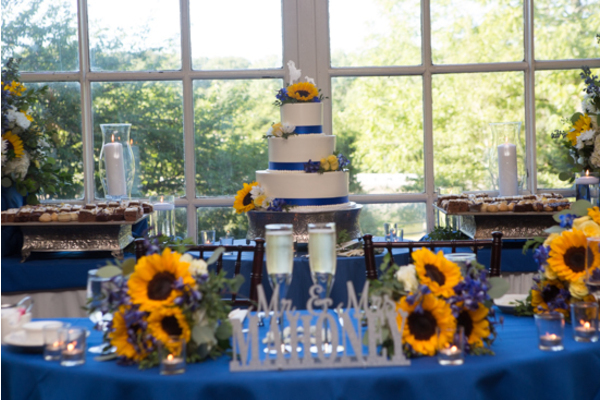 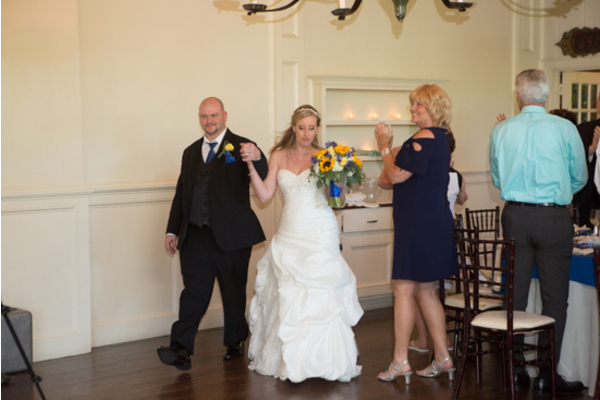 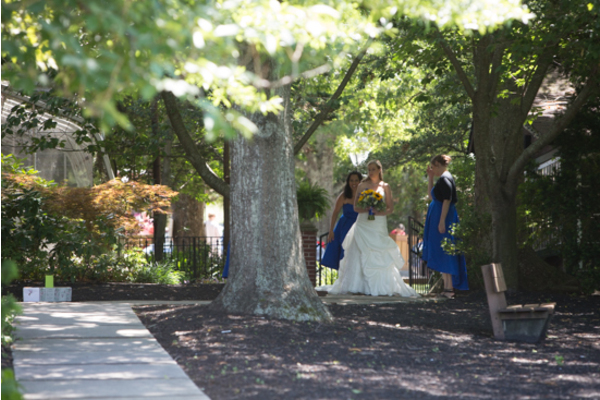 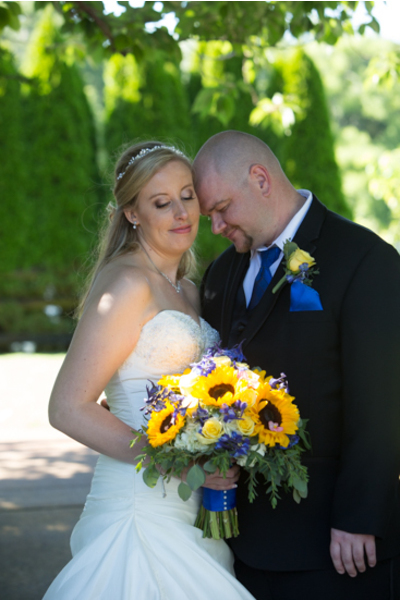 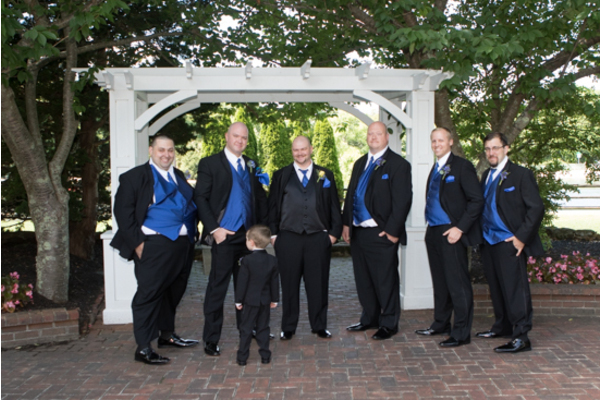 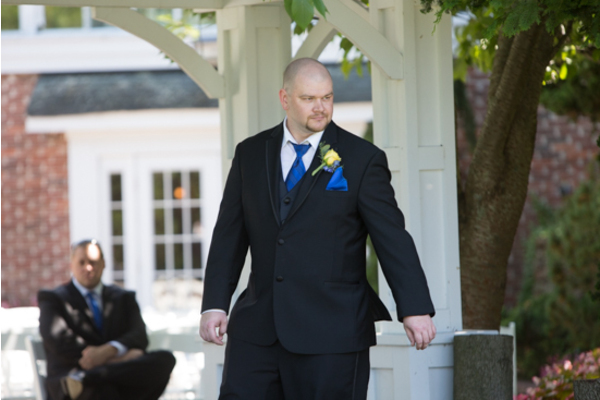 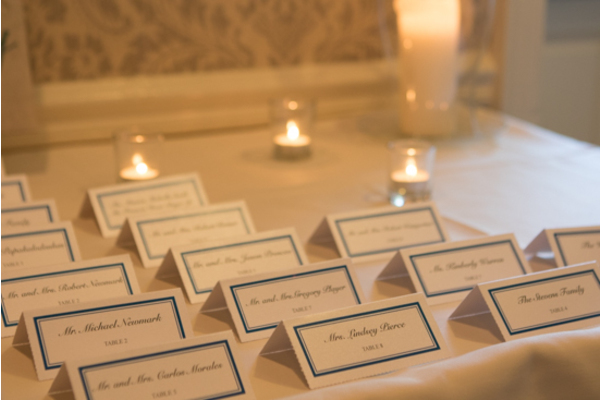 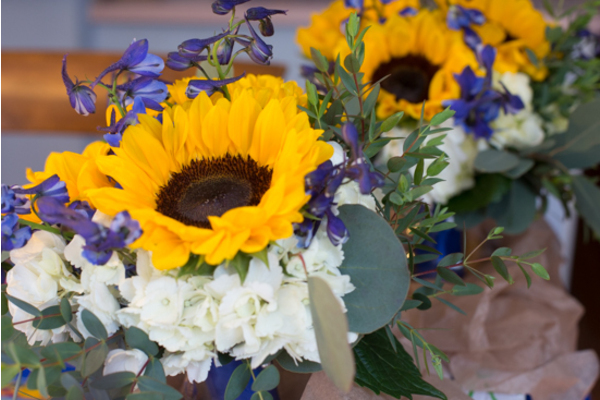 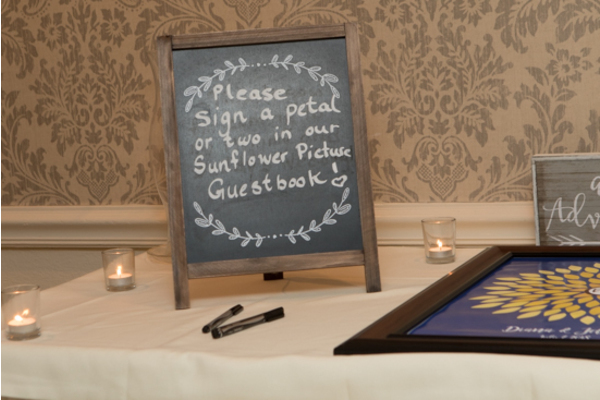 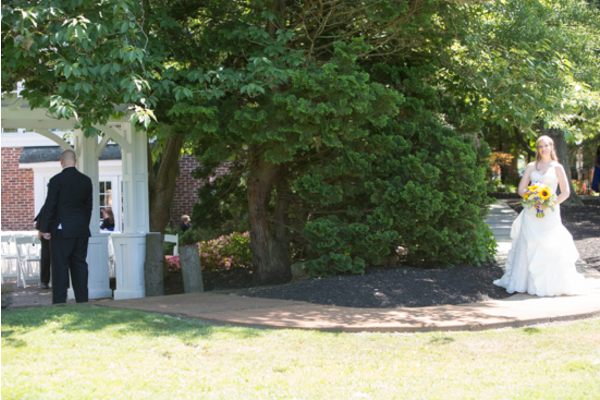 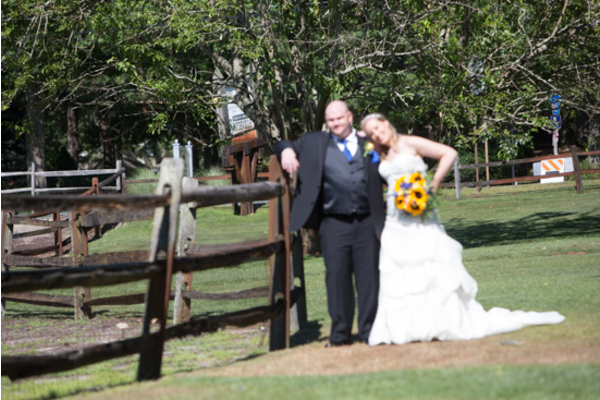 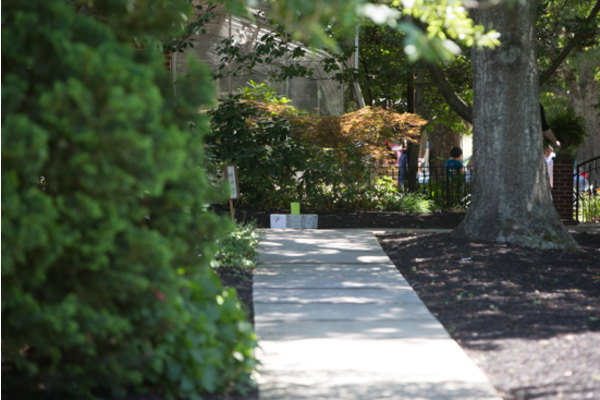 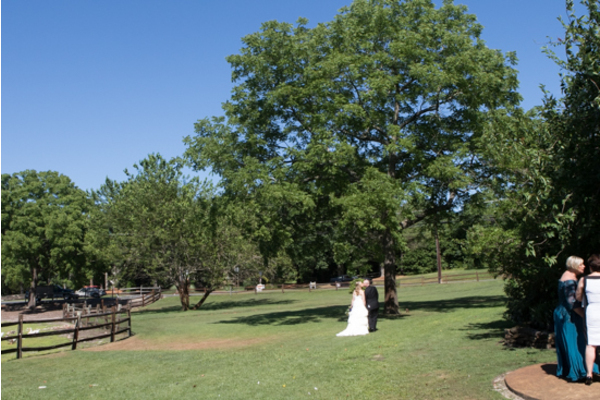 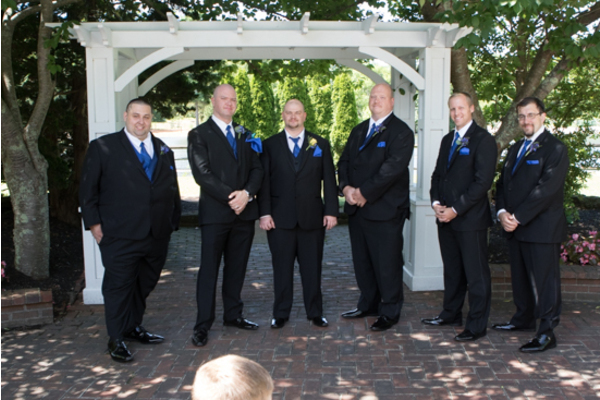 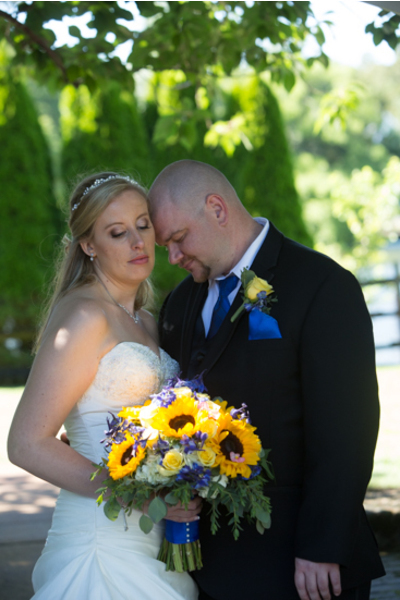 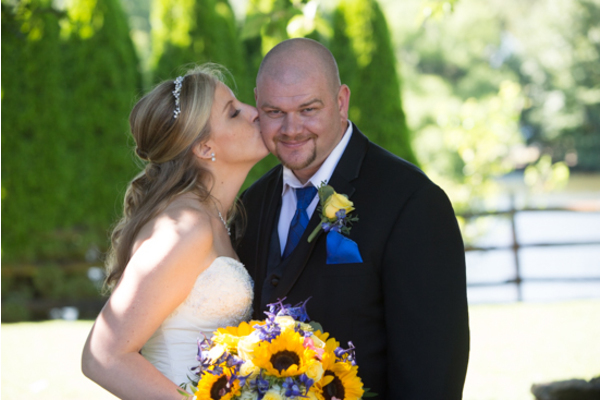 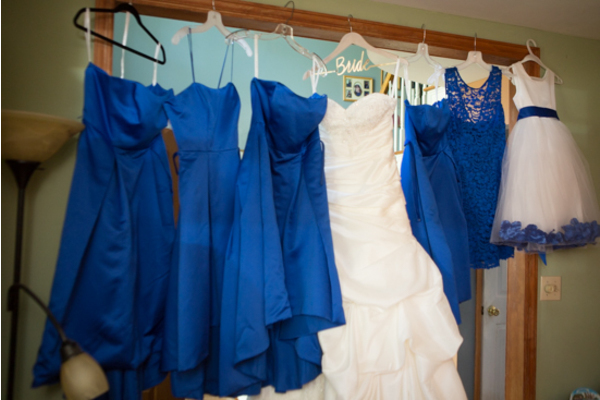 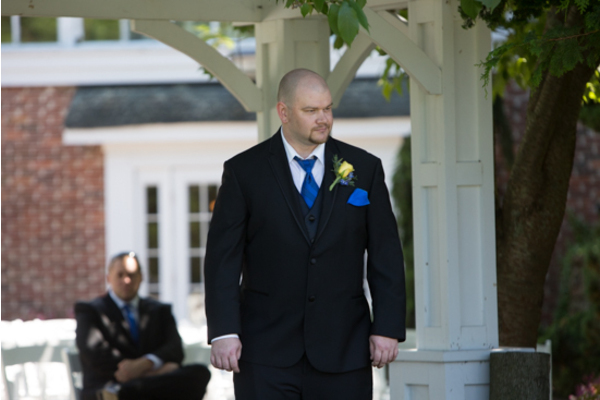 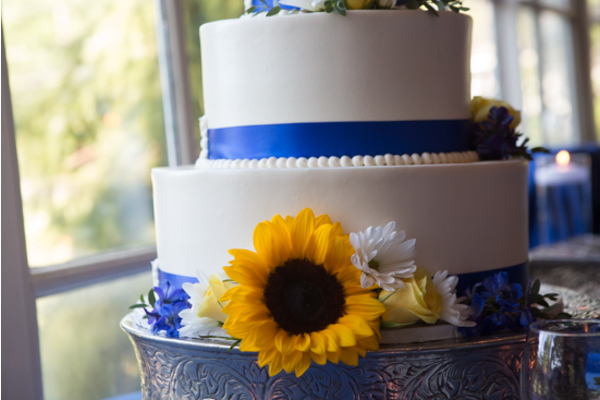 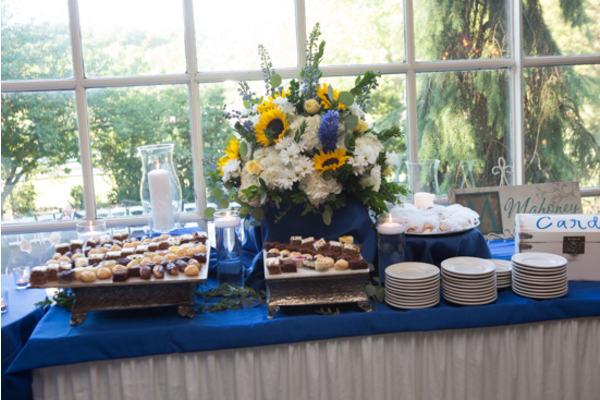 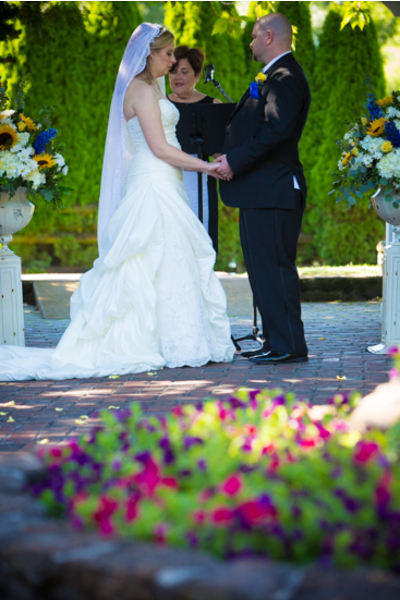 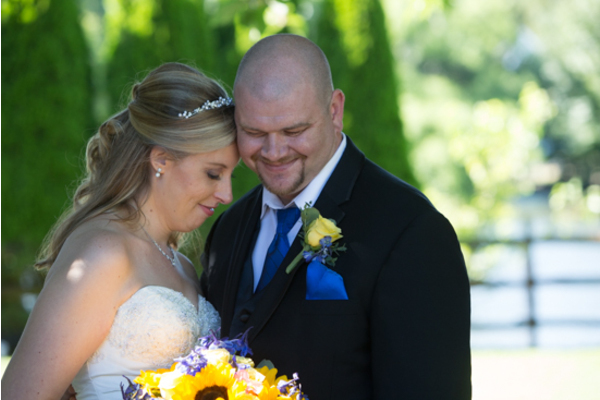 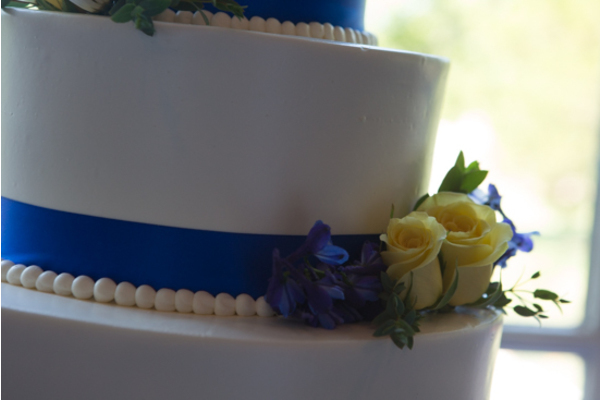 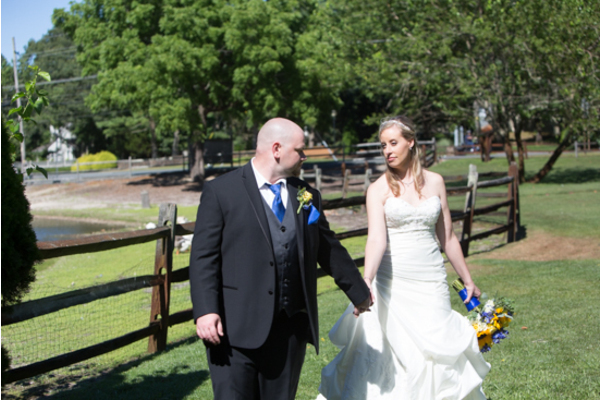 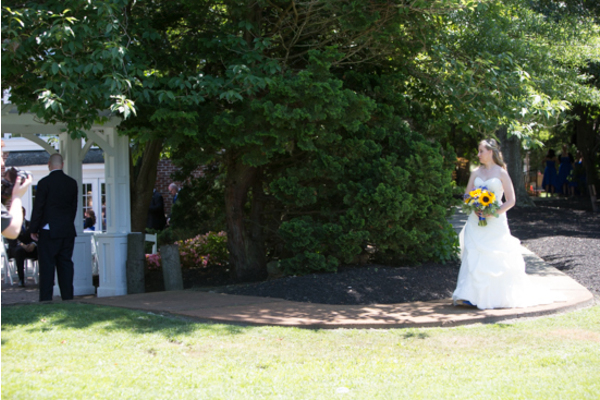 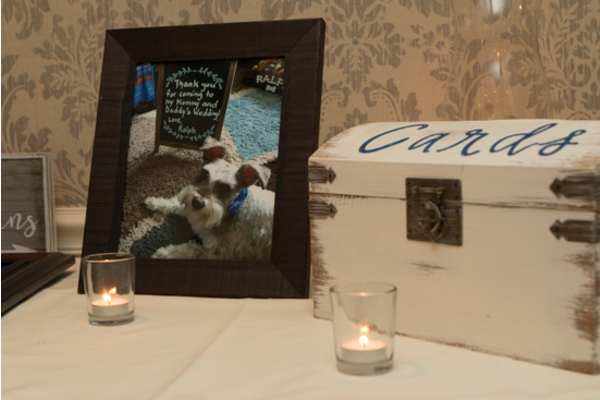 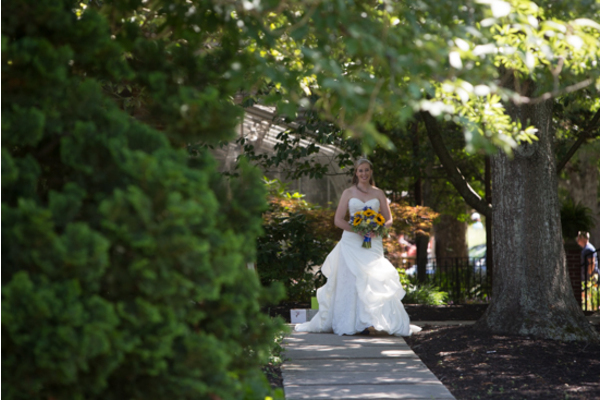 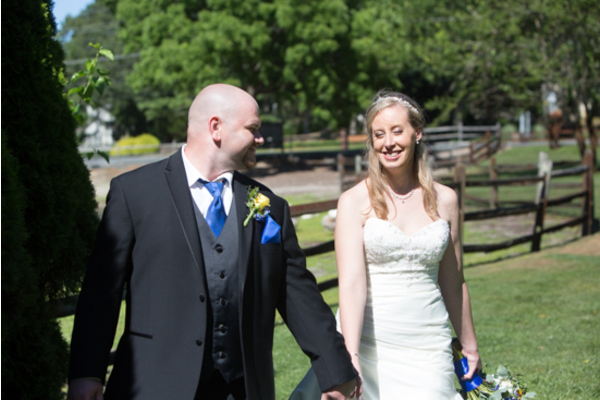 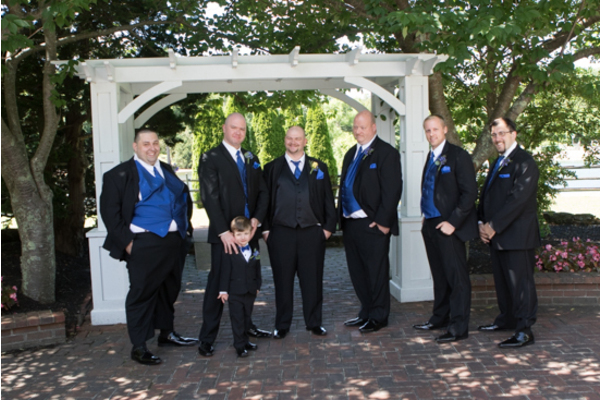 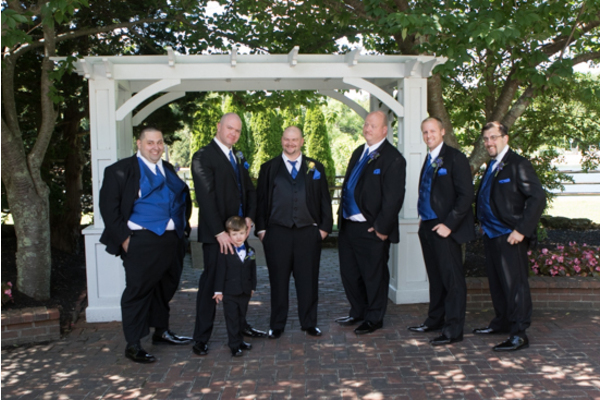 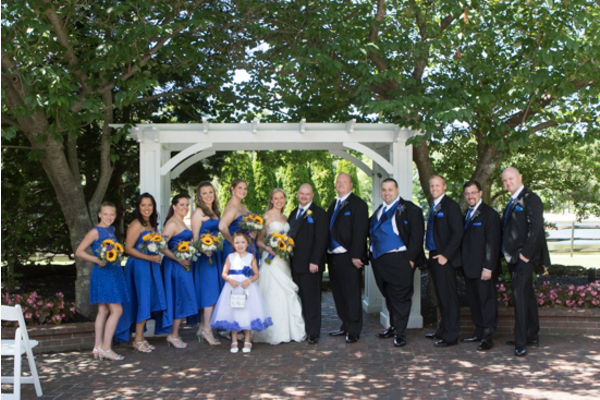 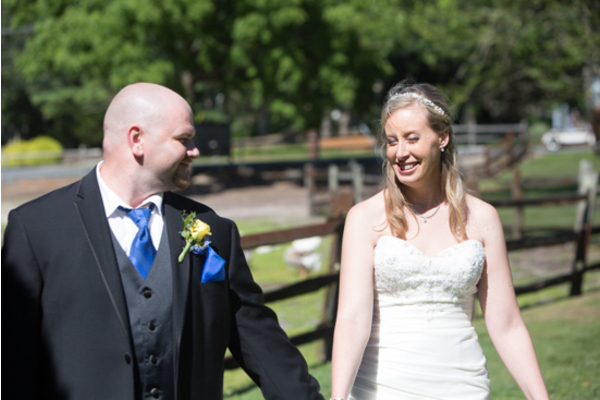 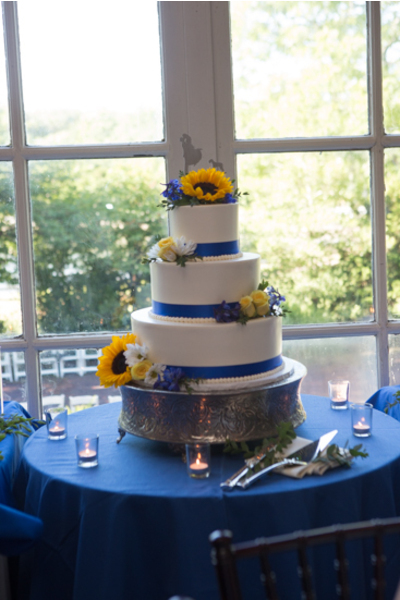 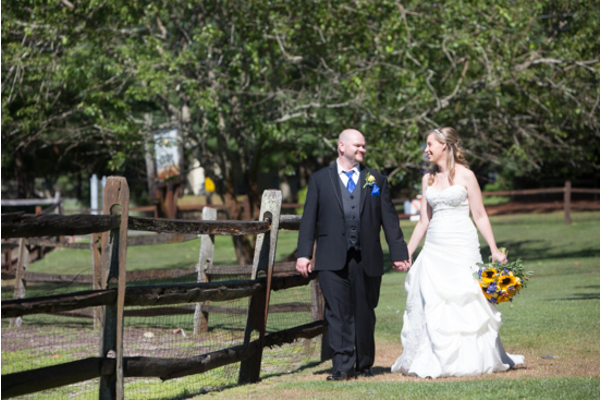 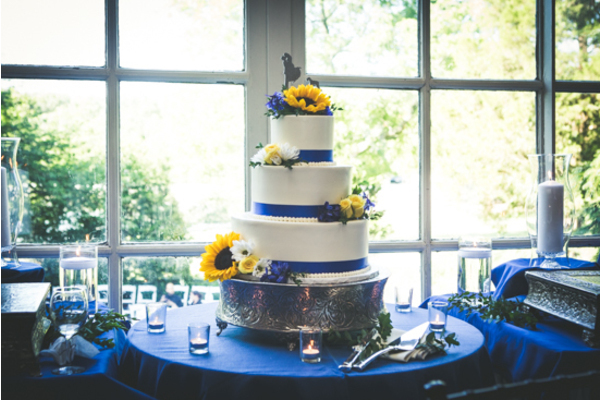 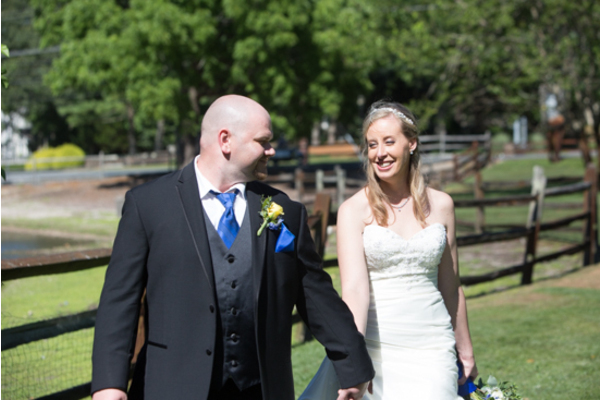 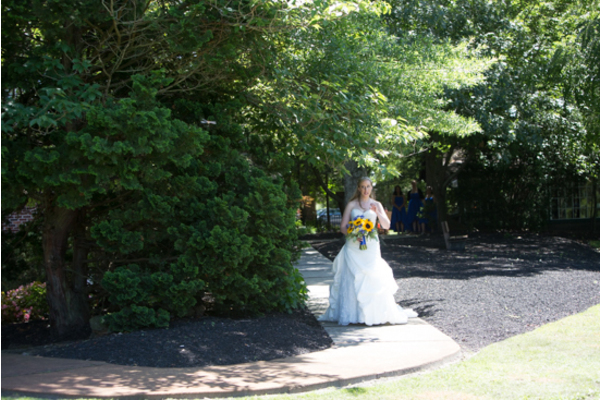 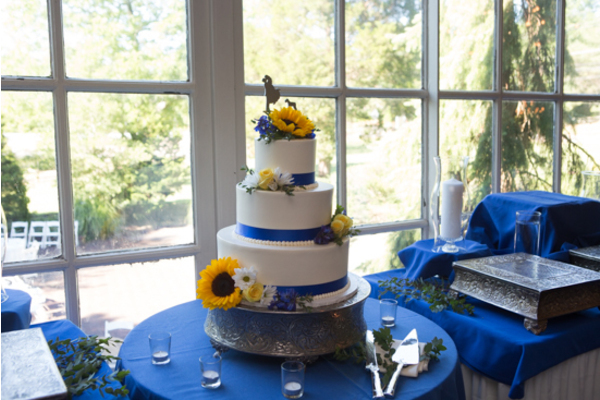 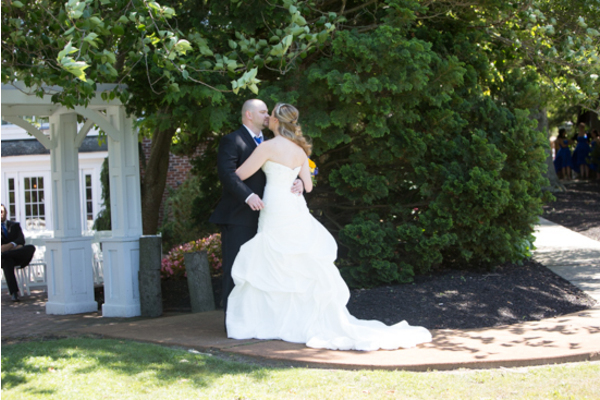 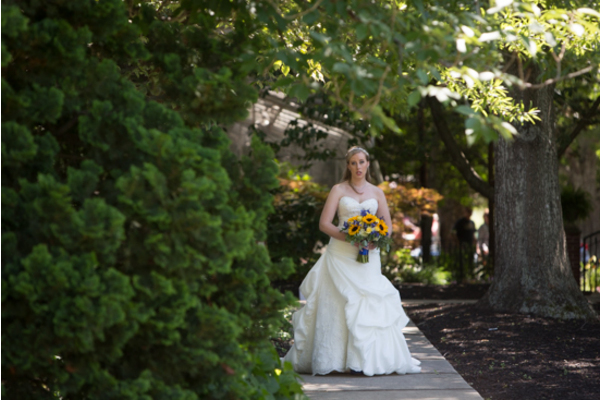 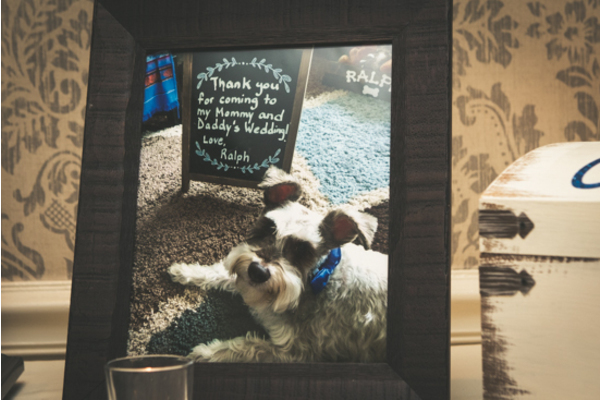 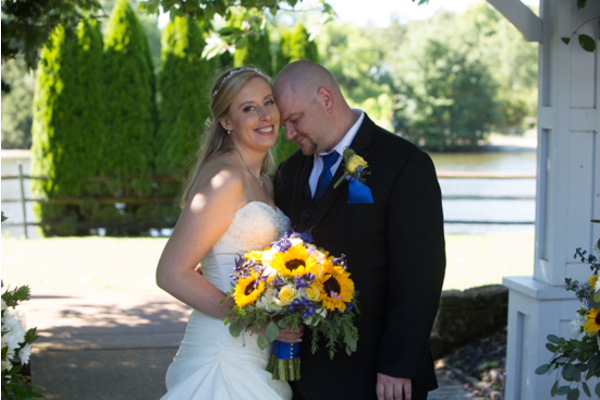 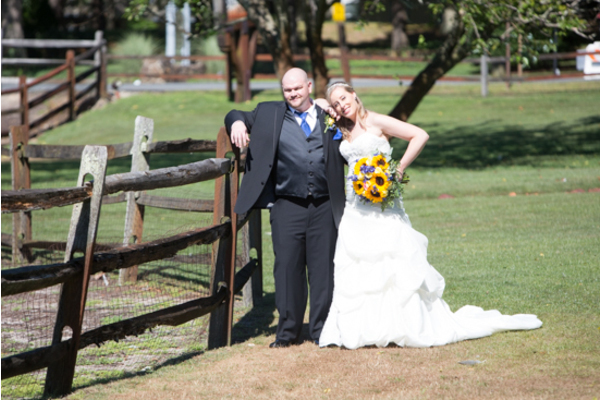 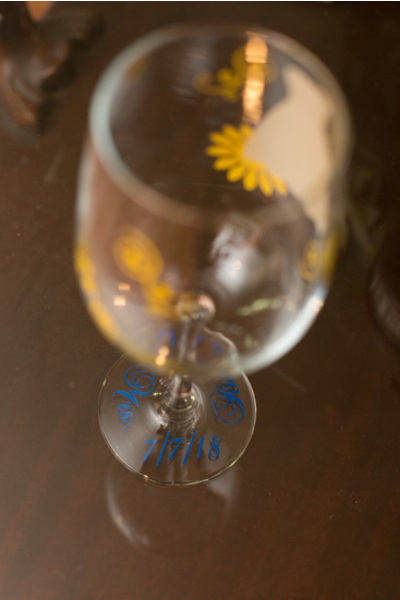 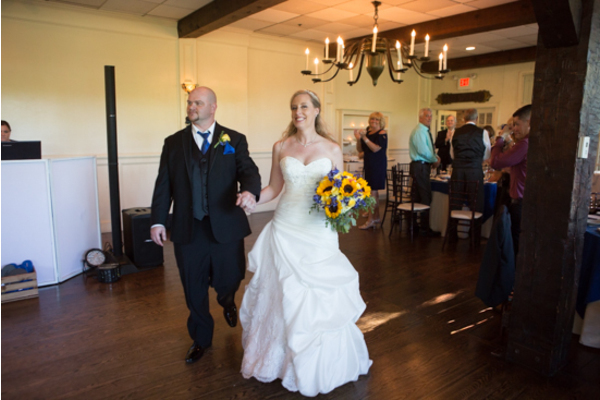 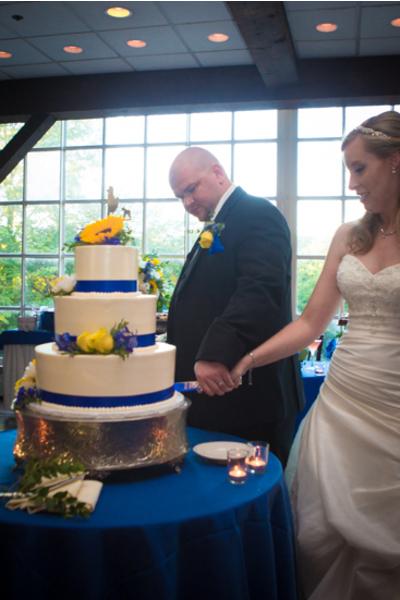 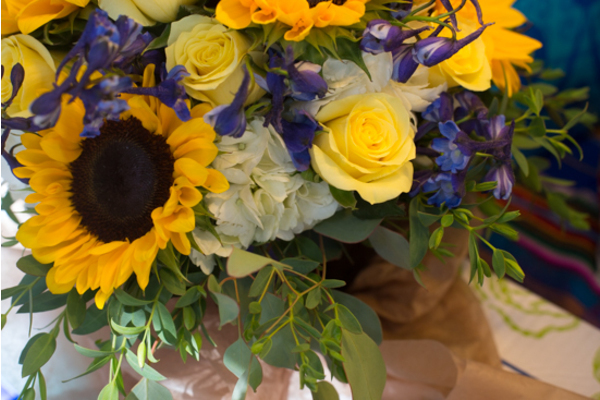 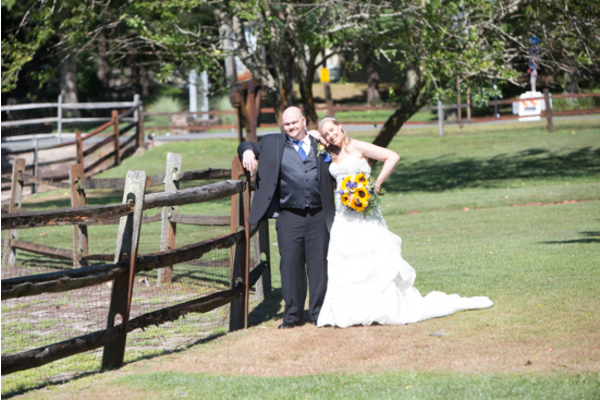 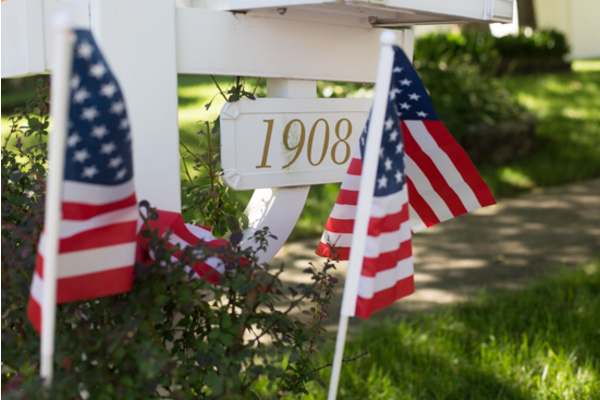 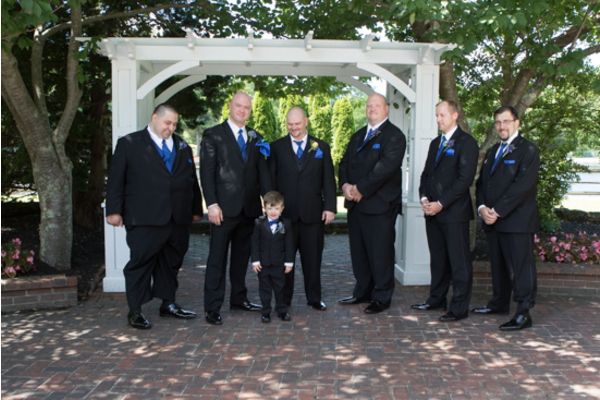 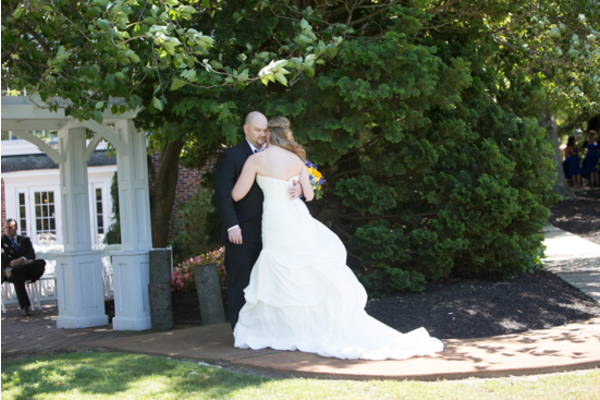 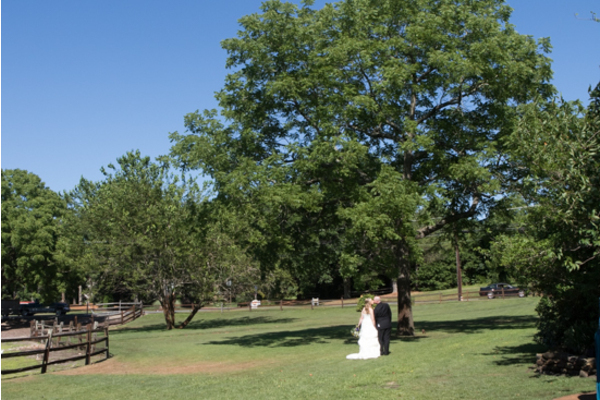 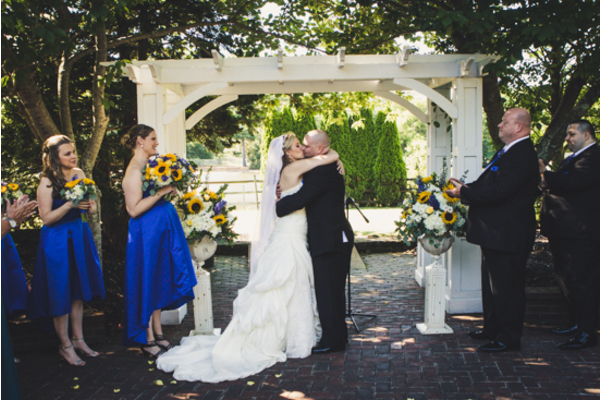 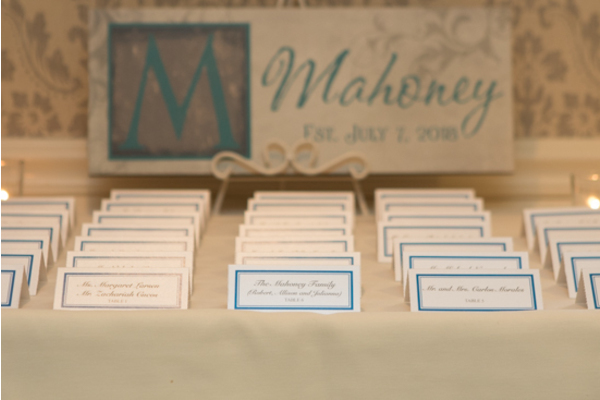 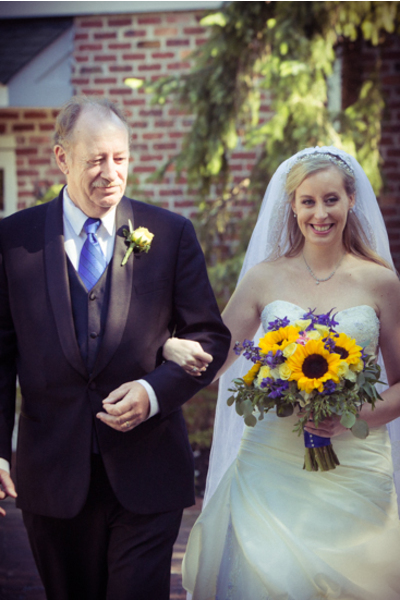 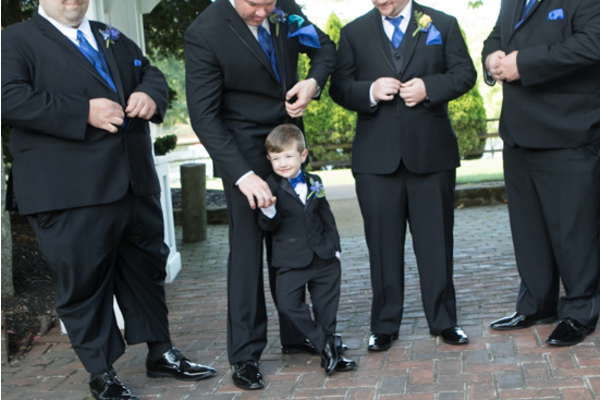 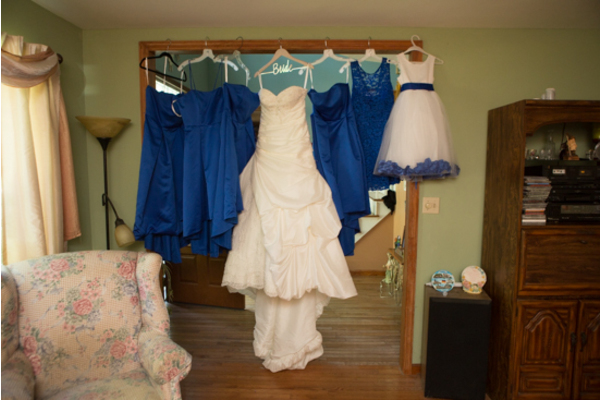 This blue themed wedding was held at the Smithville Inn on a gorgeous summer day. 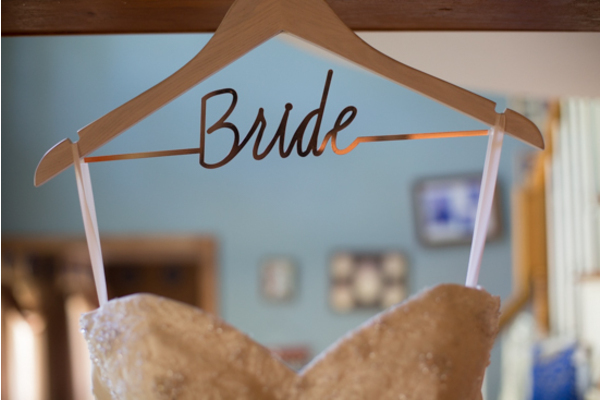 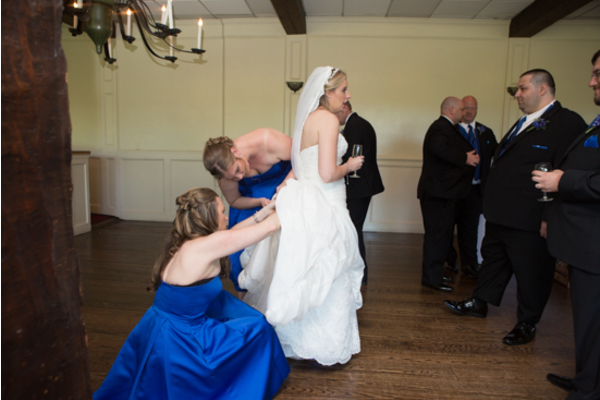 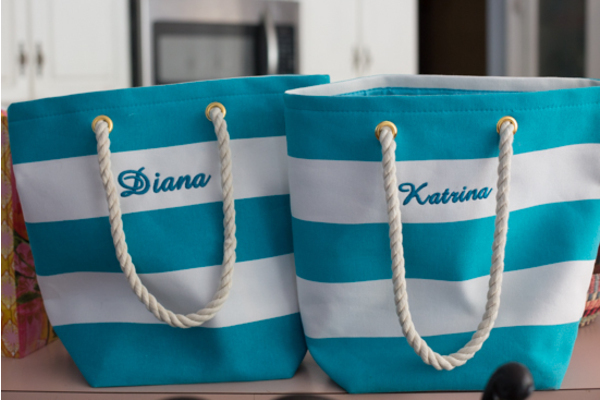 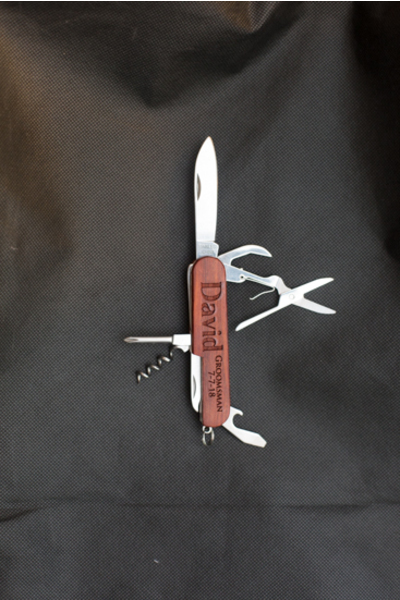 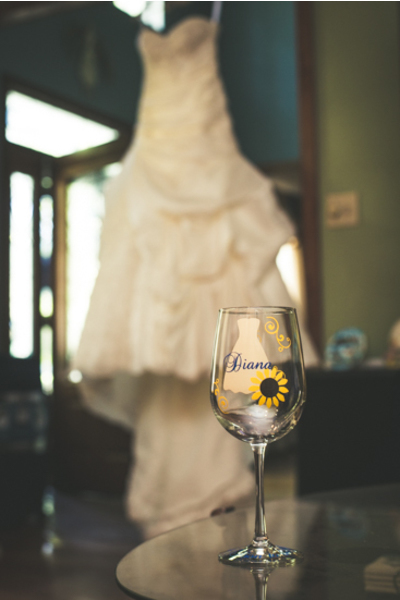 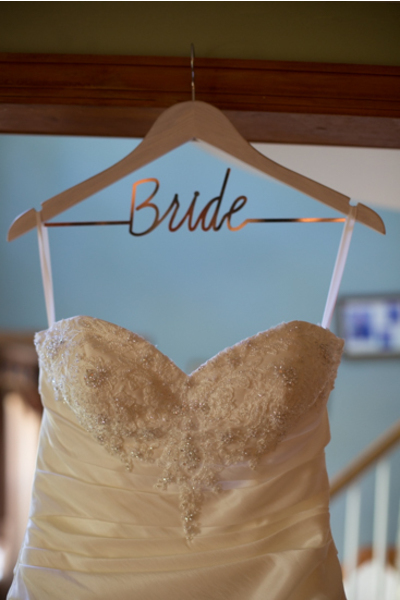 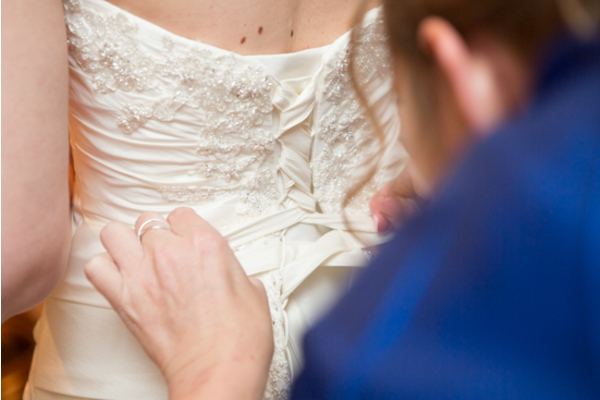 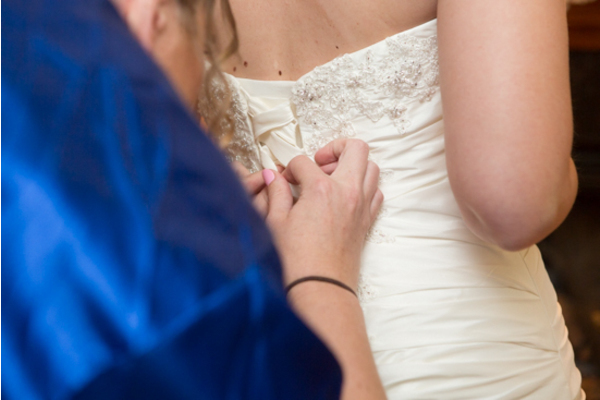 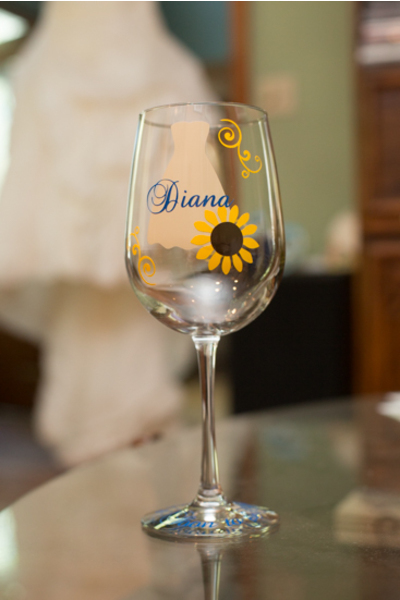 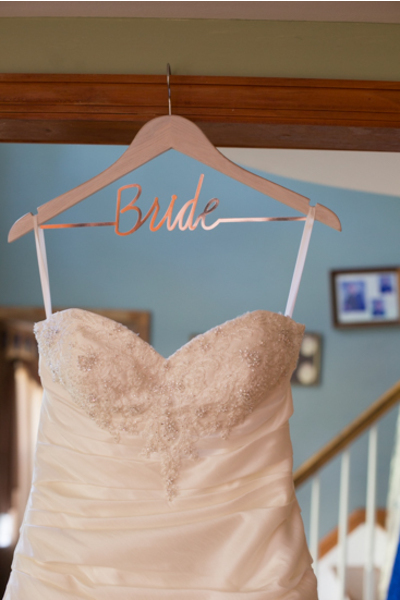 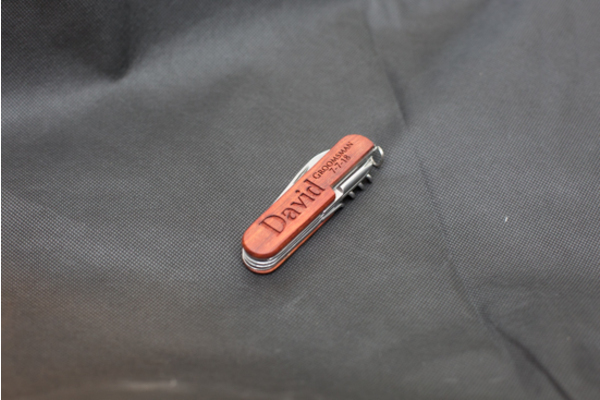 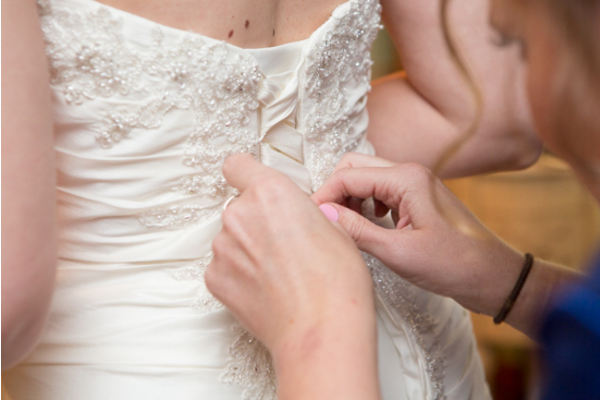 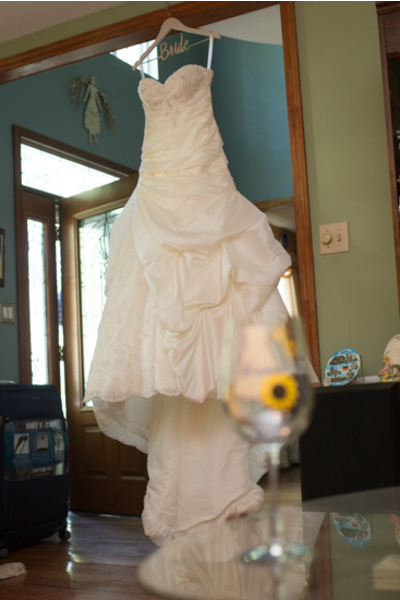 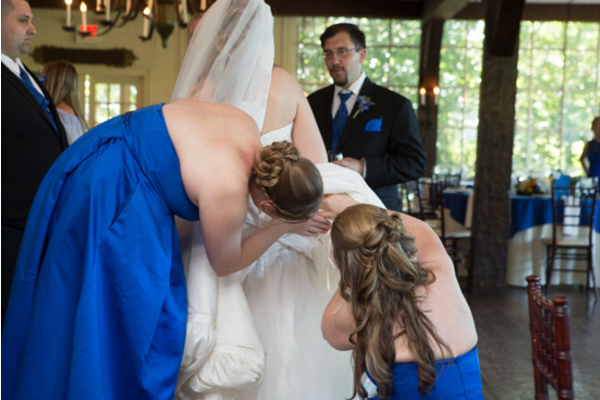 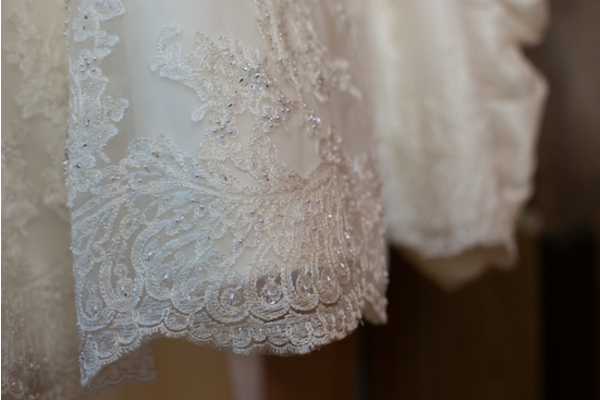 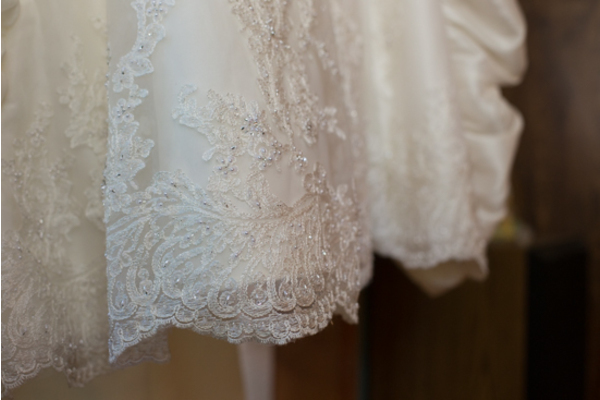 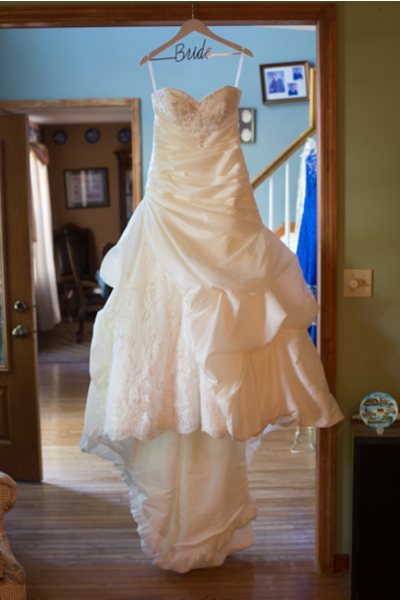 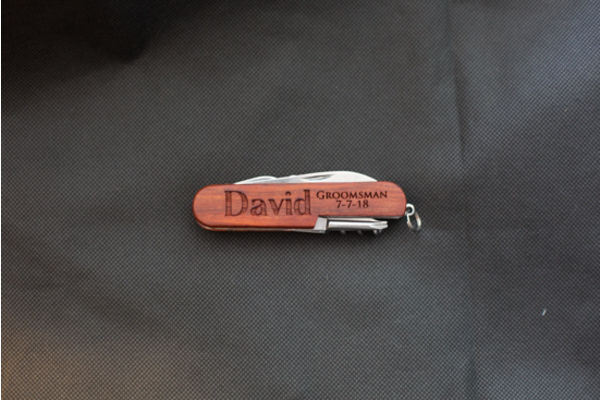 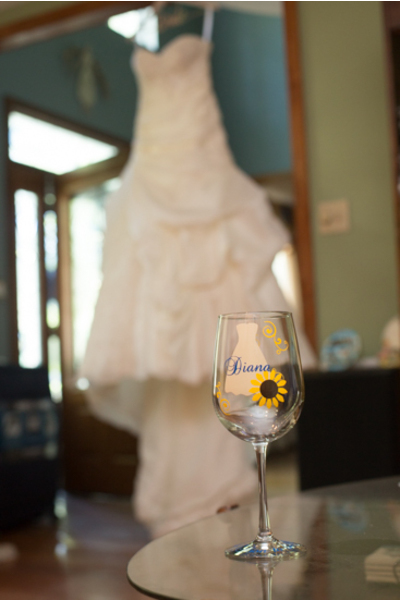 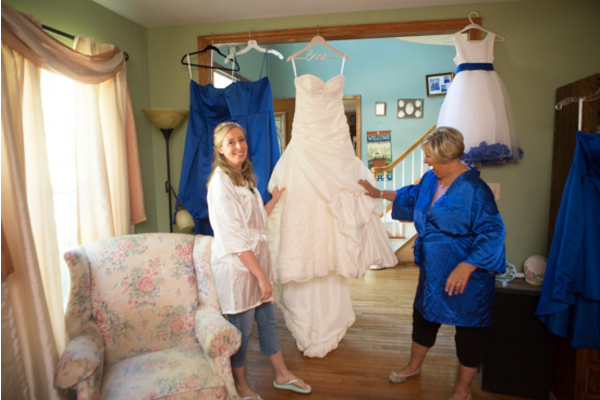 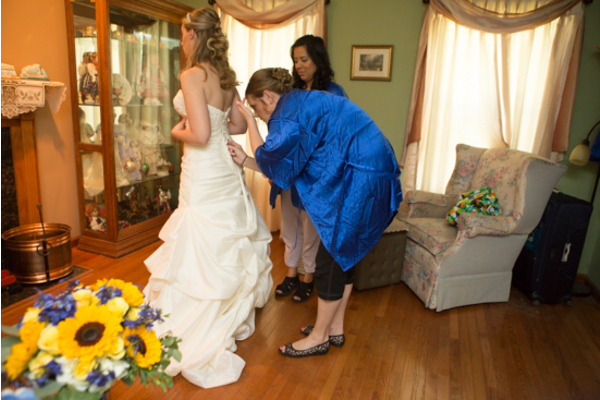 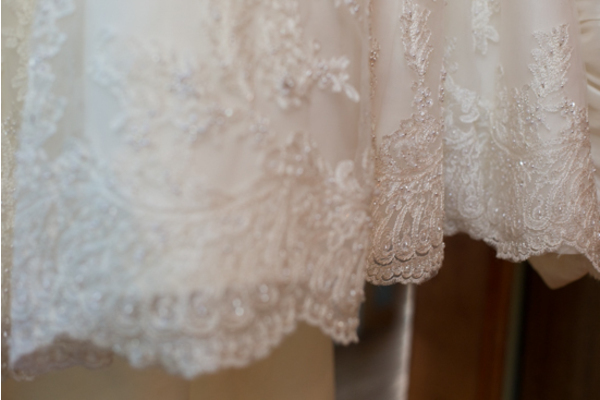 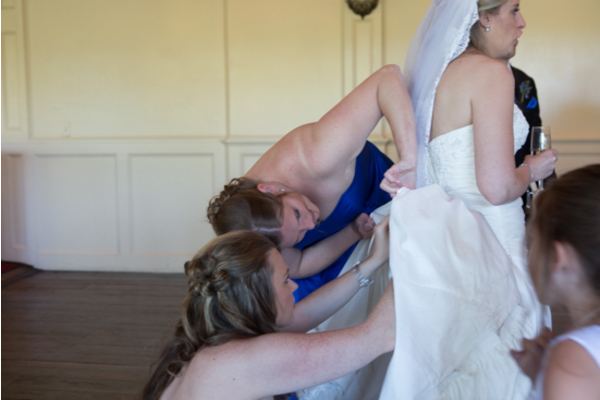 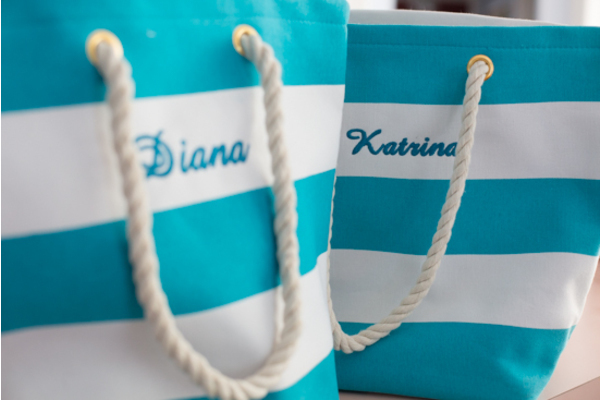 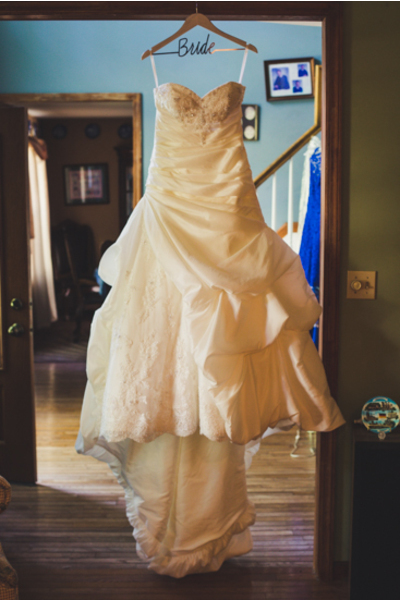 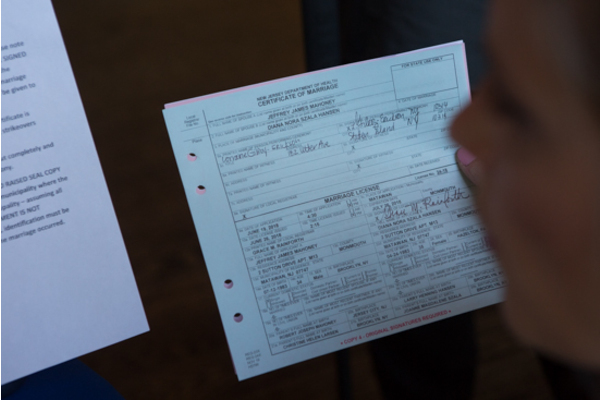 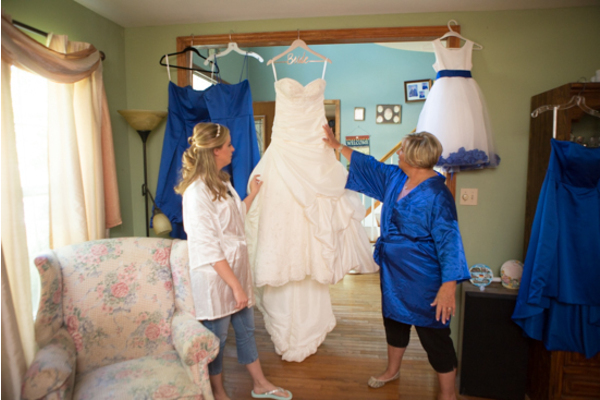 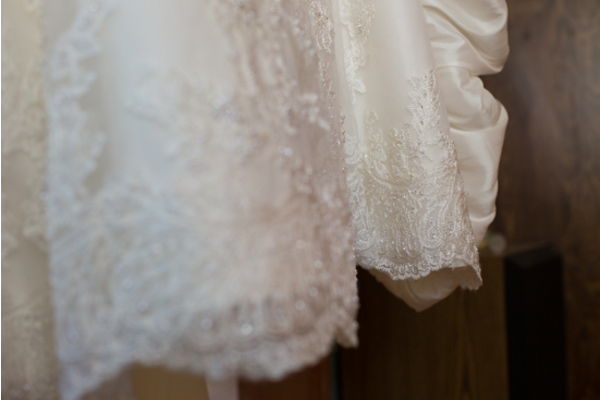 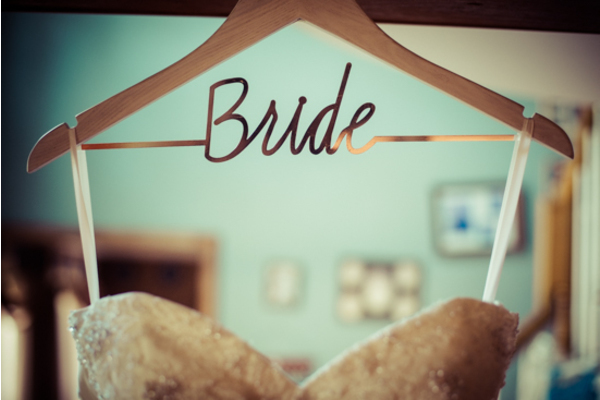 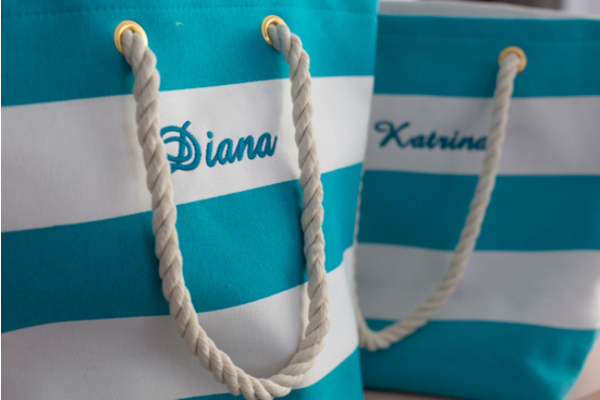 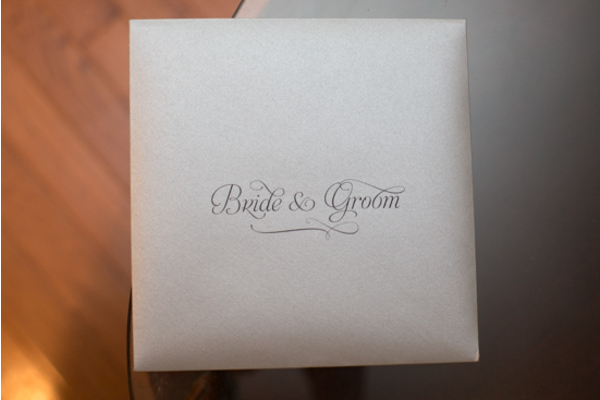 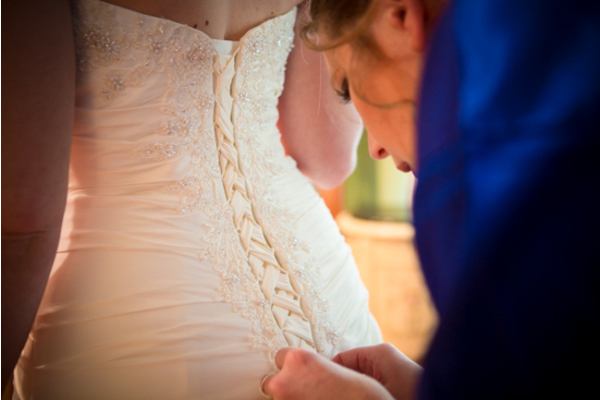 Bride prep was a breeze for Diana because she had her bridesmaids by her side. 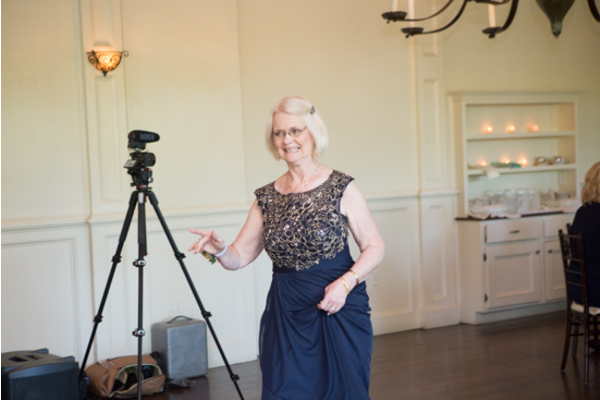 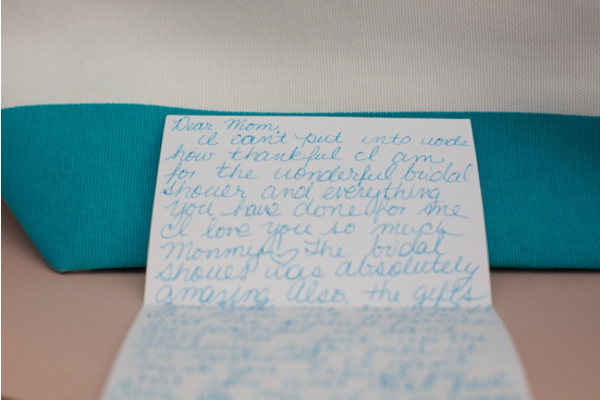 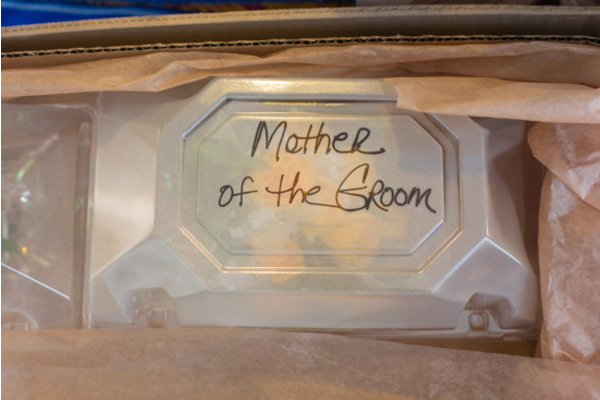 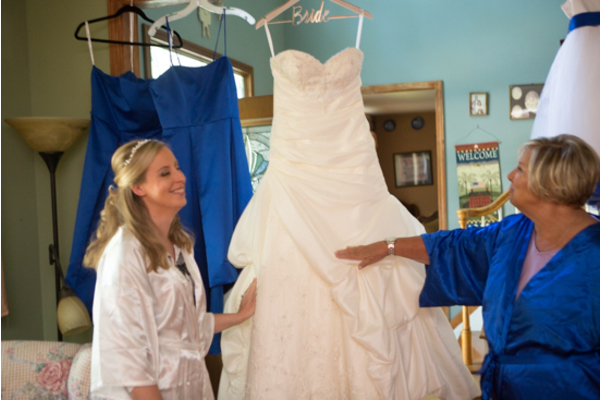 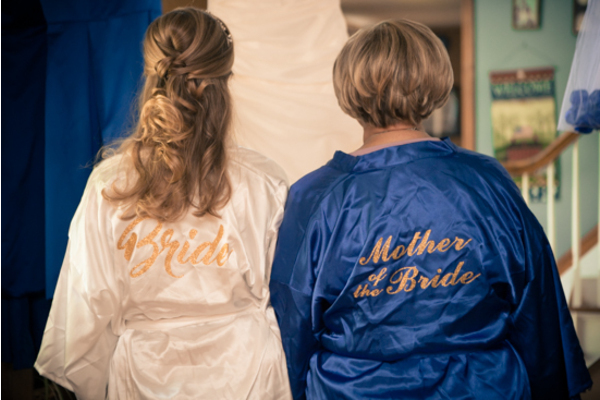 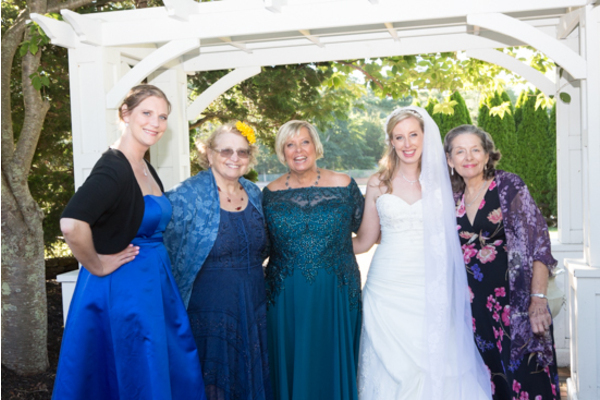 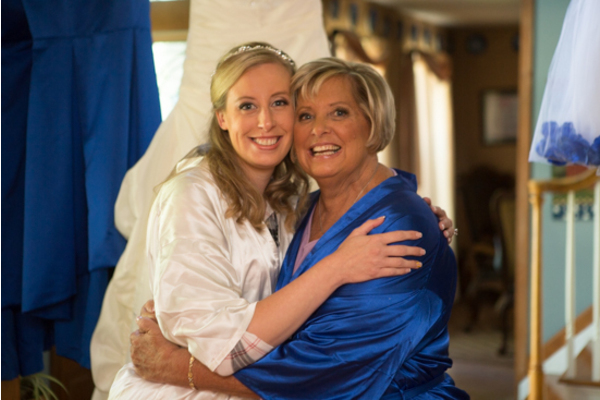 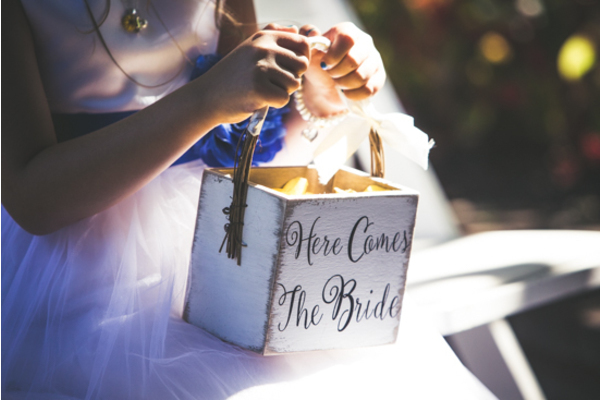 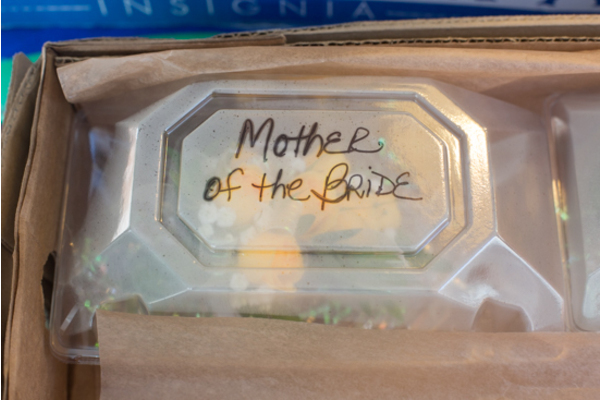 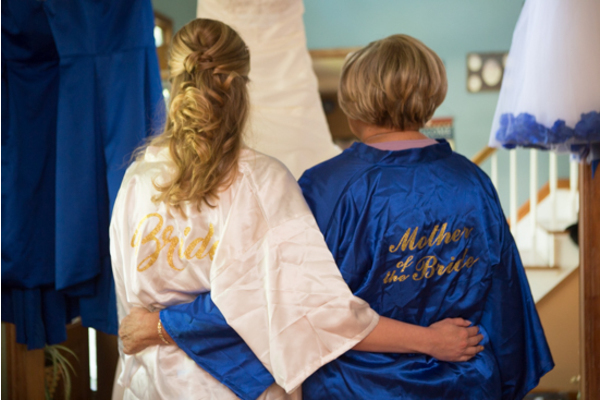 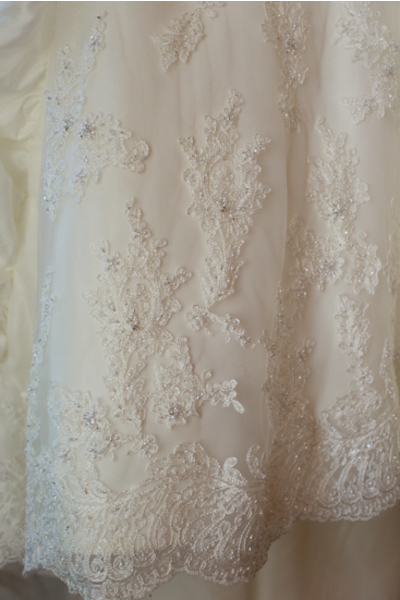 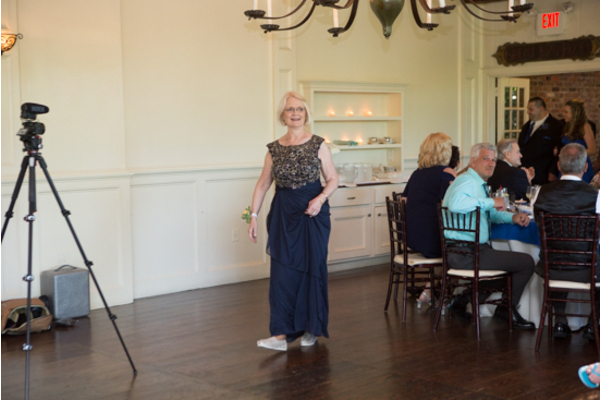 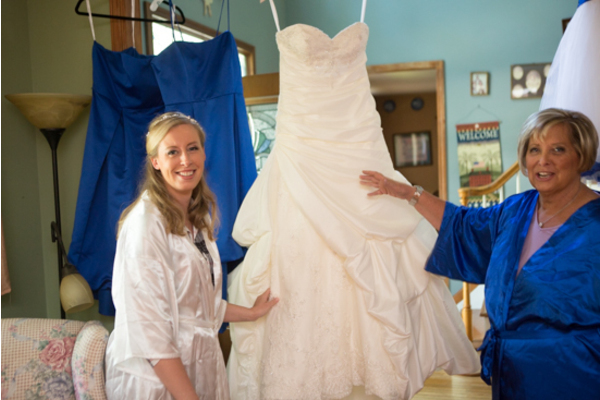 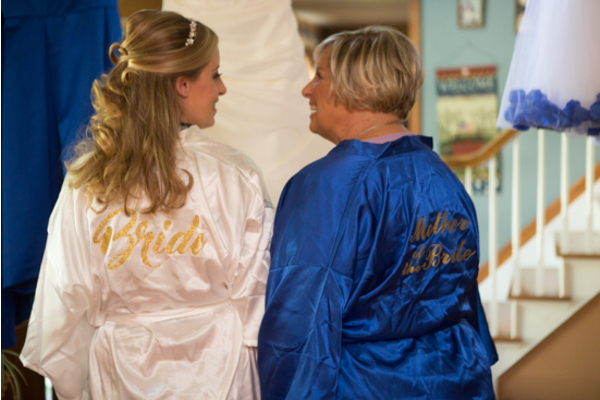 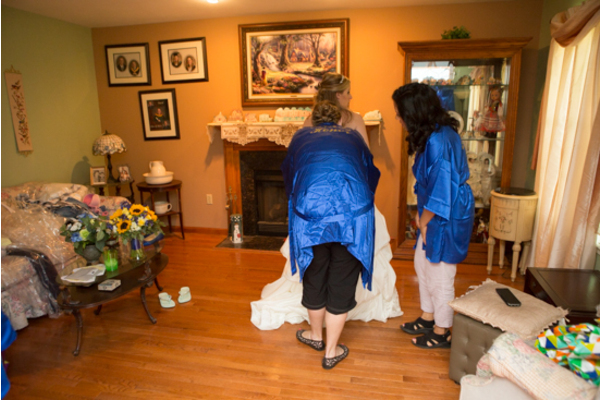 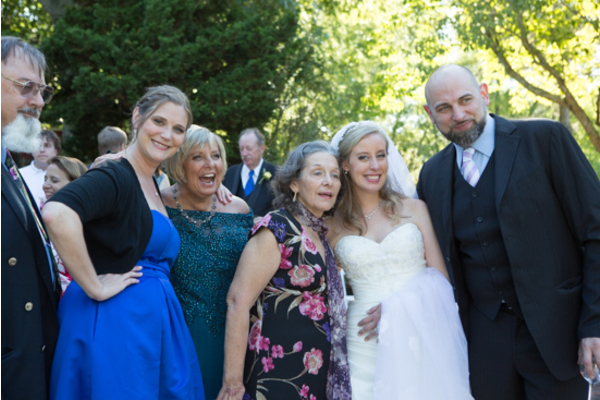 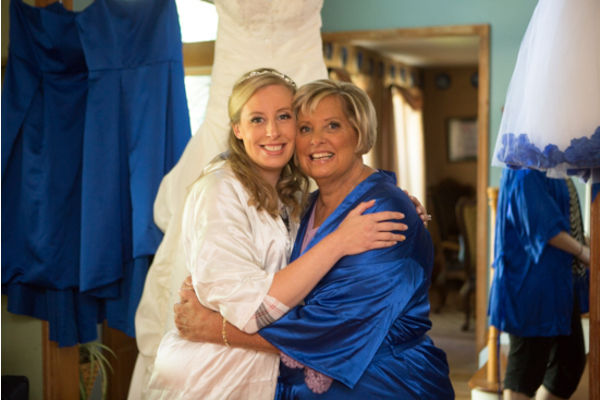 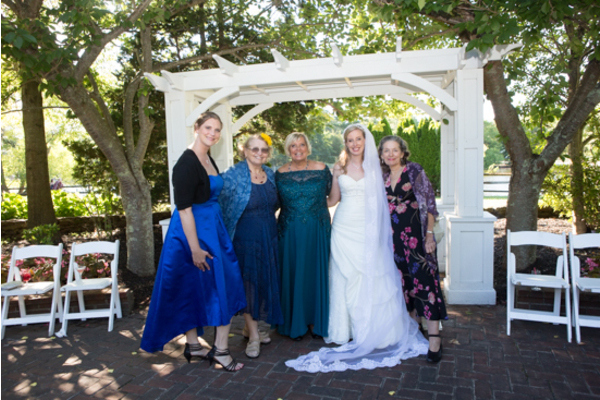 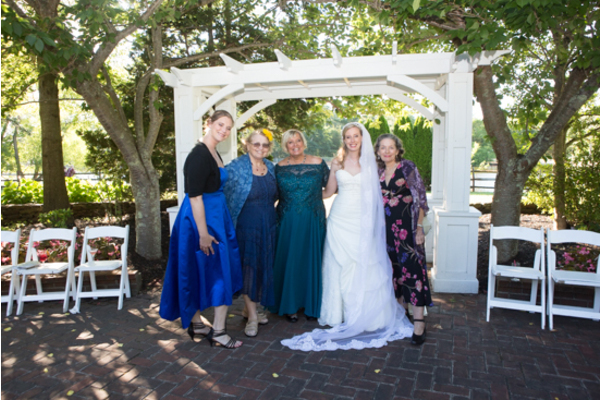 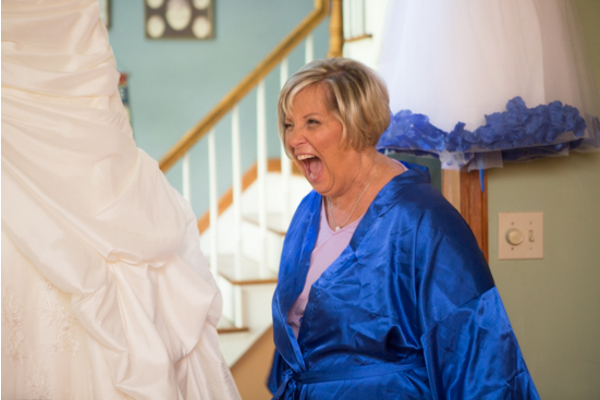 Diana and her mother wore matching robes that said, “Bride” and “Mother of the Bride.” Diana slipped into her gorgeous white gown and her deep blue shoes and she was all ready to go! 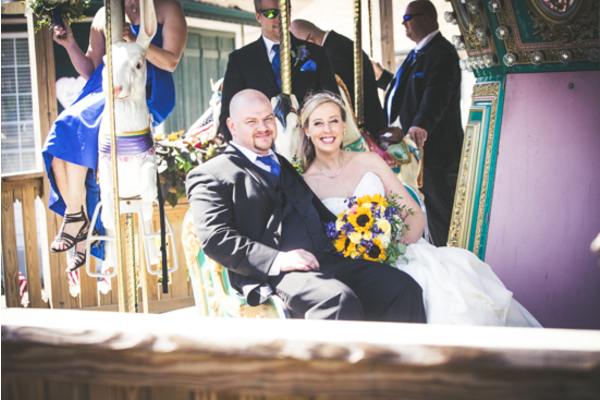 The bridal party headed over to Smithville where our NJ Wedding Photographer took pictures of everyone having fun on the carousel. 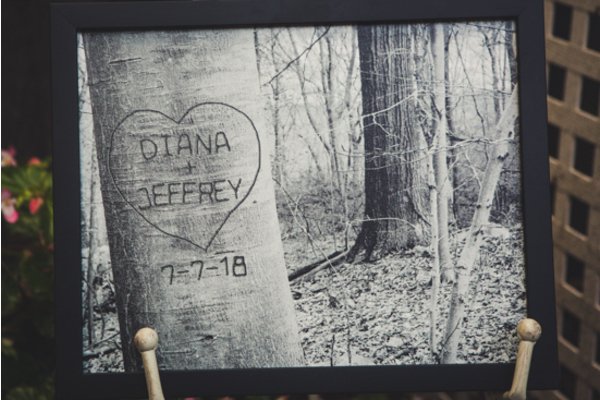 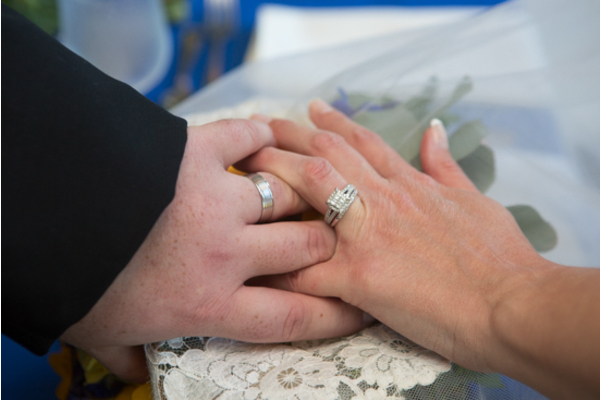 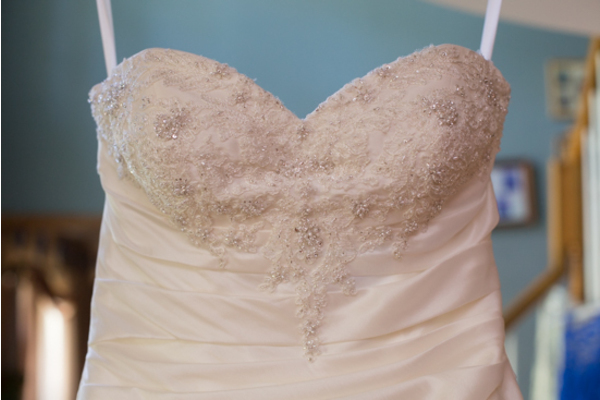 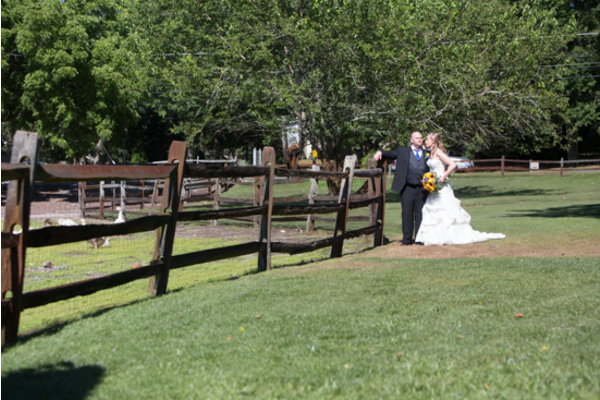 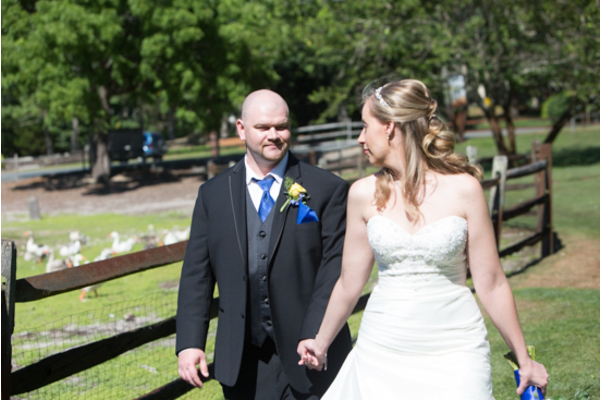 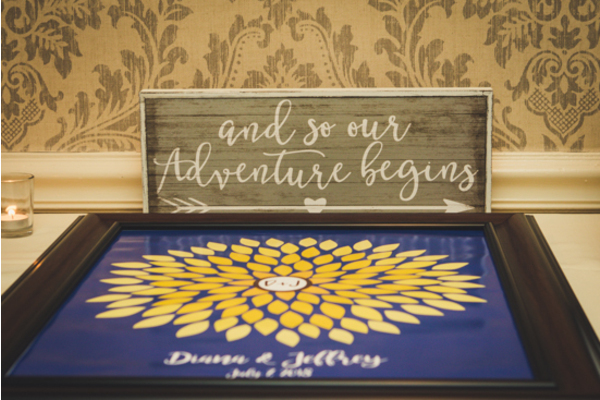 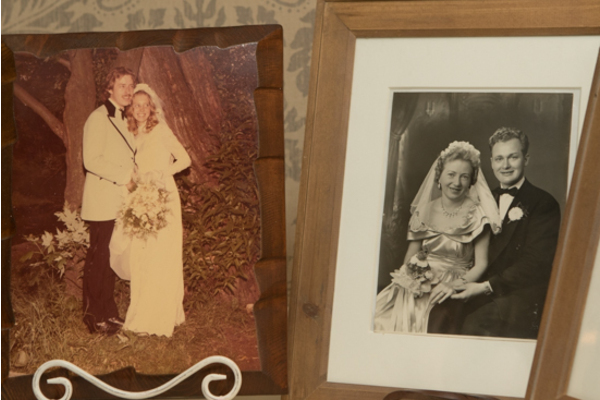 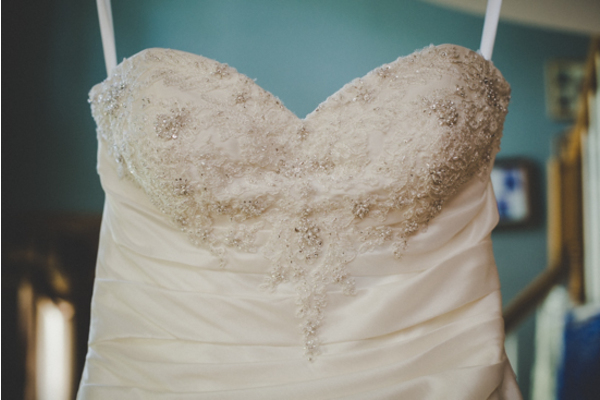 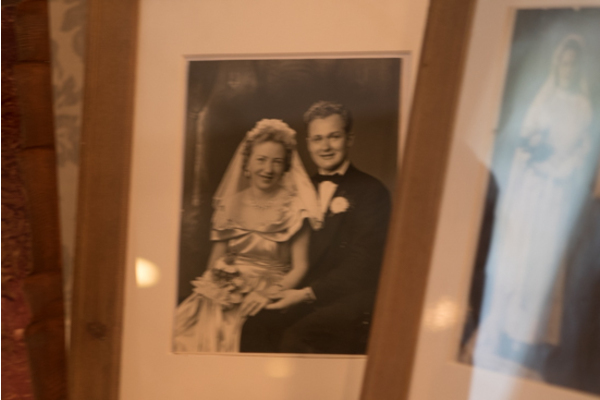 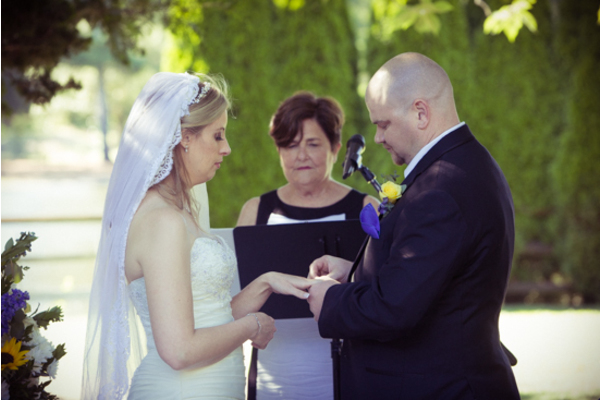 Diana and Jeffery had a heartwarming first look before it was time for the ceremony to begin. 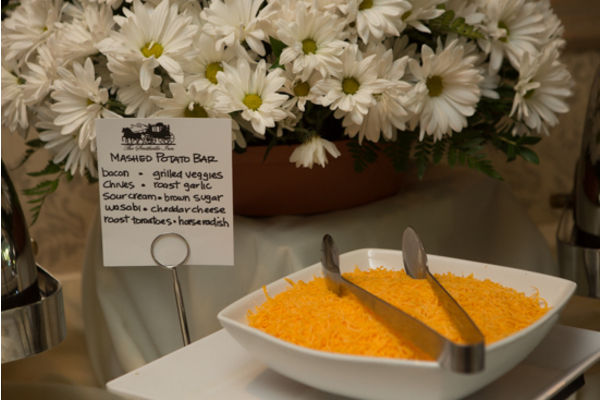 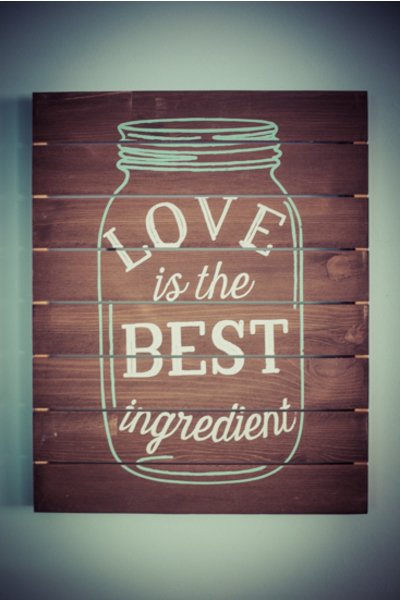 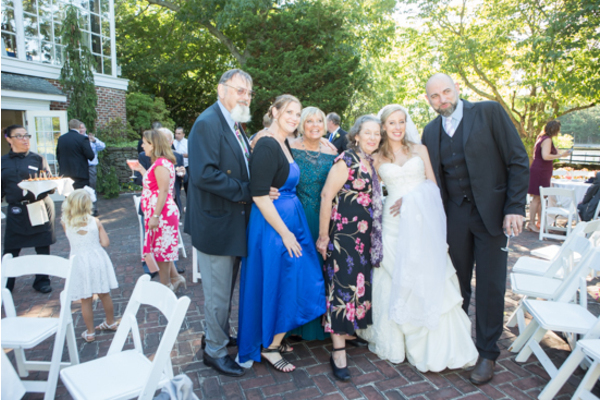 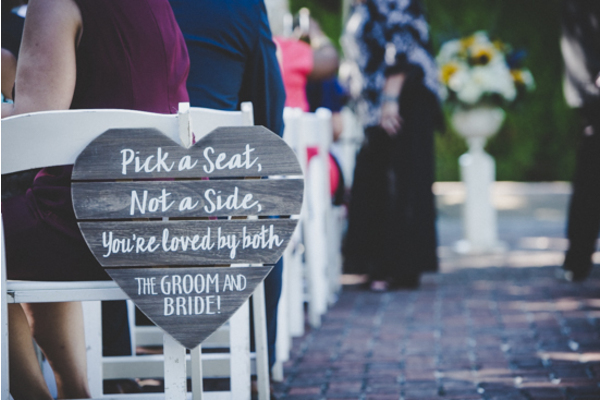 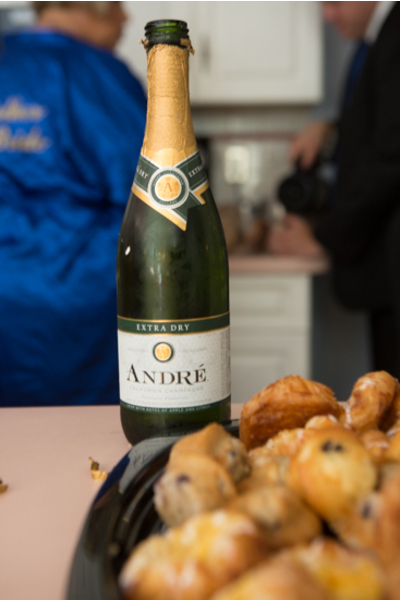 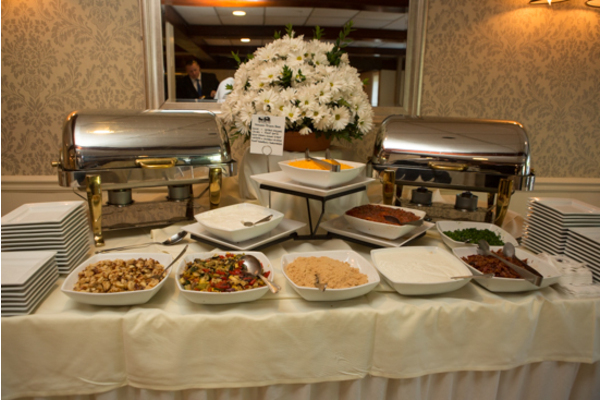 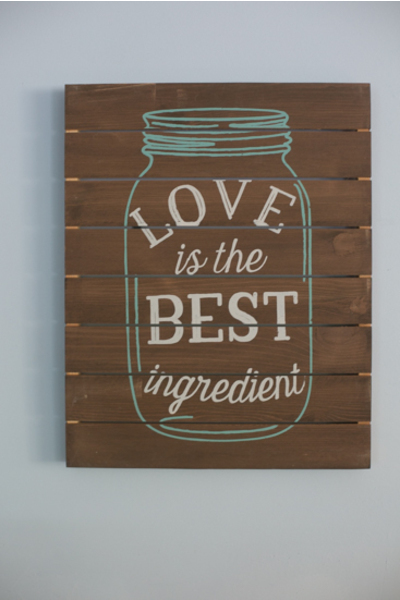 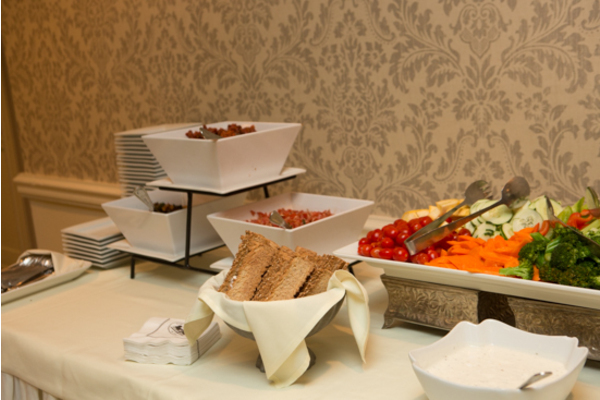 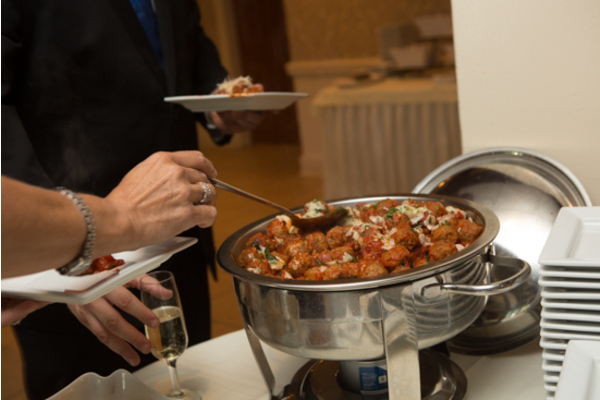 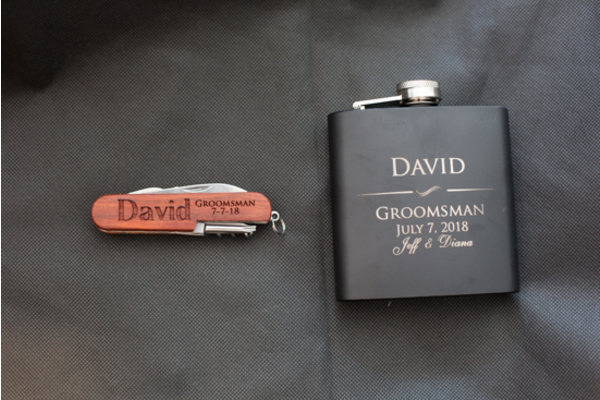 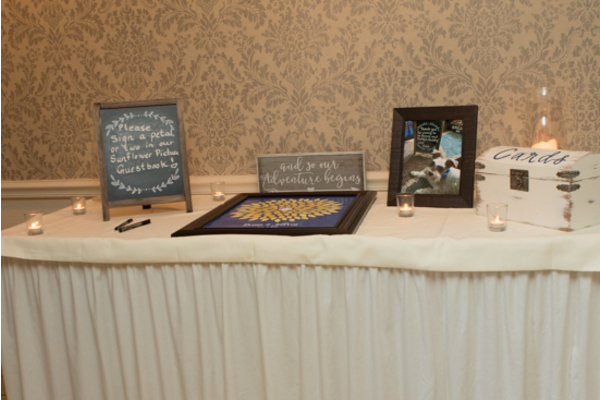 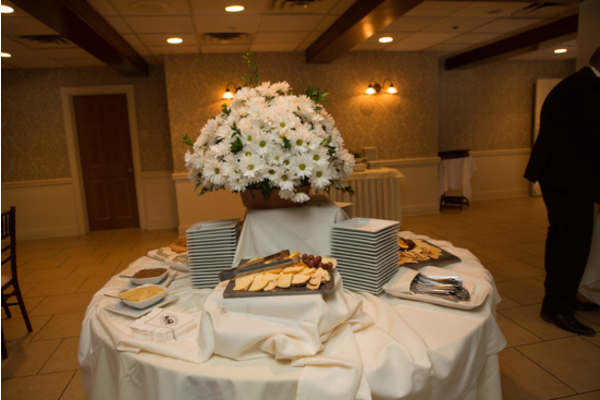 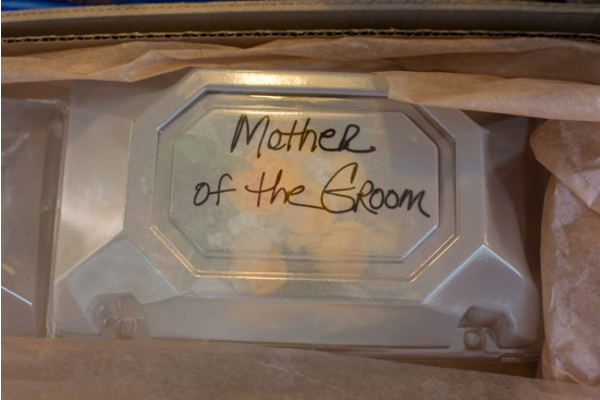 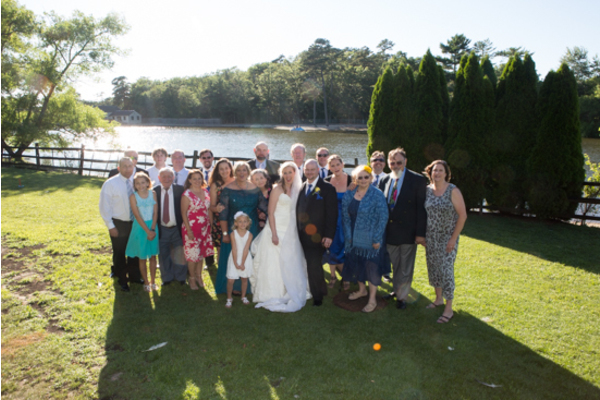 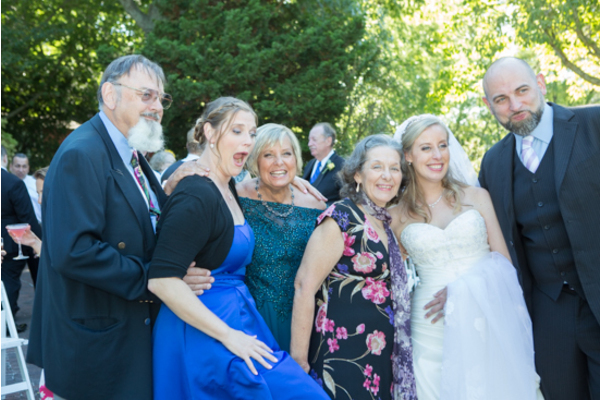 The reception was filled with love and laughs! 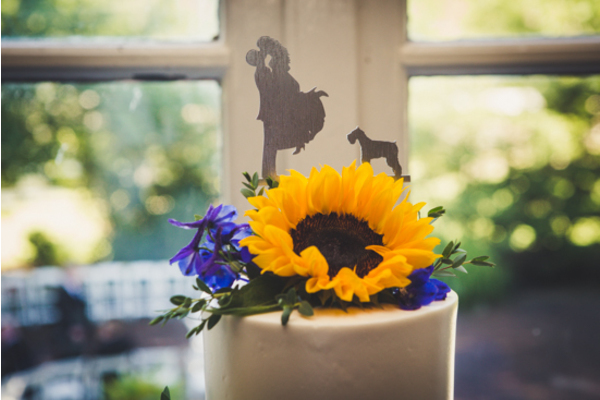 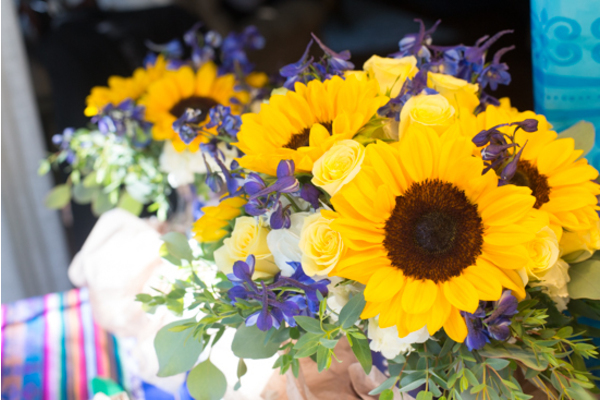 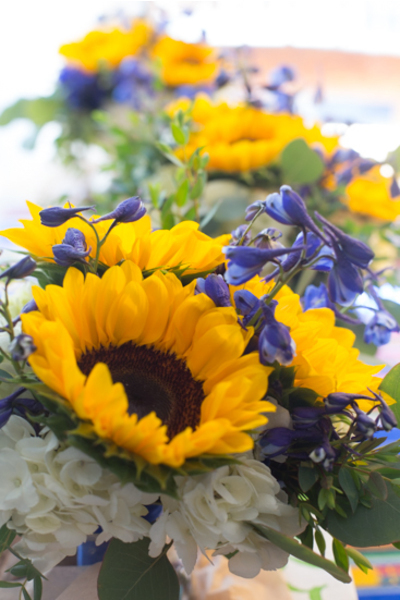 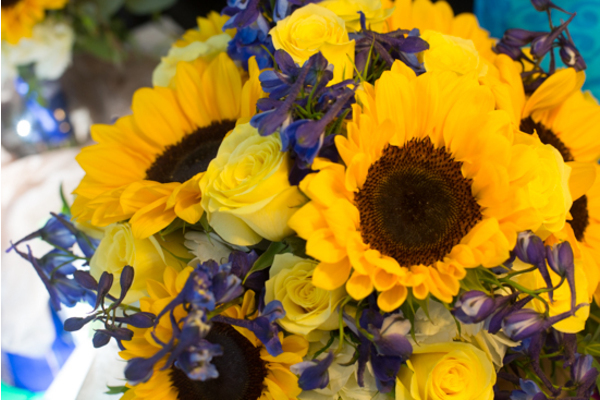 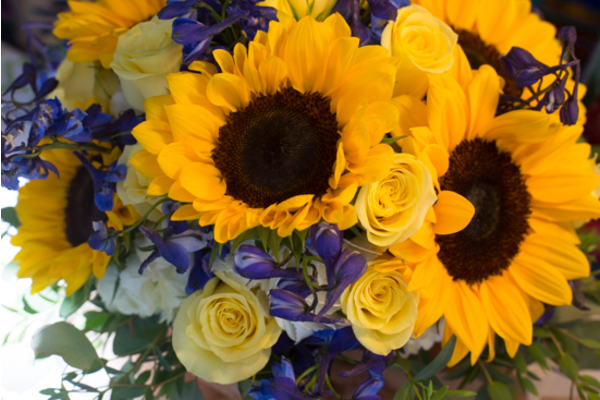 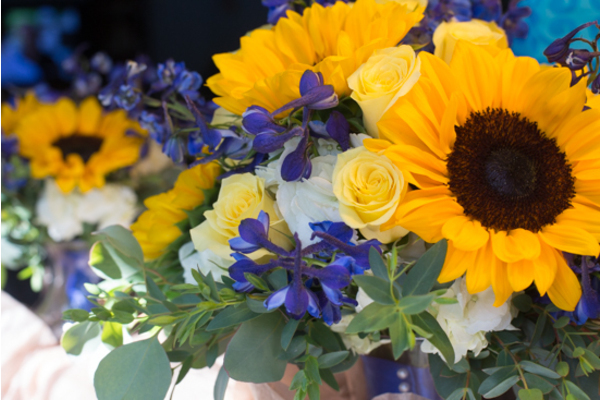 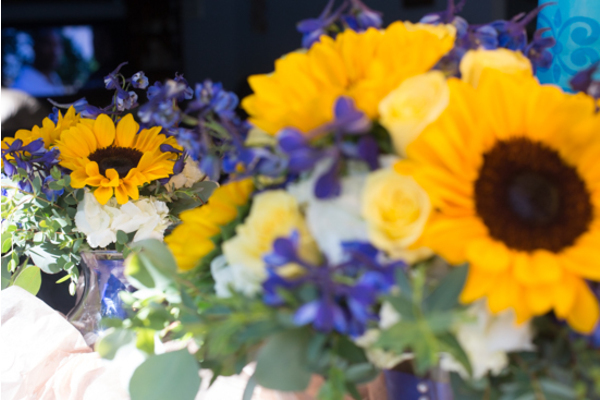 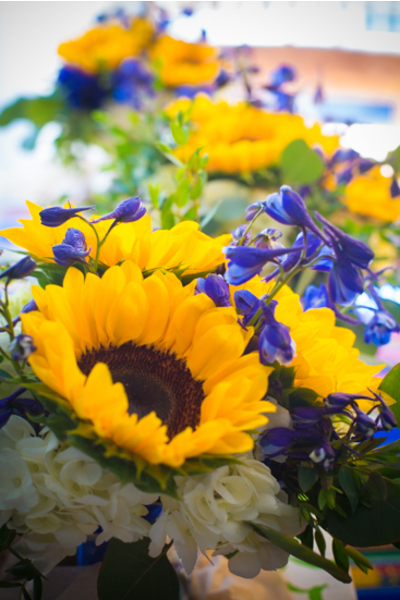 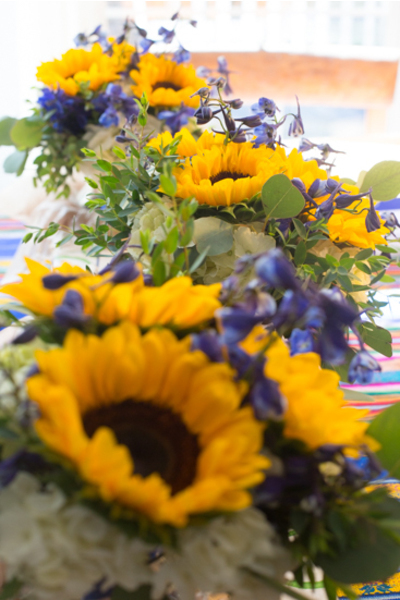 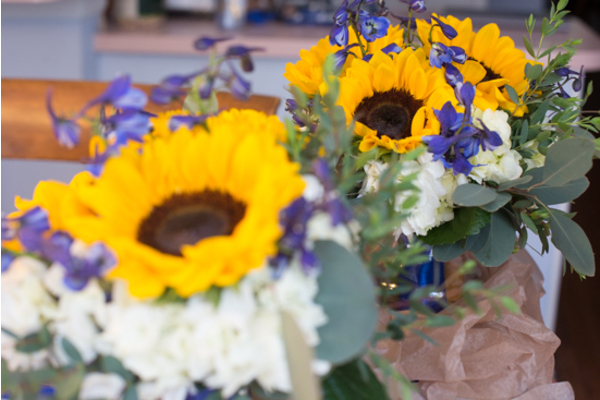 Sunflowers filled the room and the sunlight made the room feel so bright and warming. 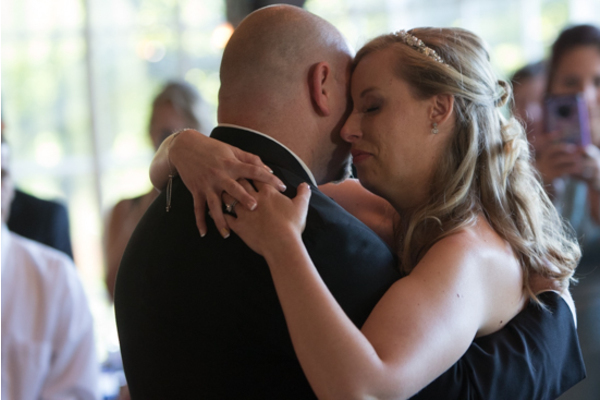 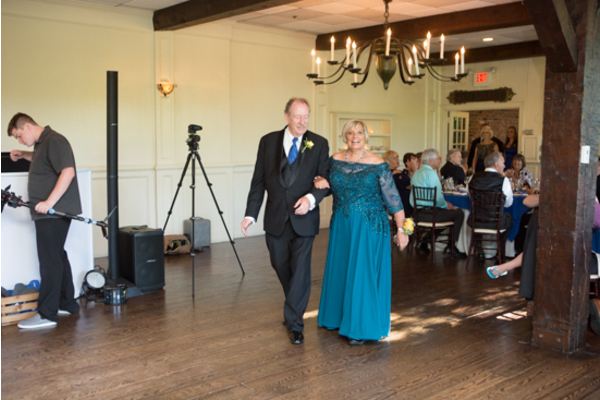 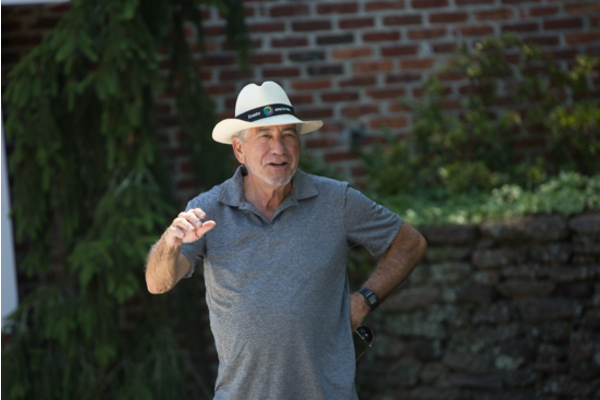 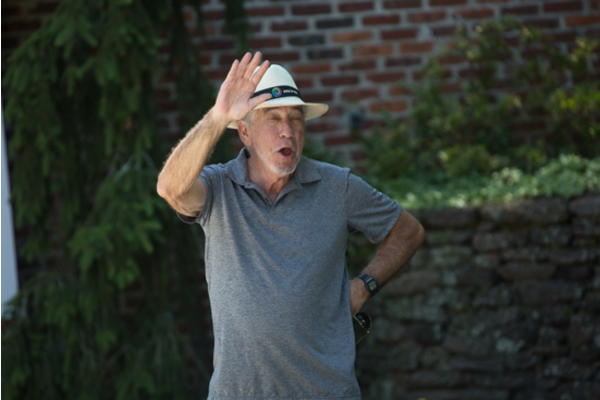 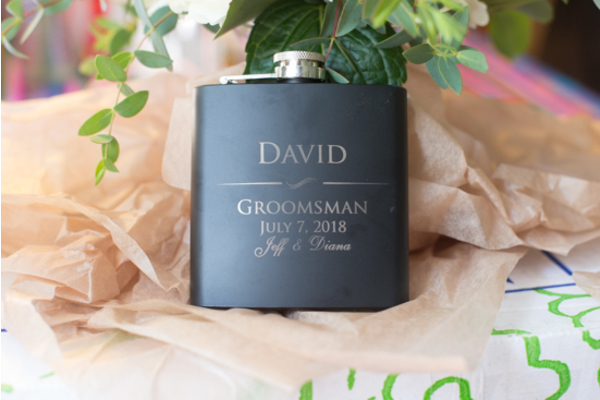 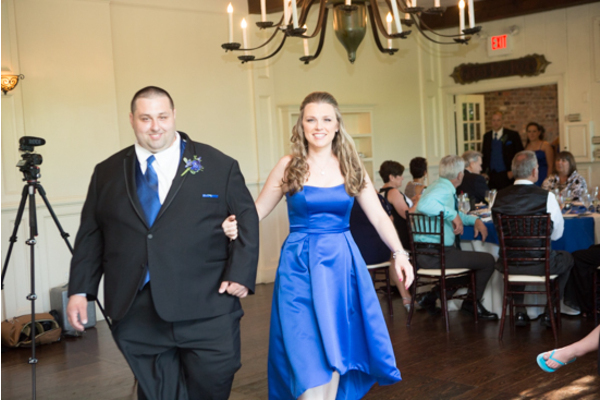 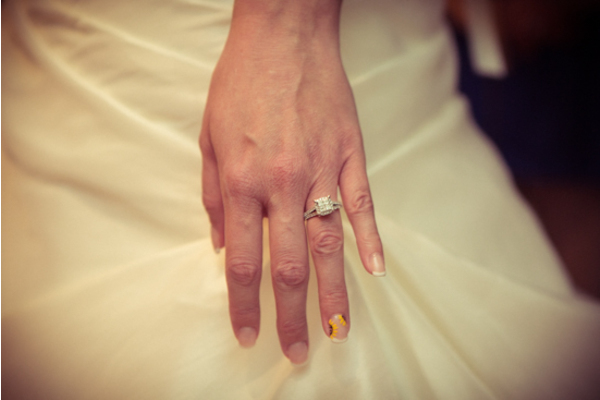 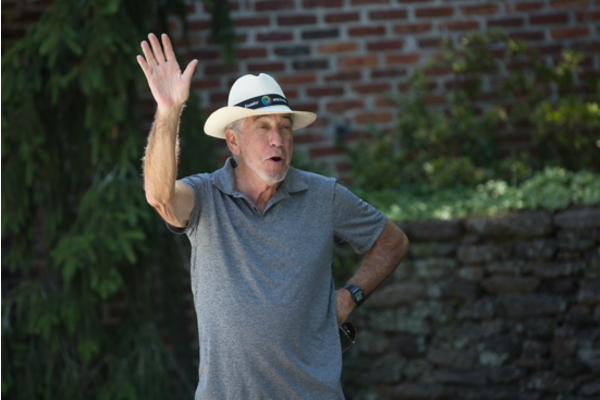 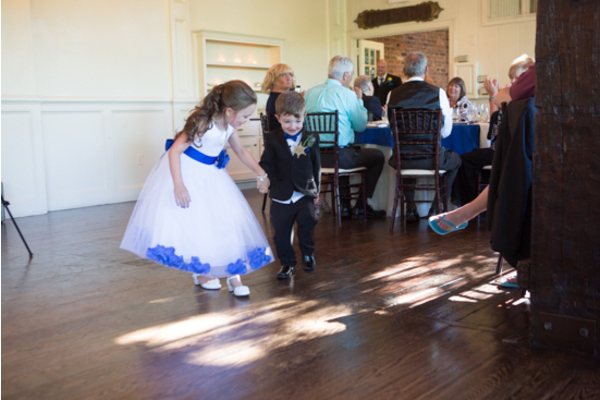 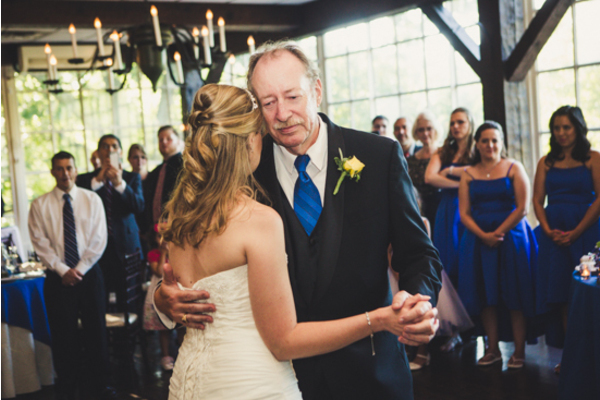 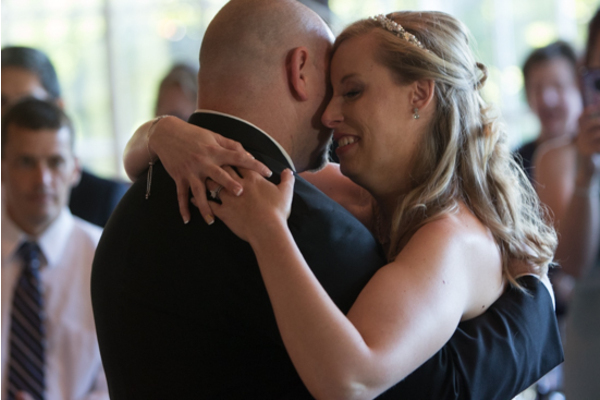 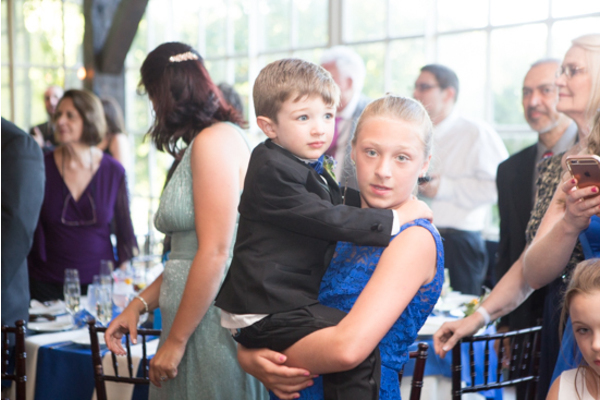 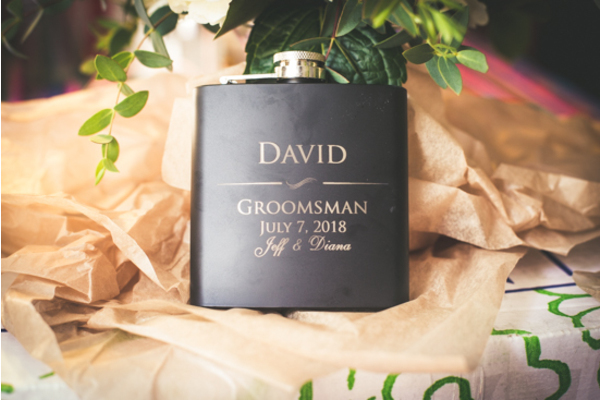 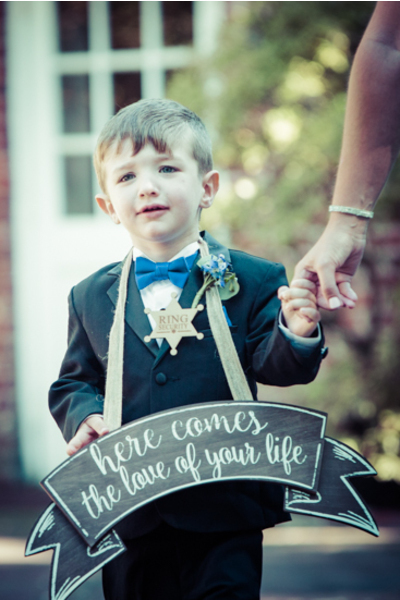 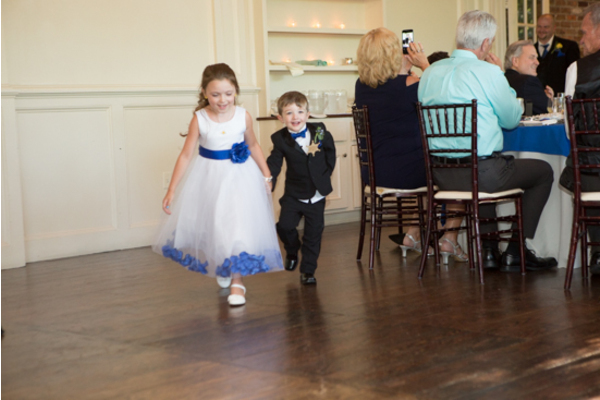 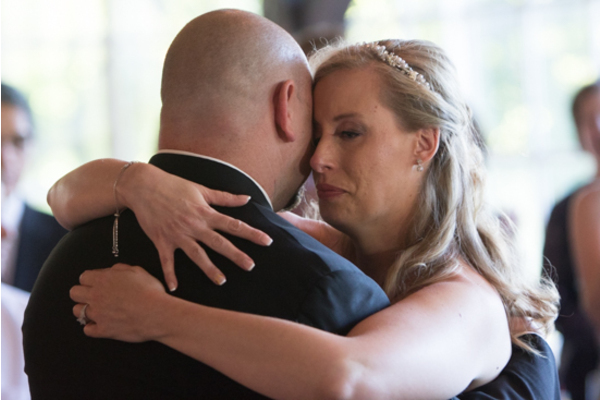 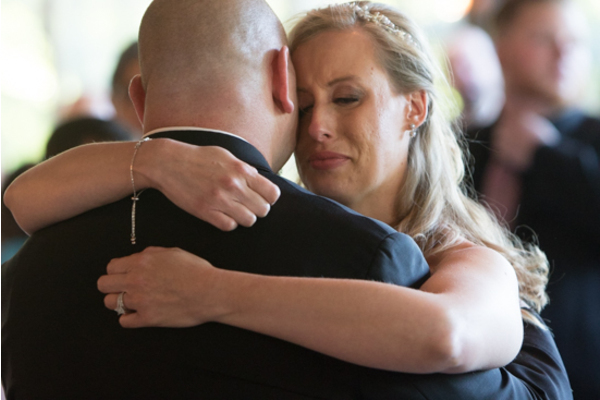 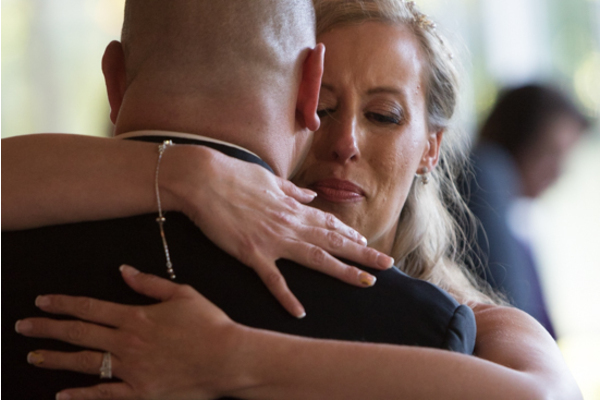 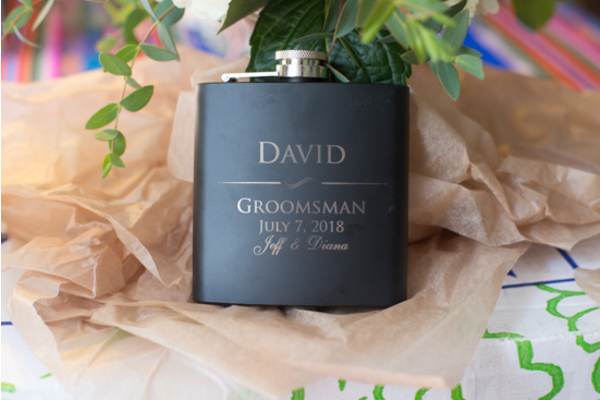 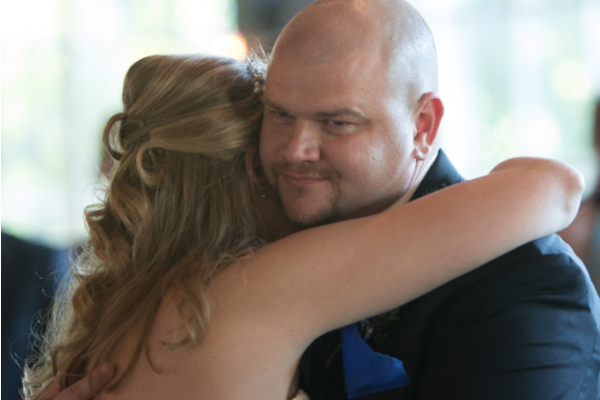 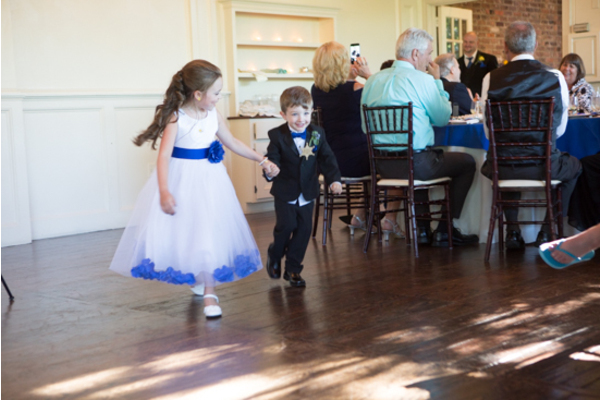 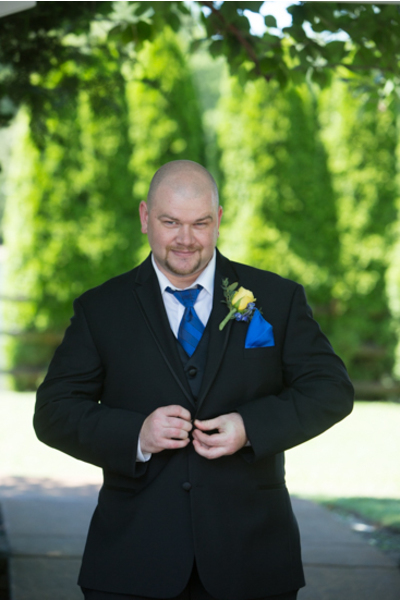 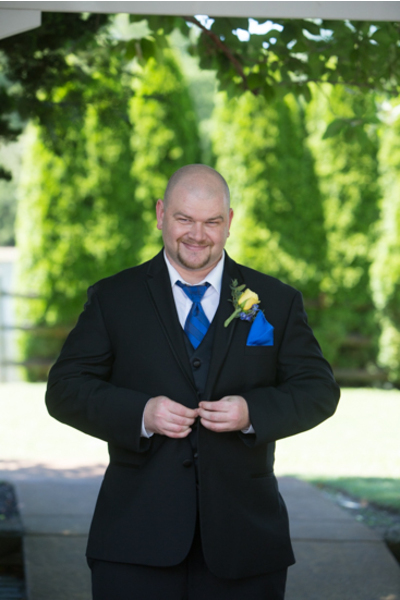 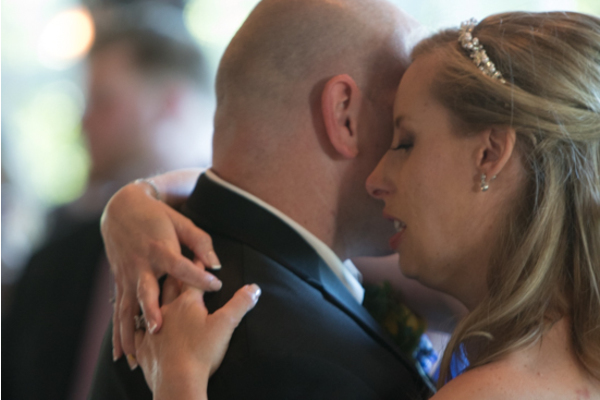 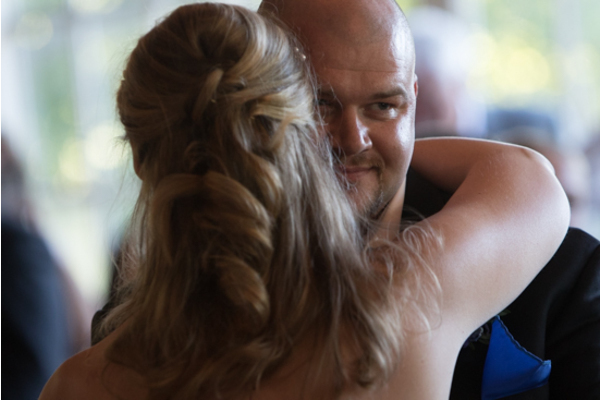 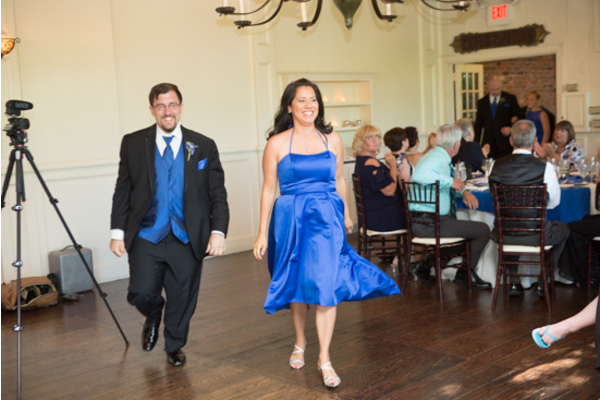 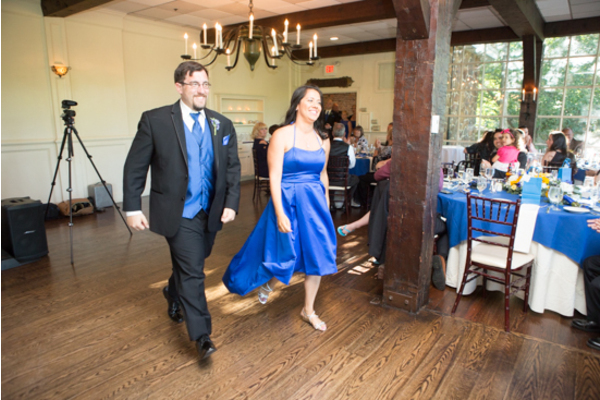 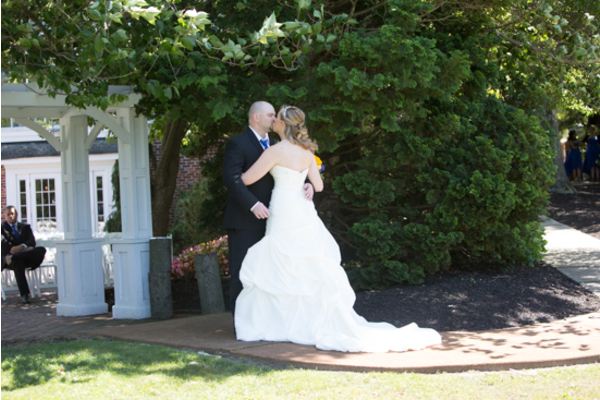 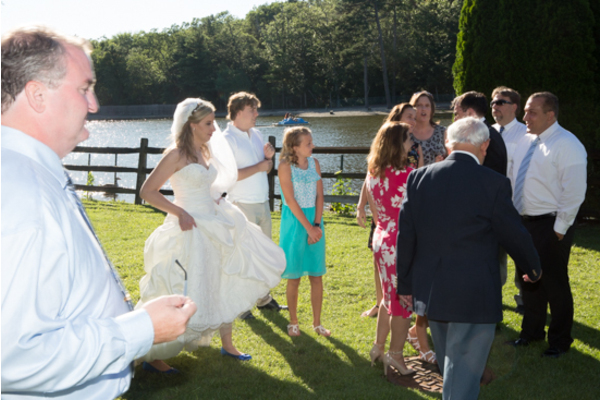 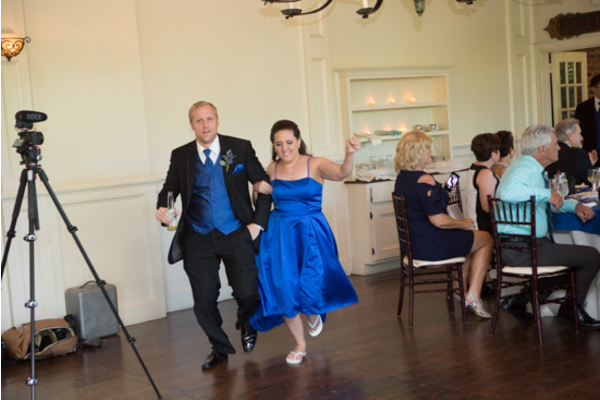 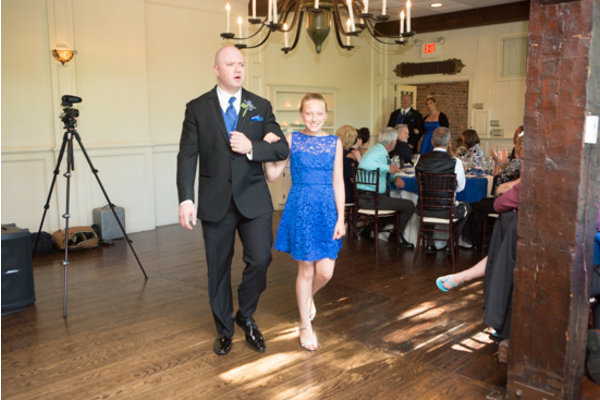 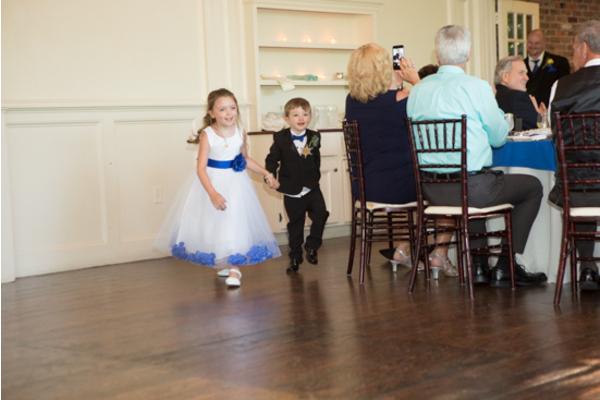 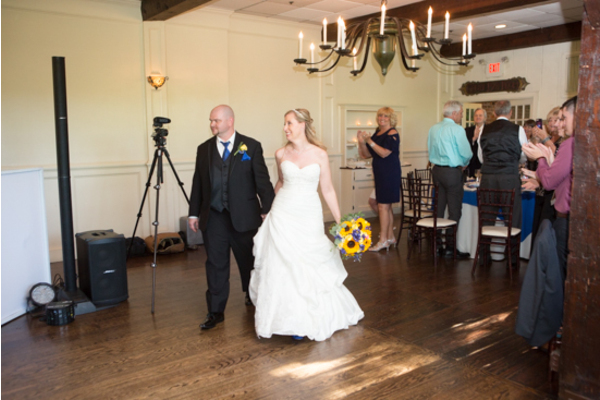 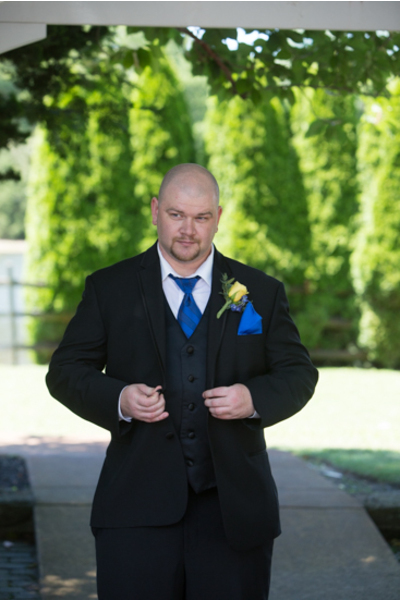 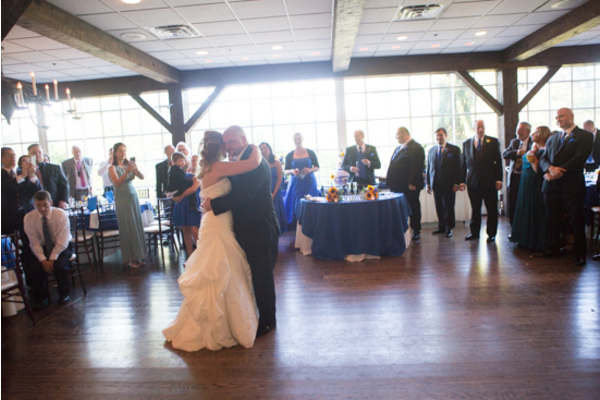 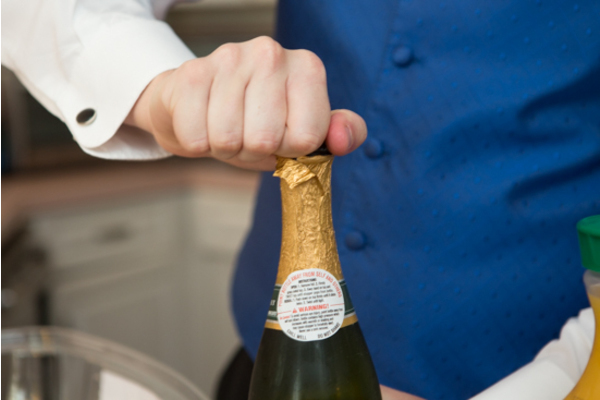 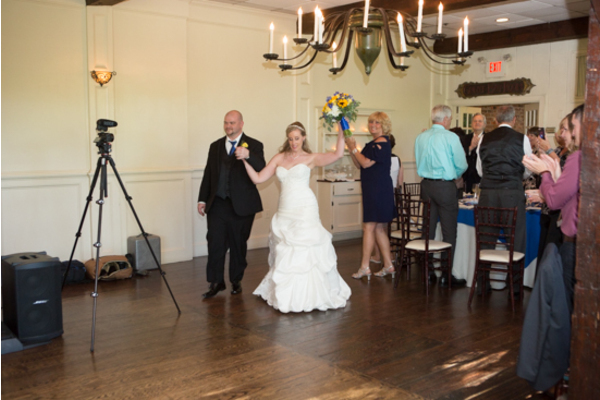 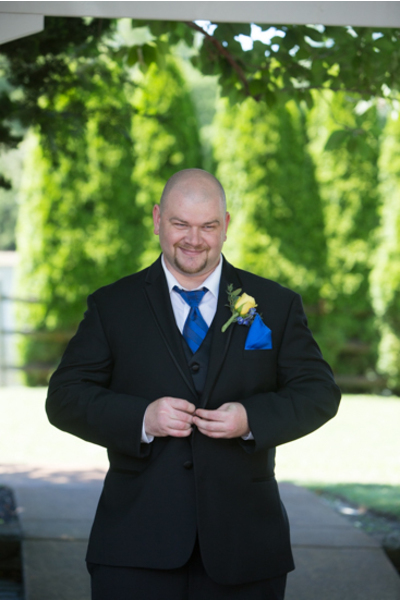 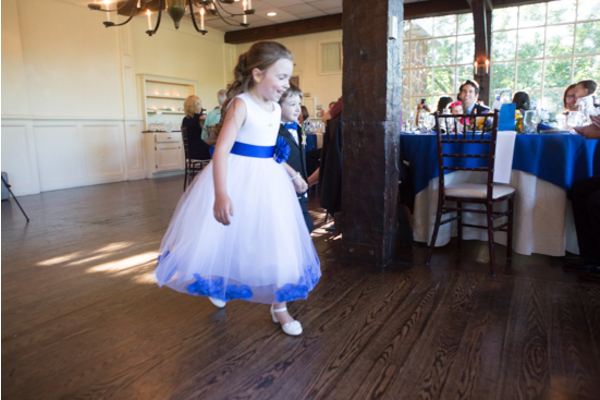 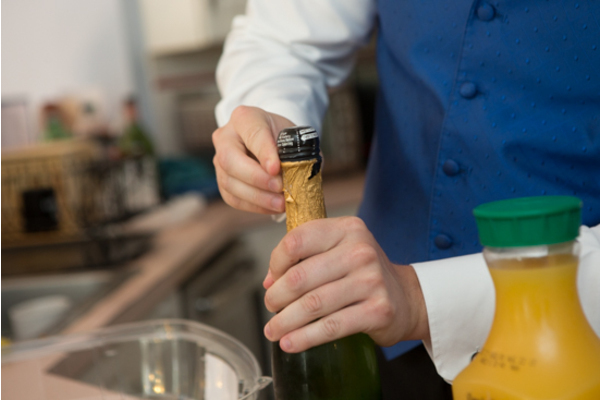 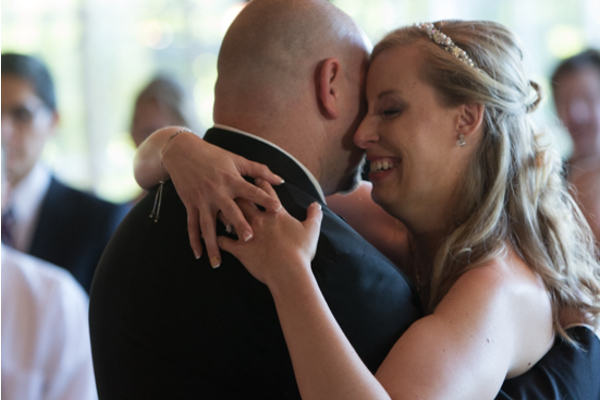 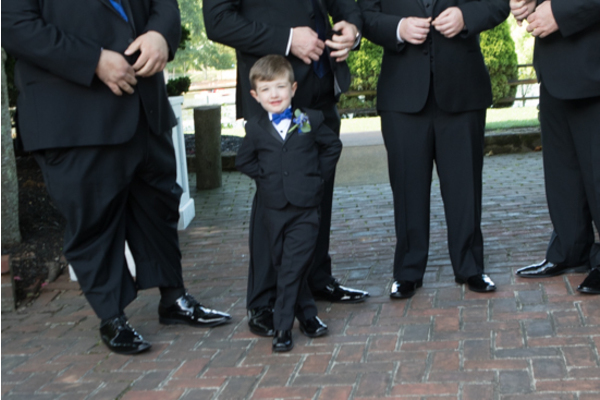 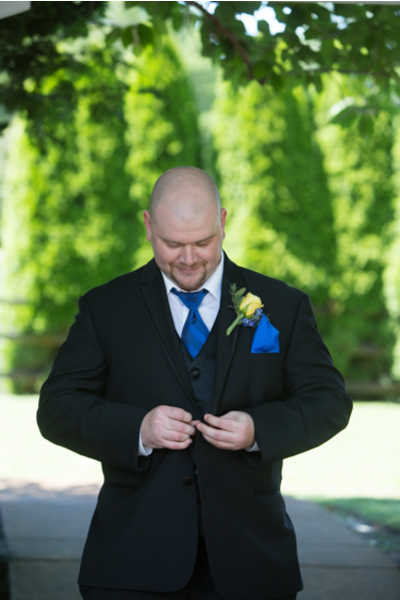 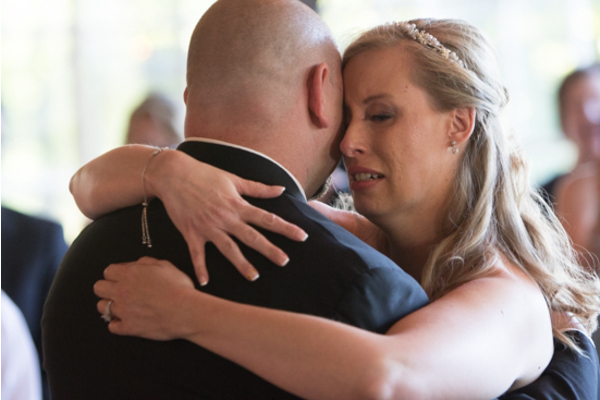 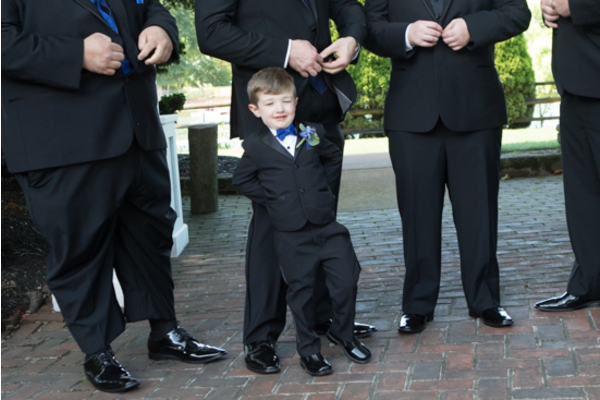 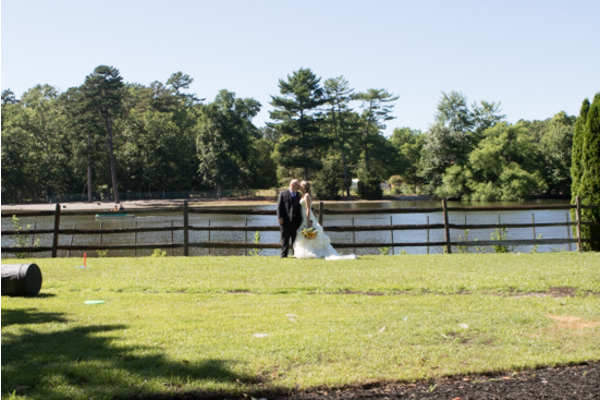 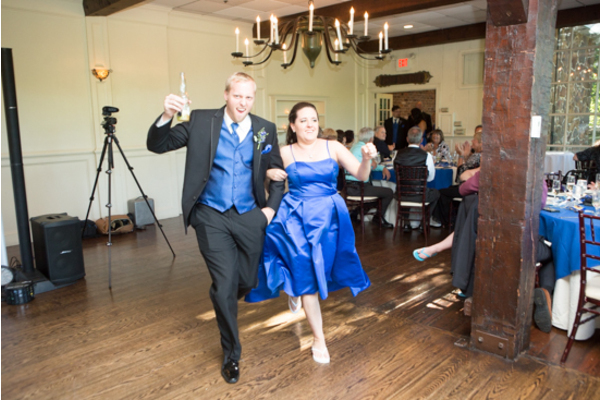 Our NJ Wedding DJ played only the best music that kept guests on their feet all night long! 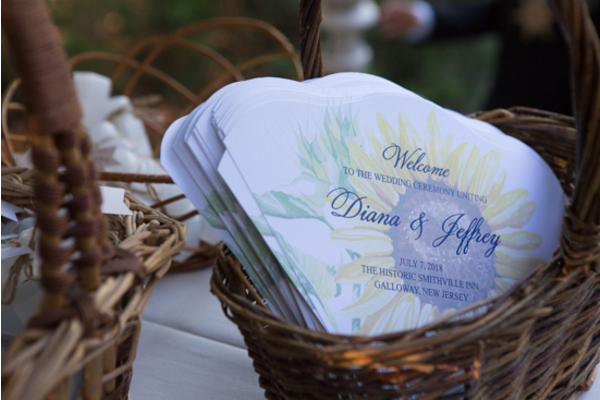 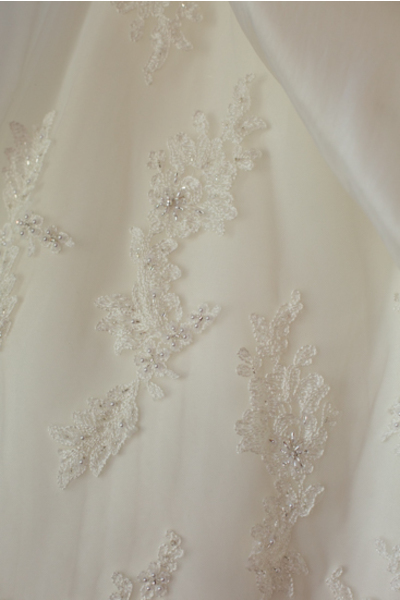 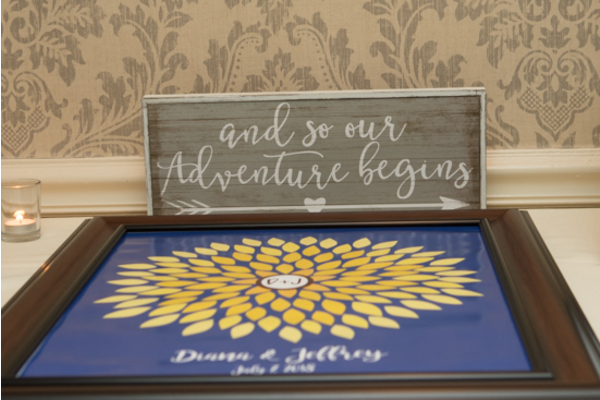 Congratulations, again, to Diana and Jeffrey on their enchanting marriage! 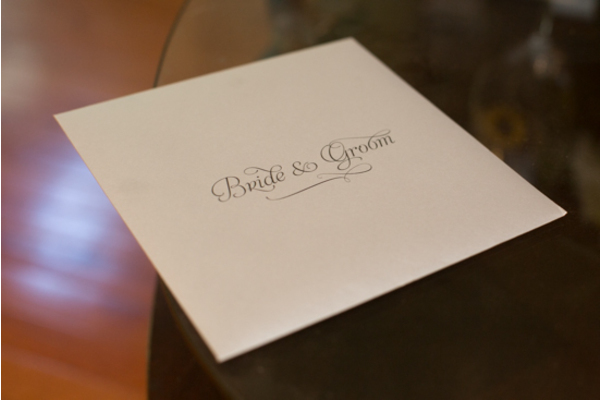 We wish you nothing, but the best!